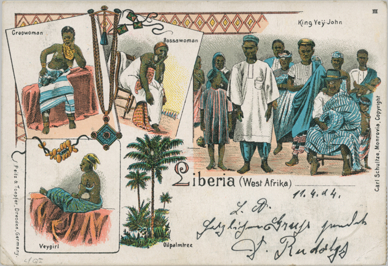 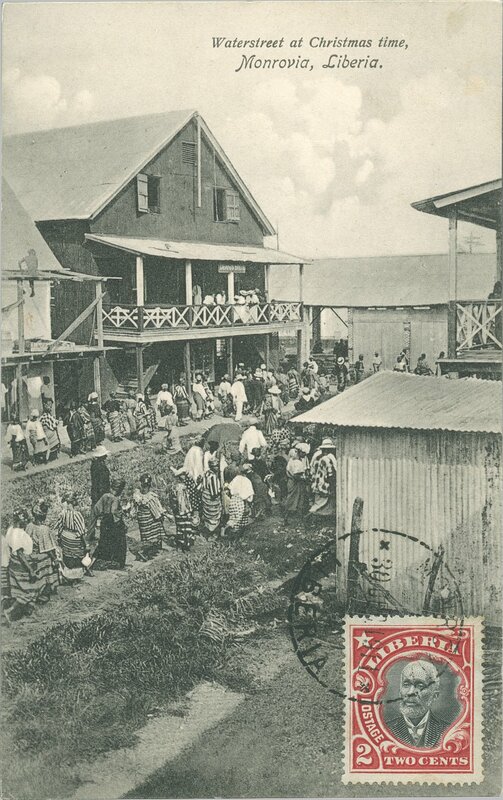 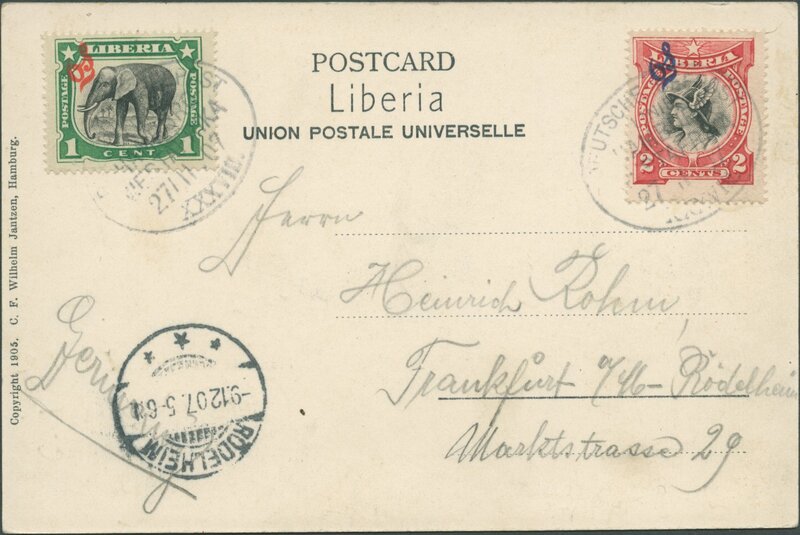 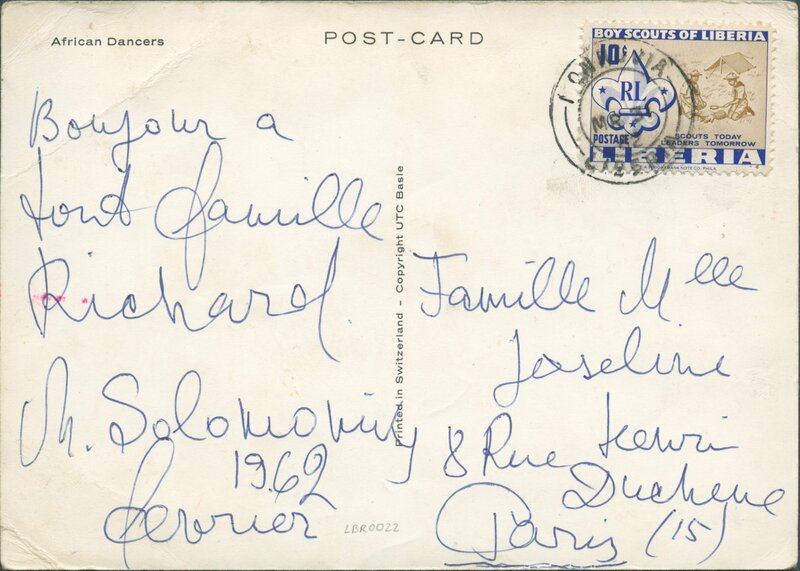 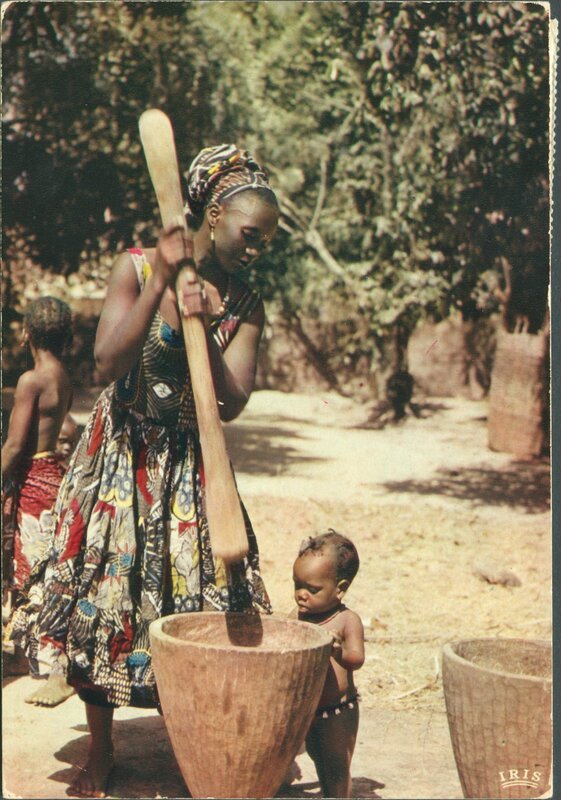 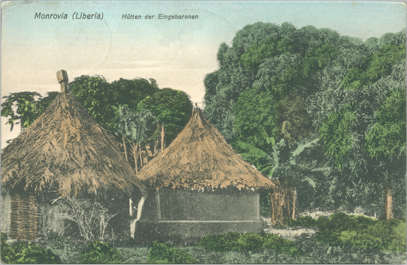 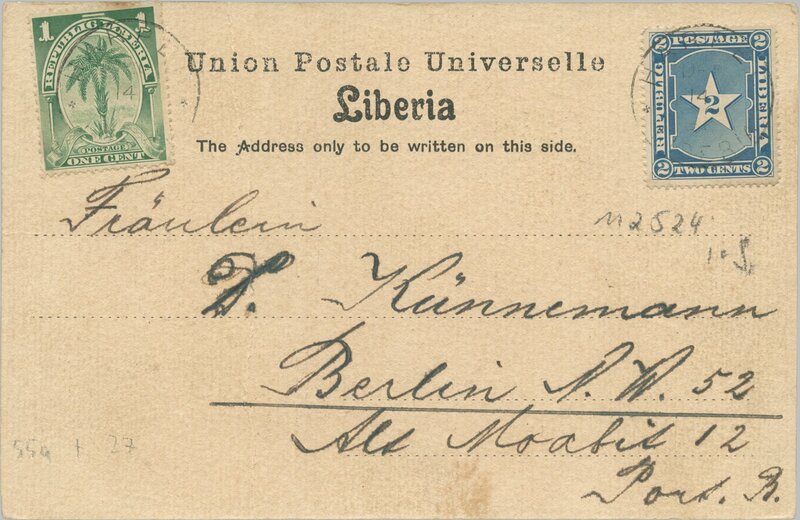 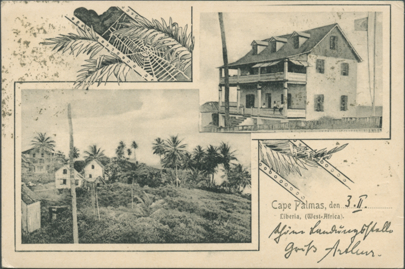 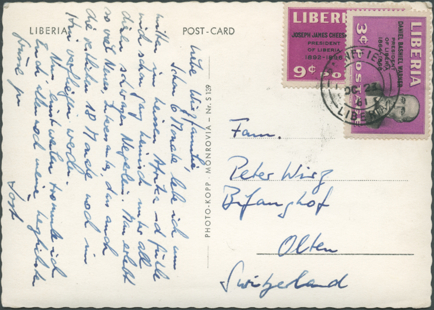 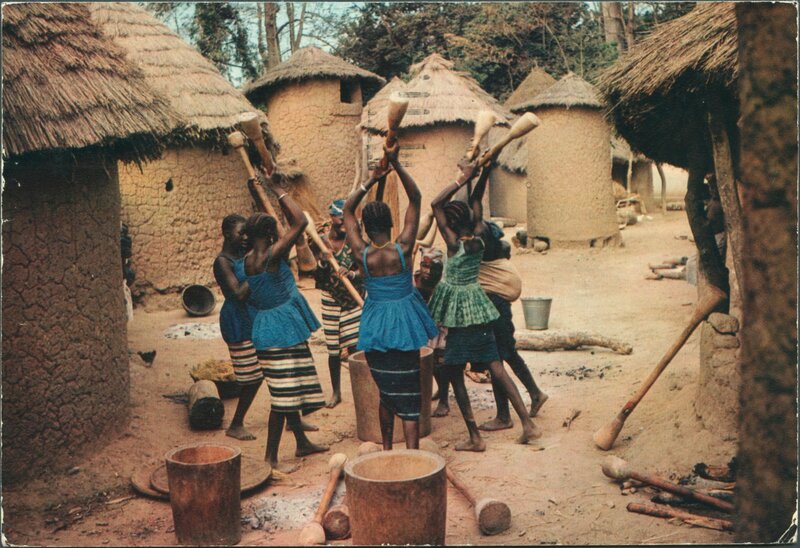 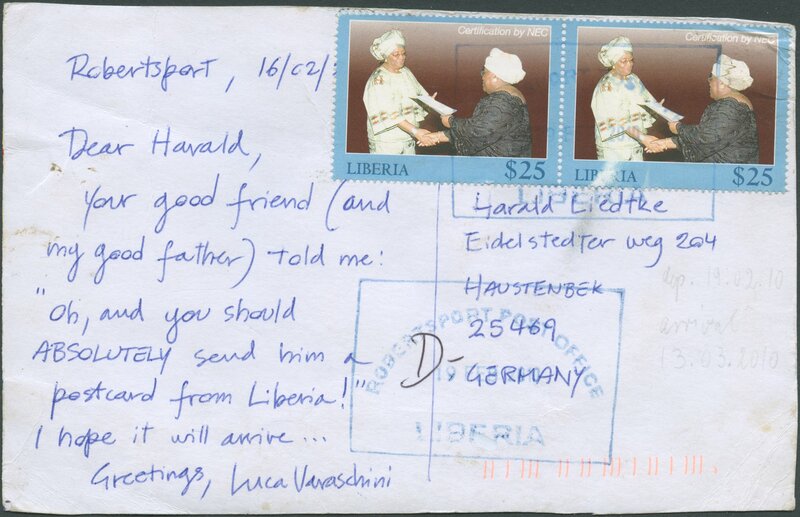 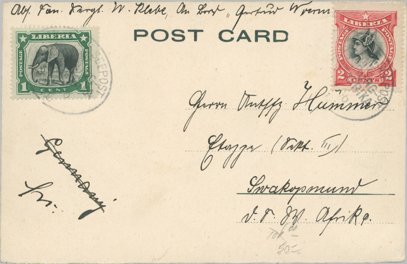 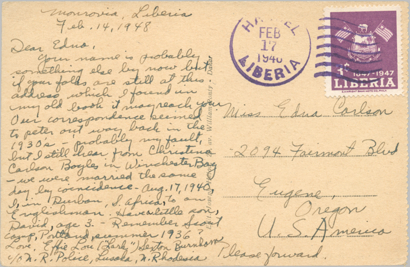 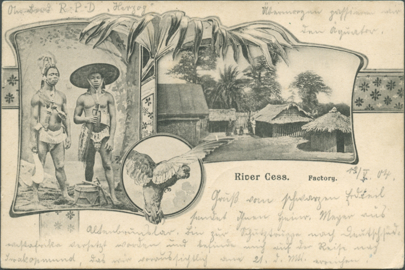 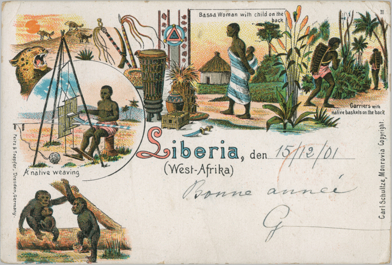 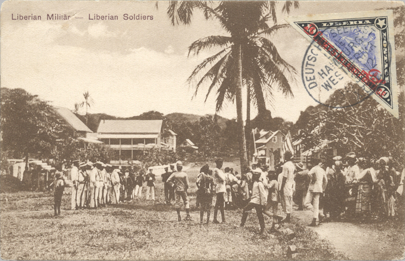 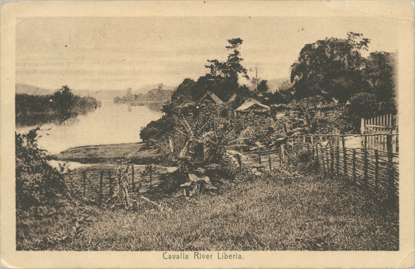 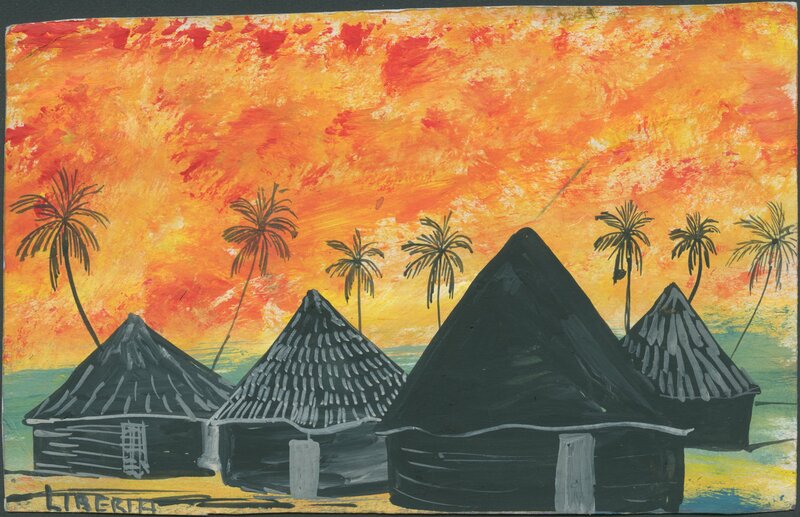 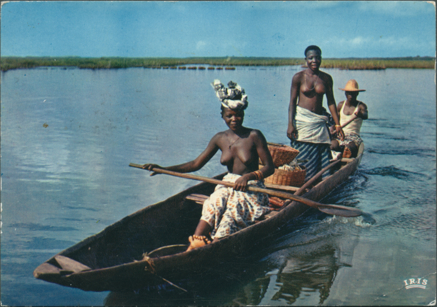 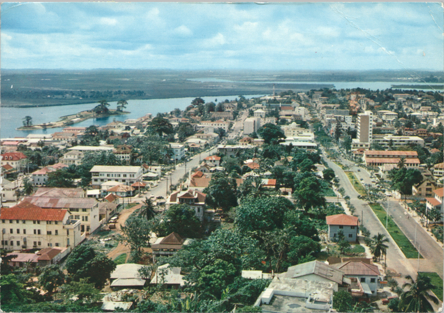 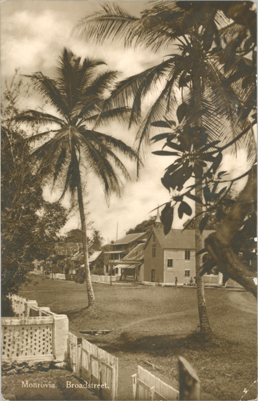 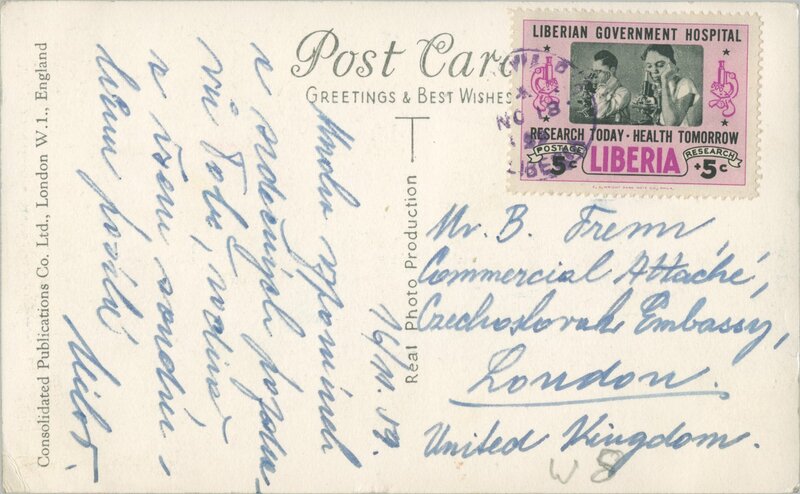 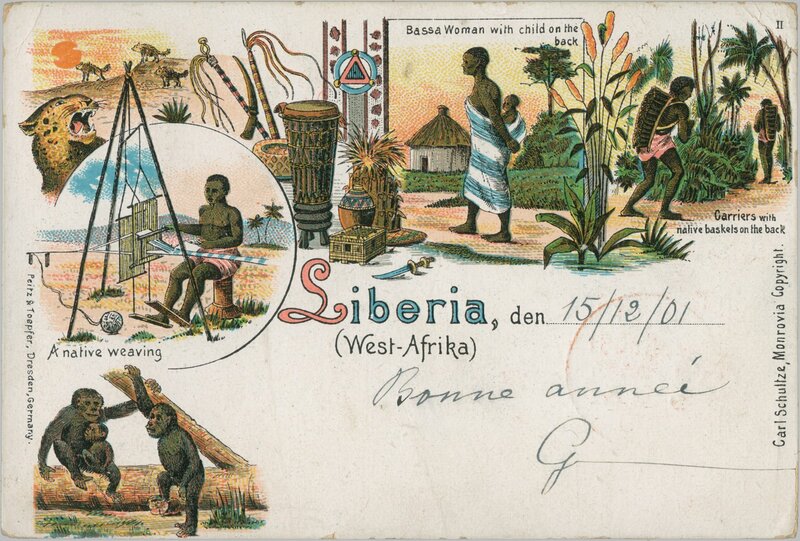 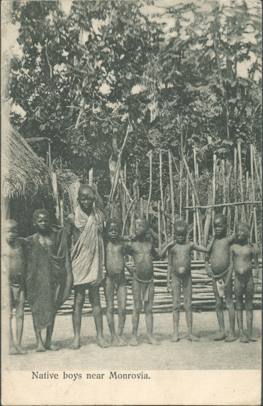 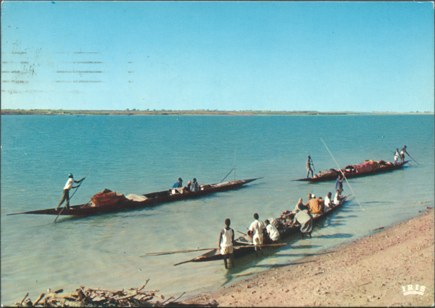 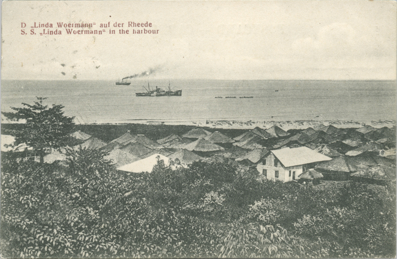 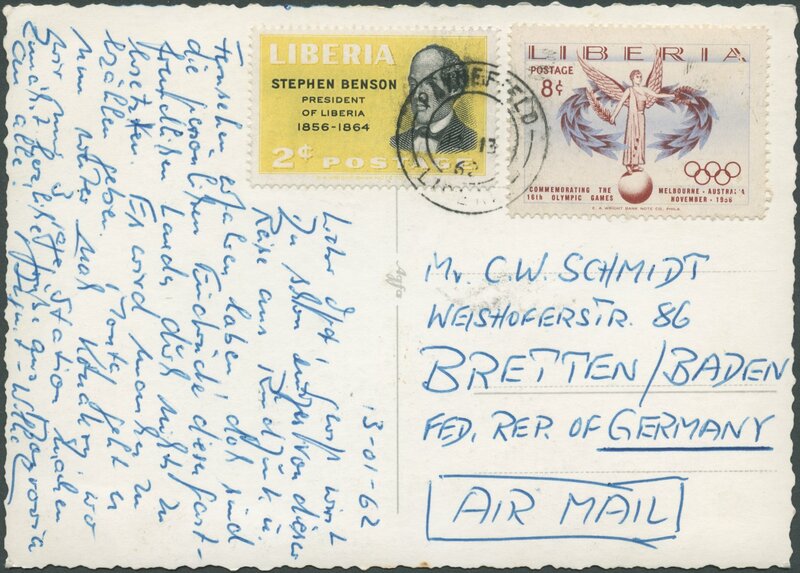 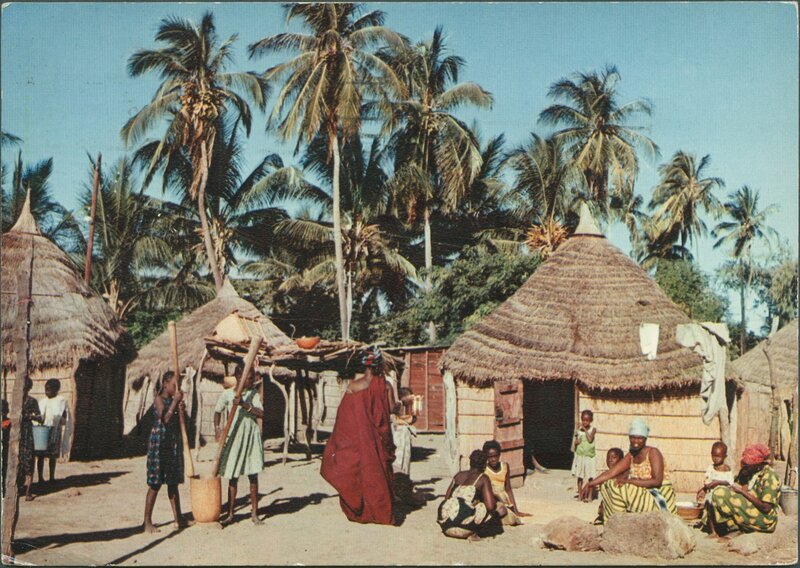 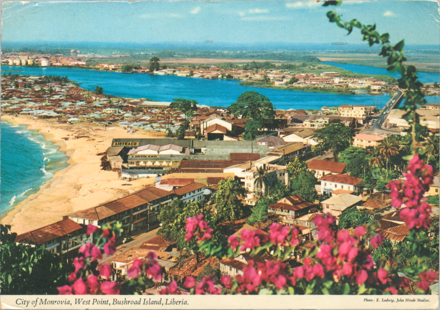 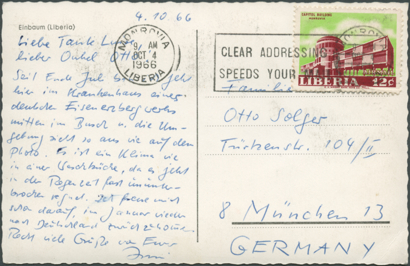 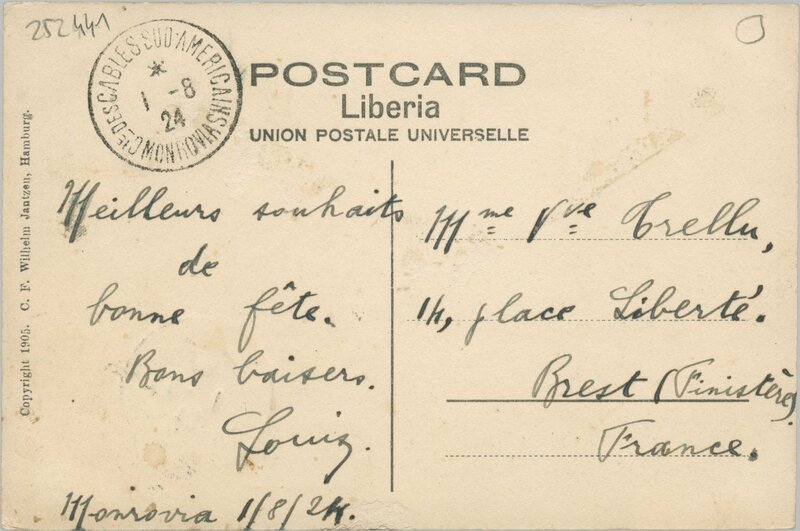 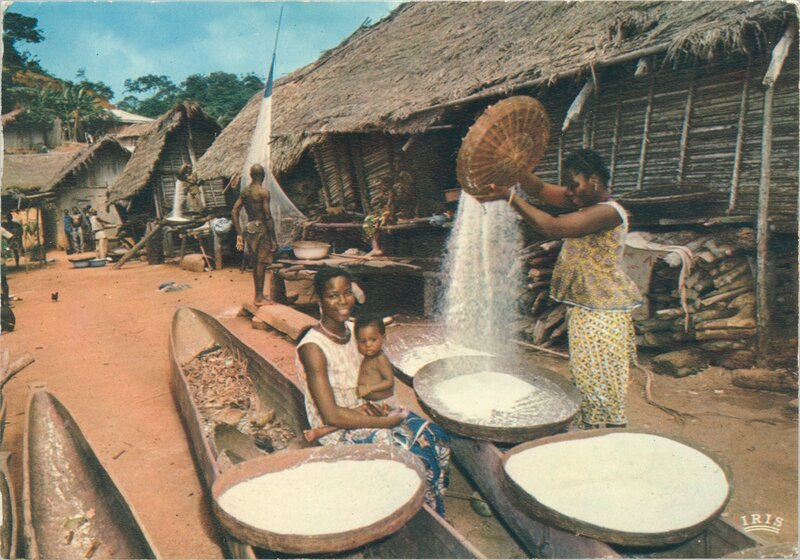 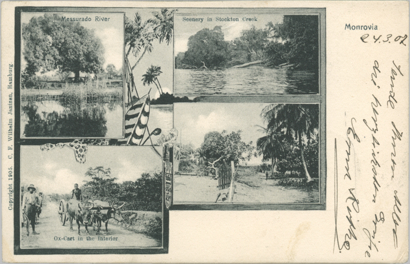 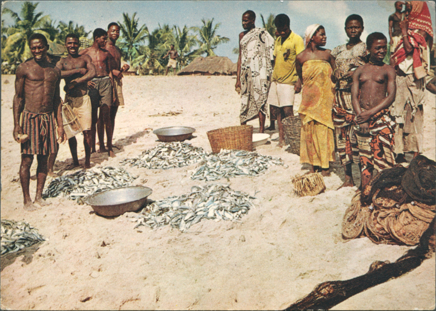 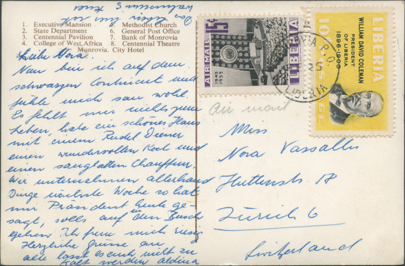 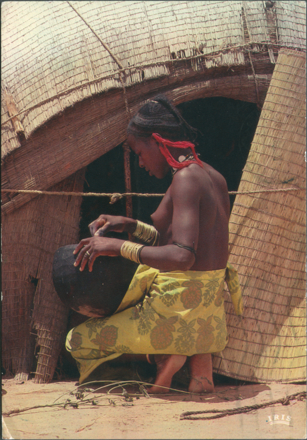 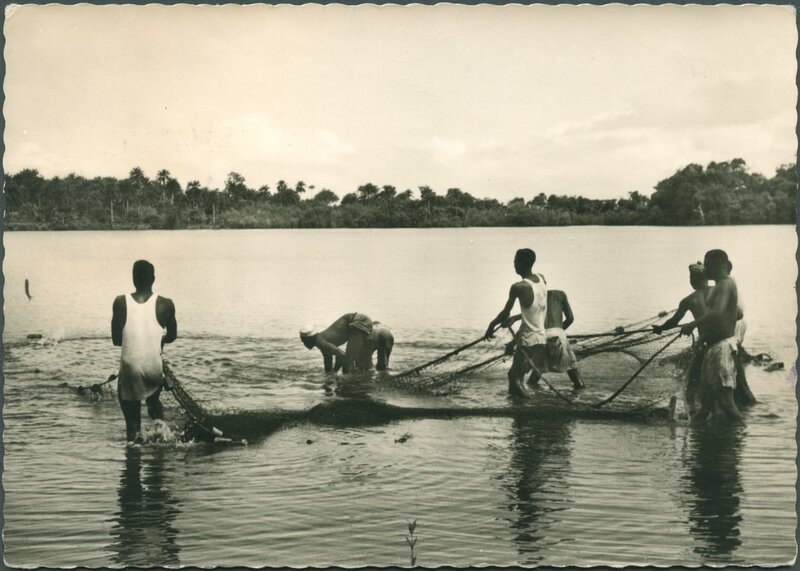 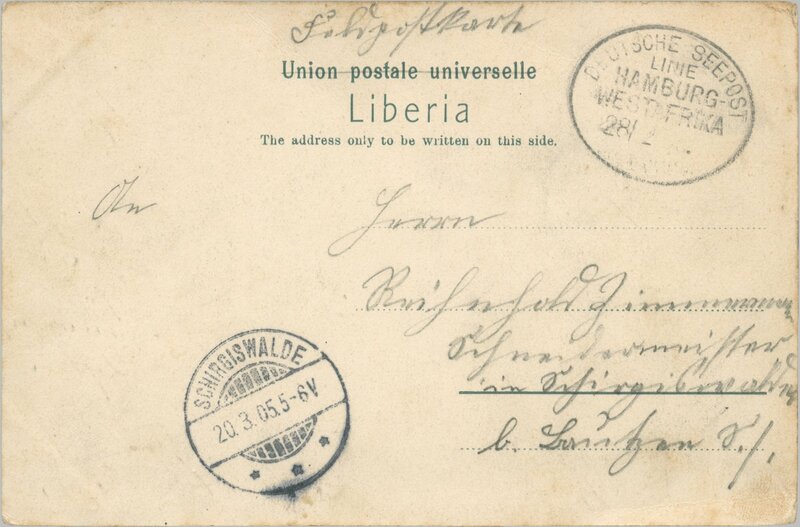 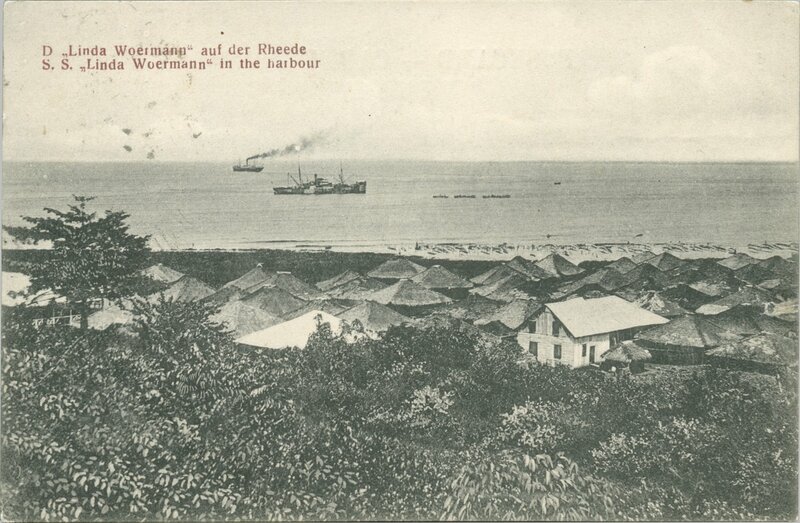 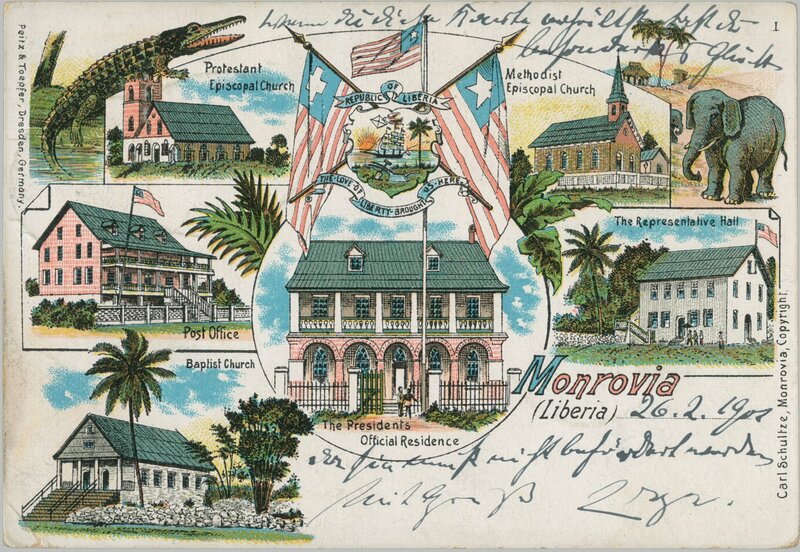 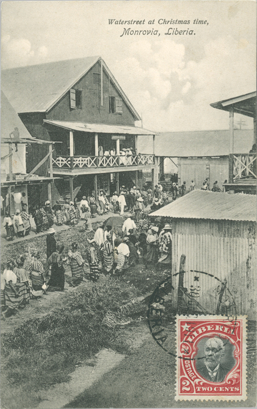 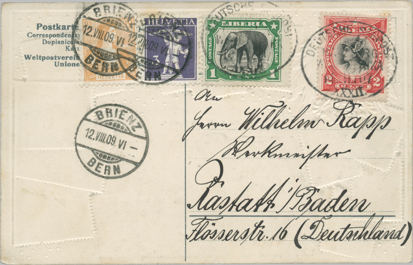 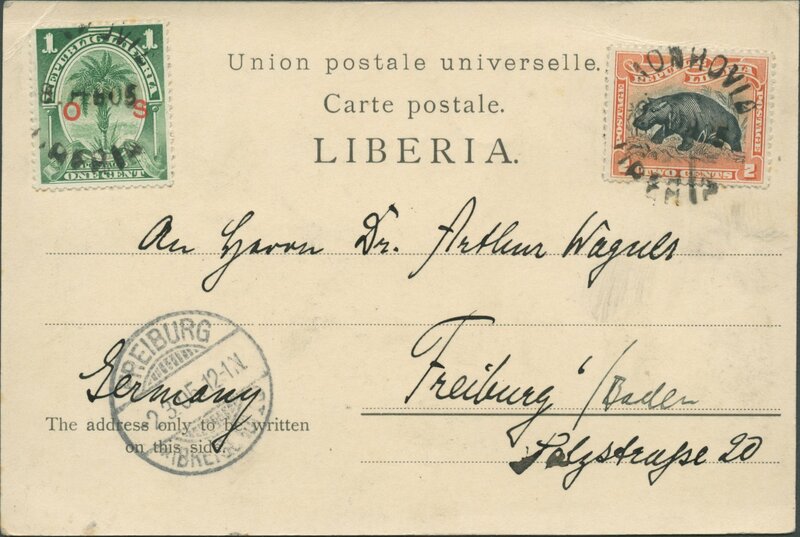 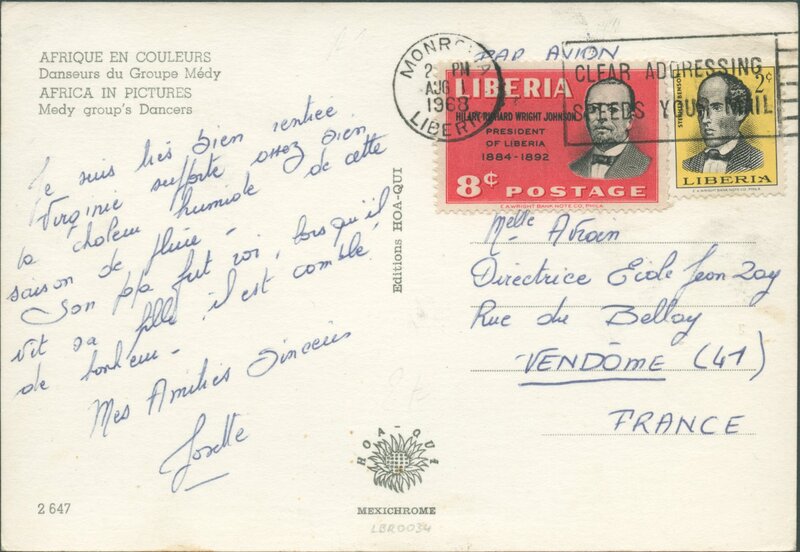 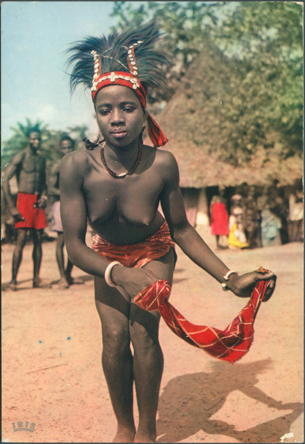 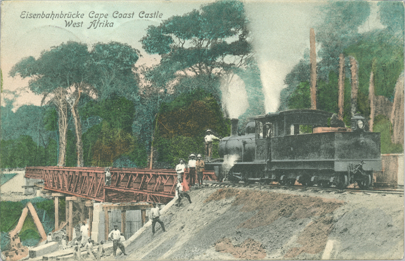 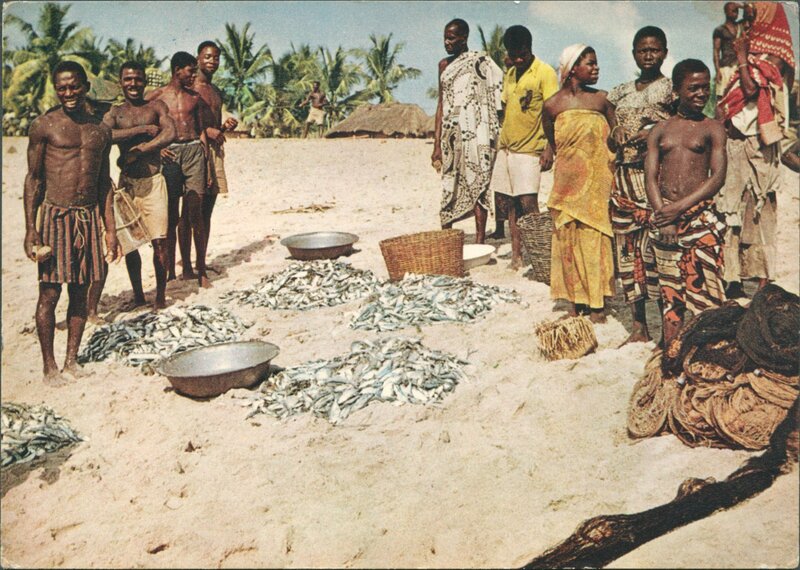 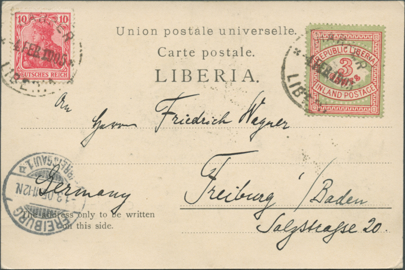 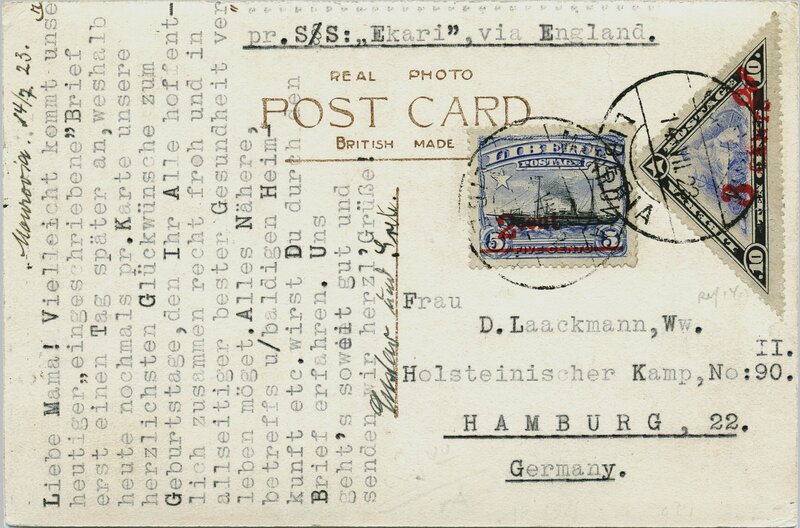 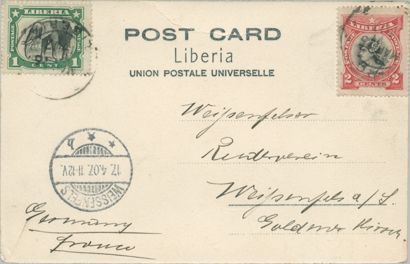 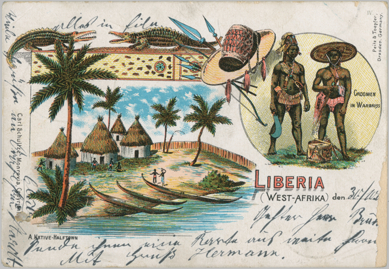 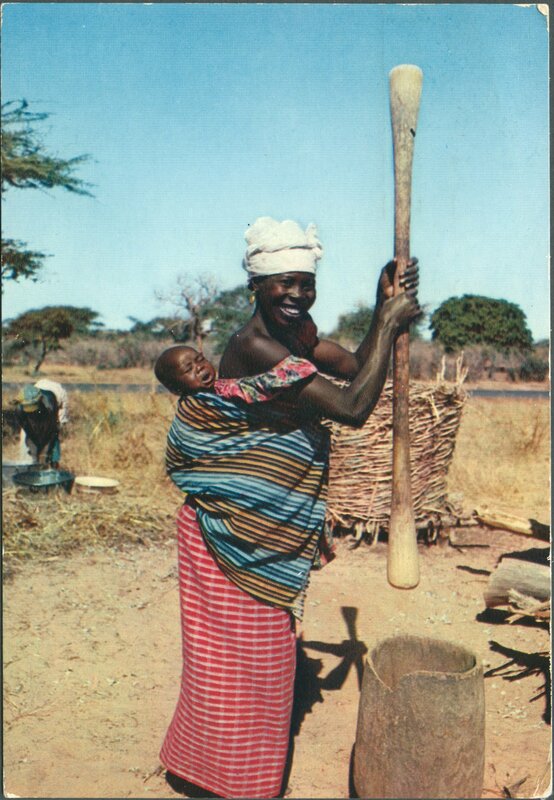 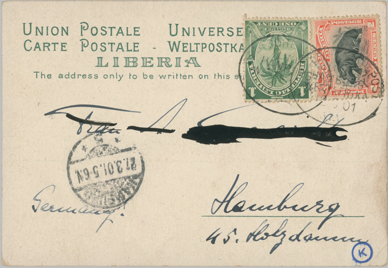 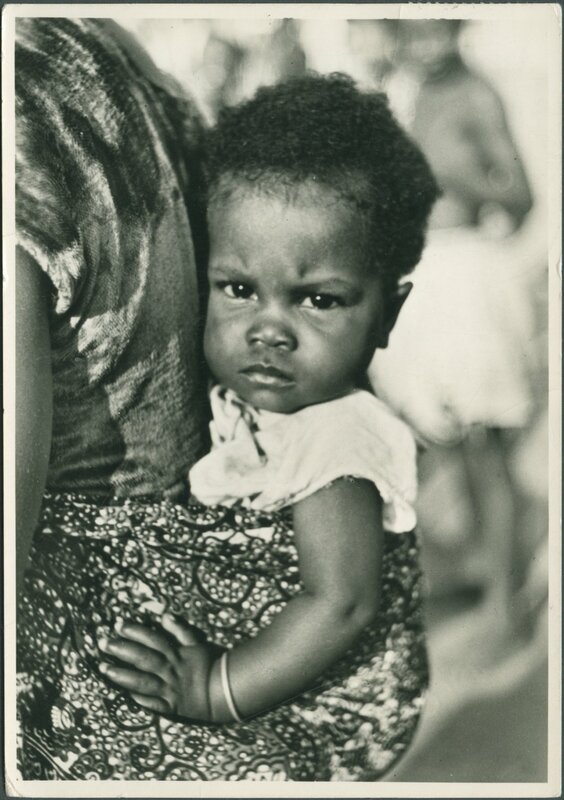 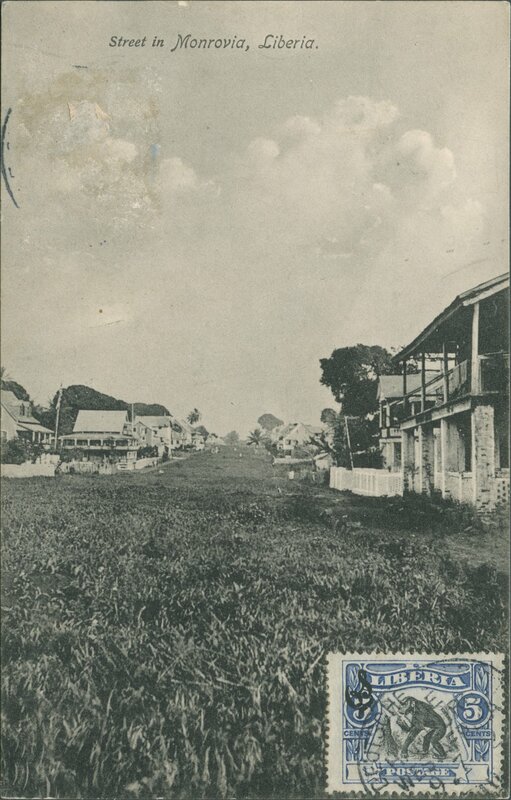 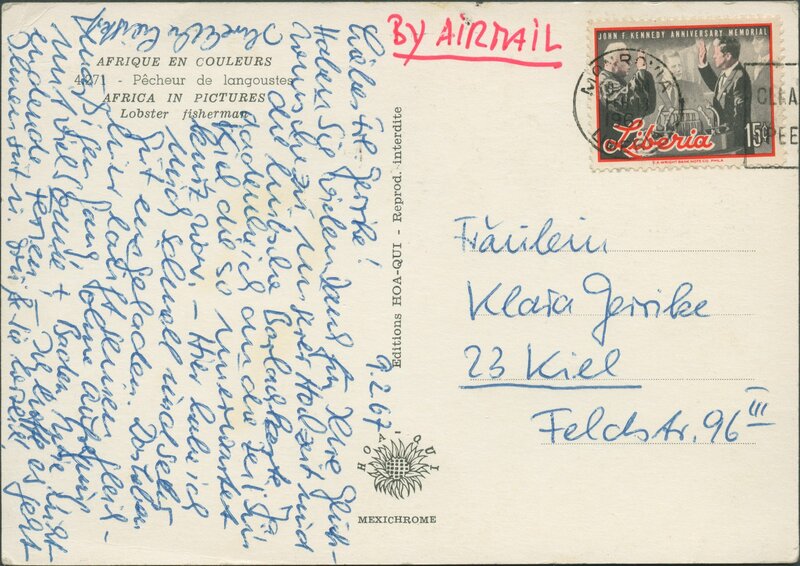 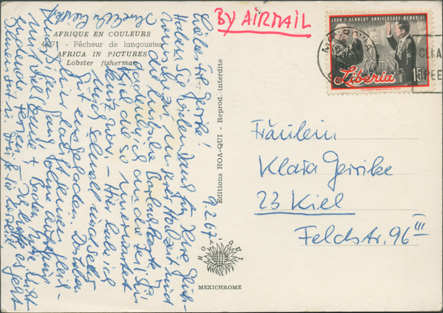 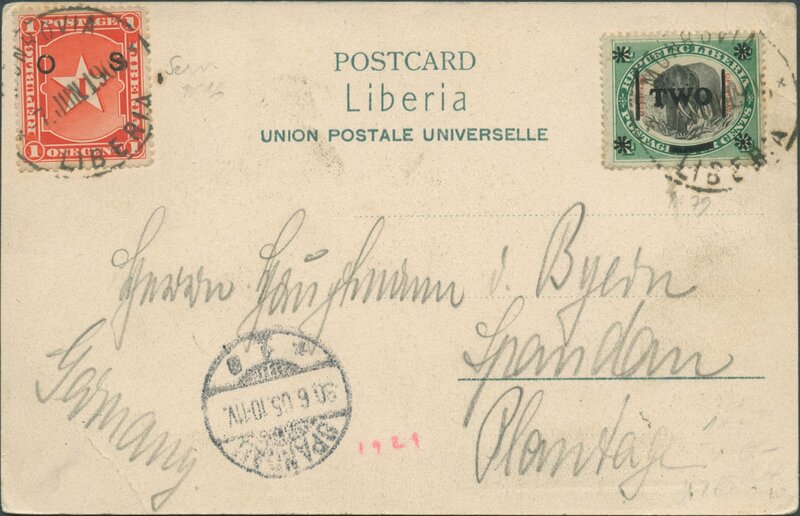 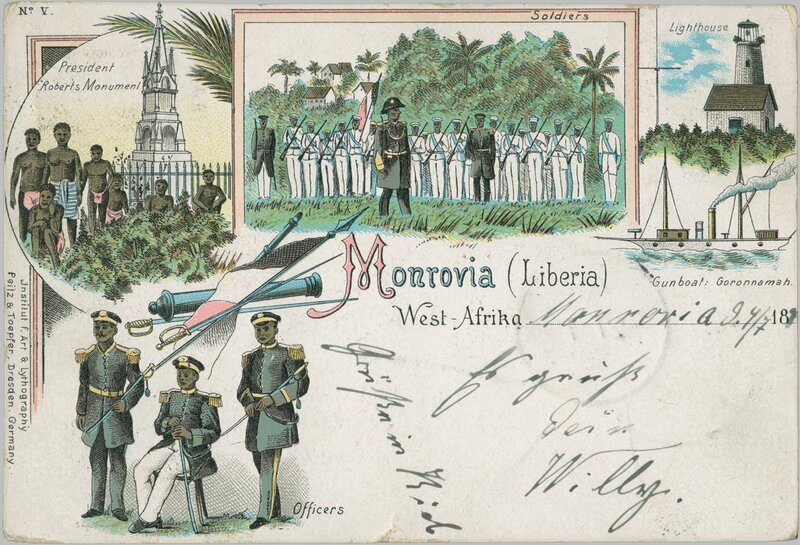 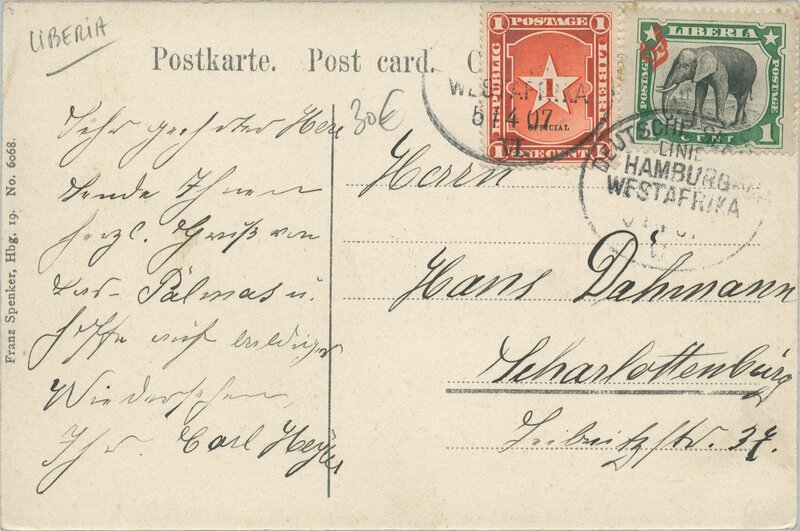 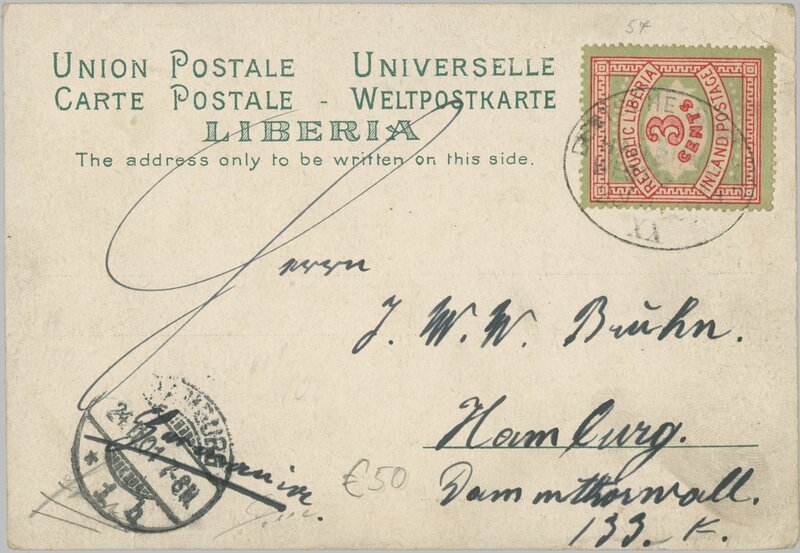 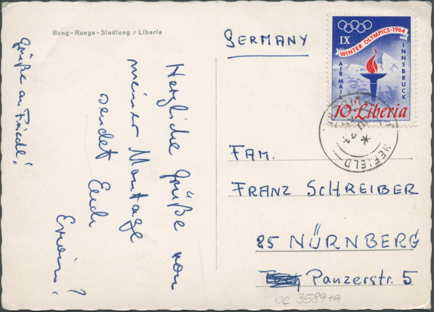 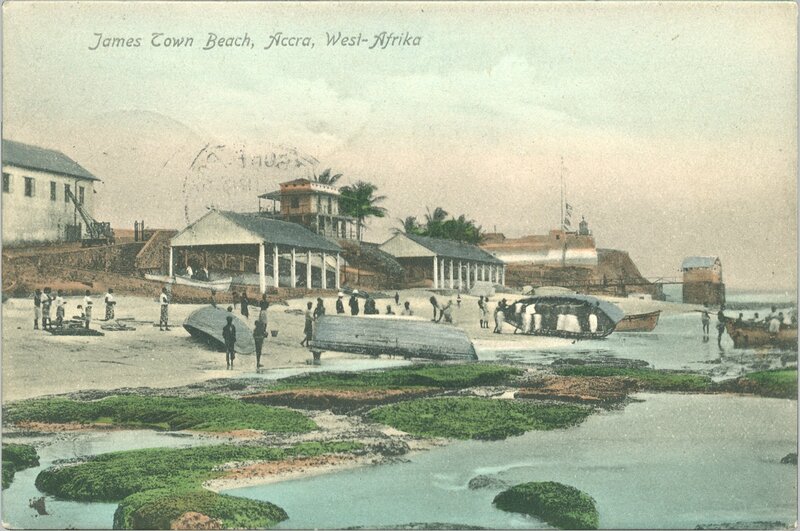 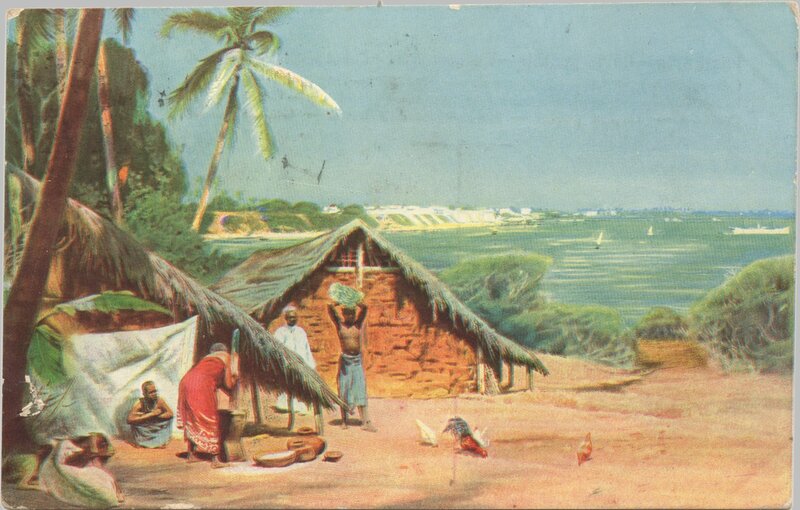 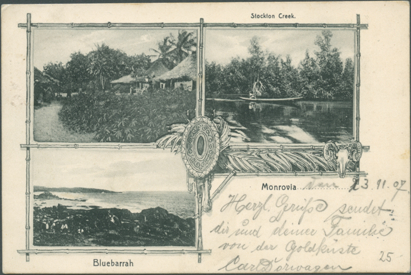 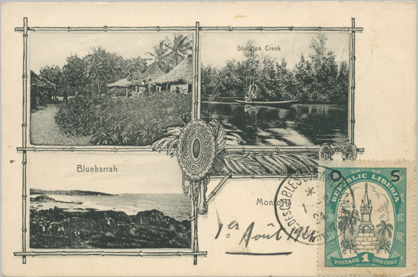 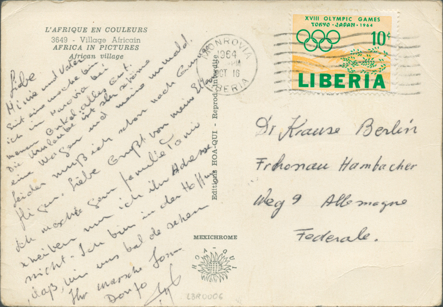 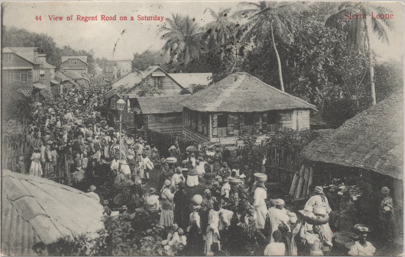 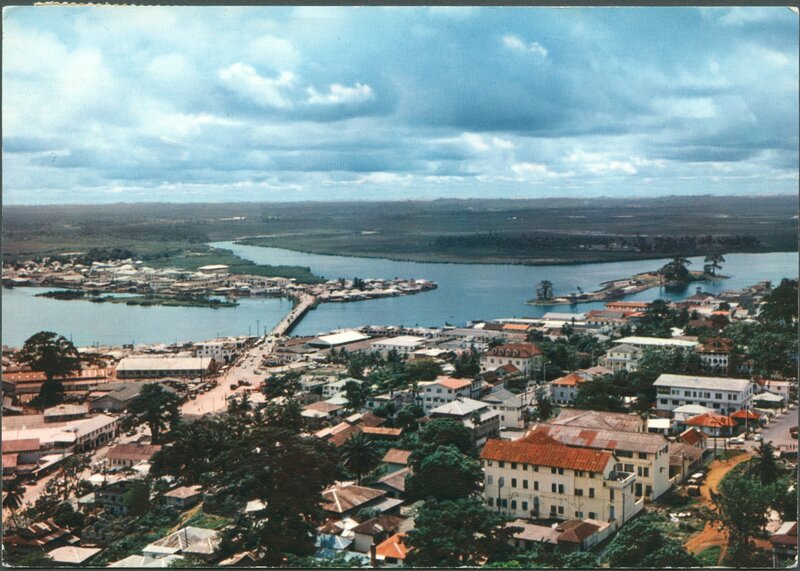 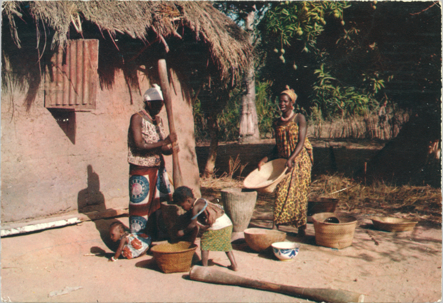 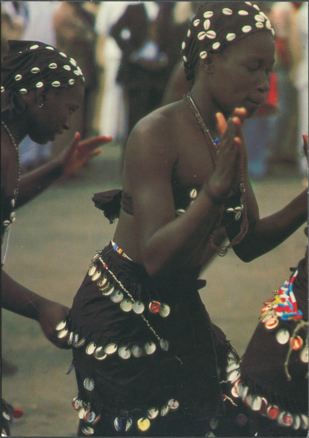 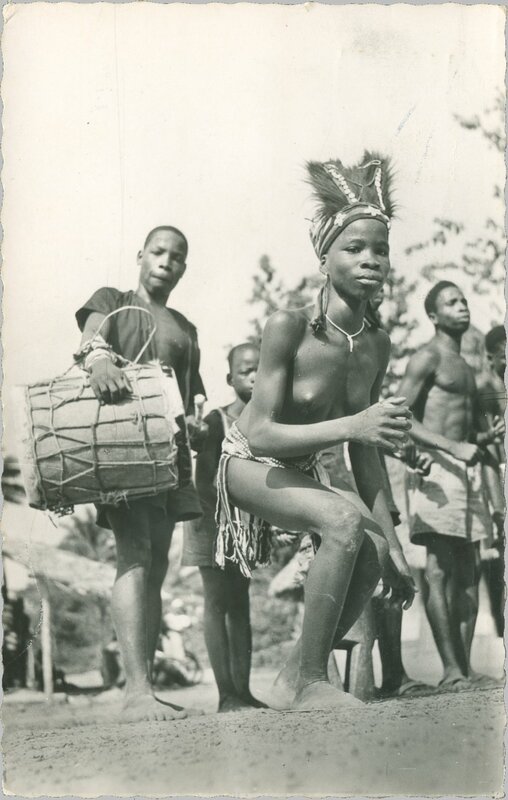 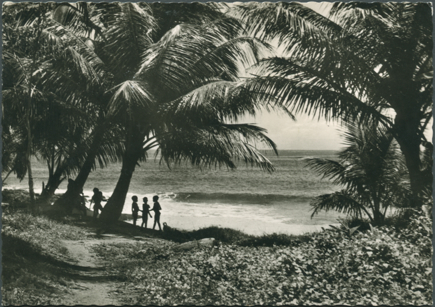 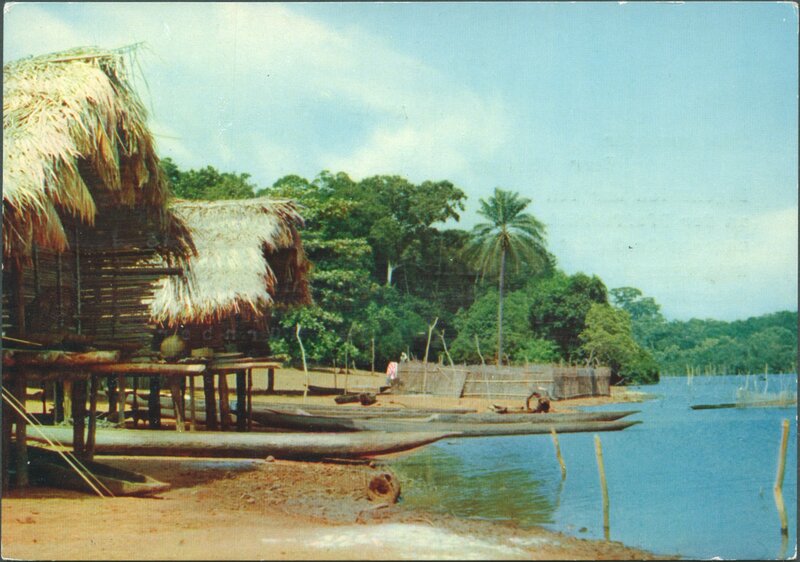 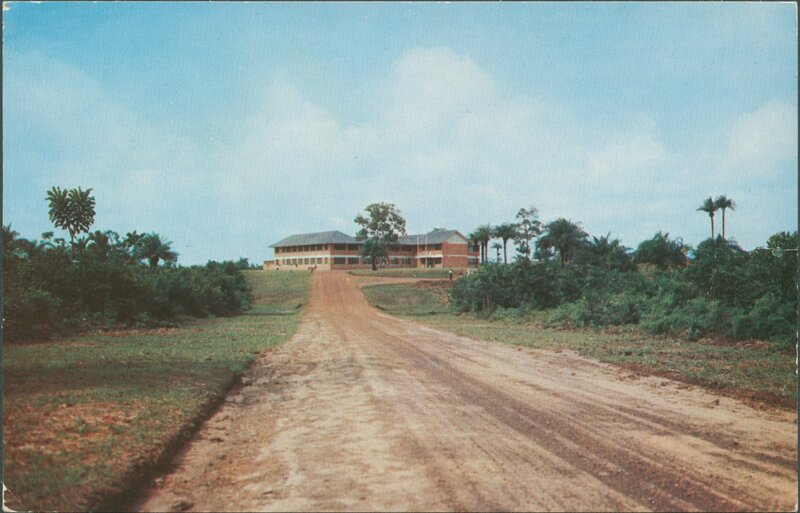 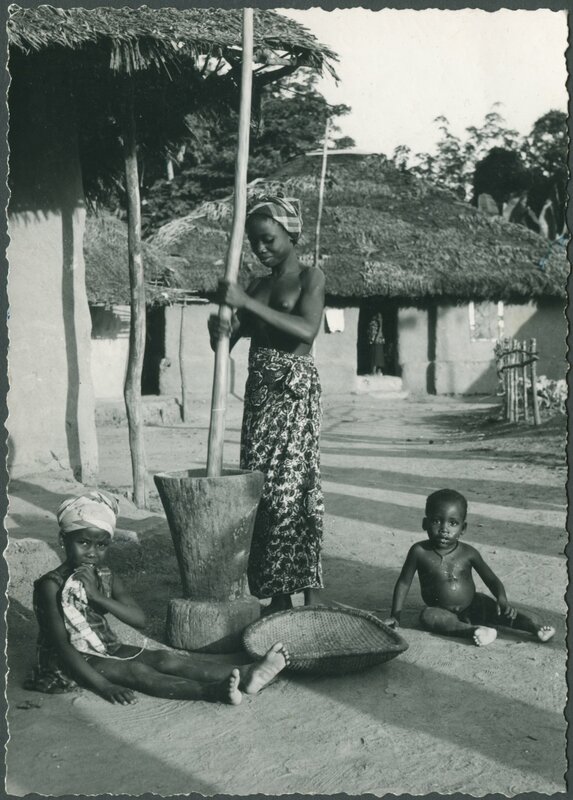 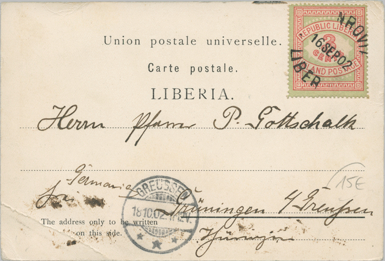 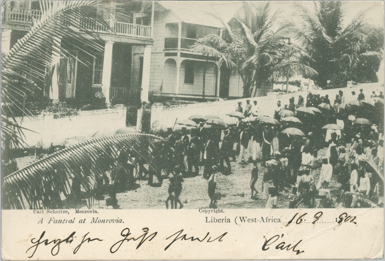 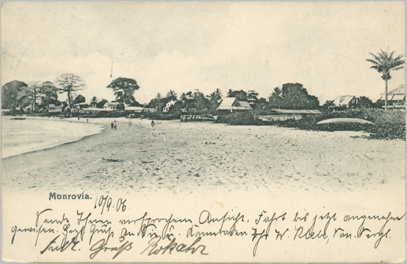 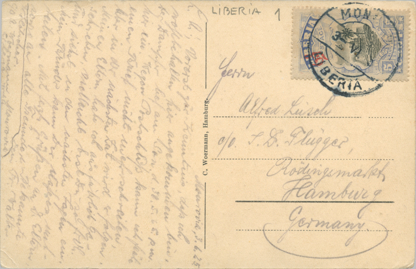 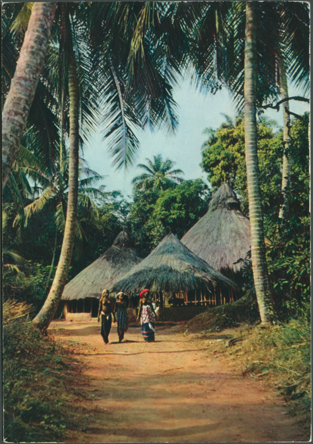 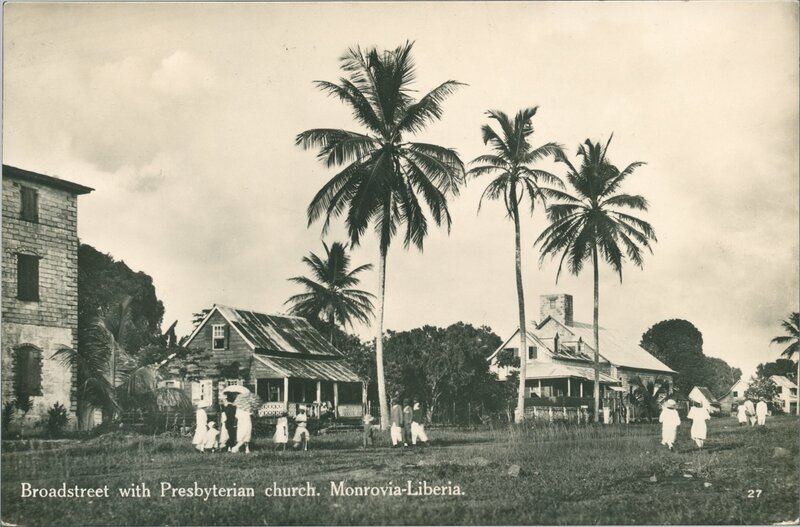 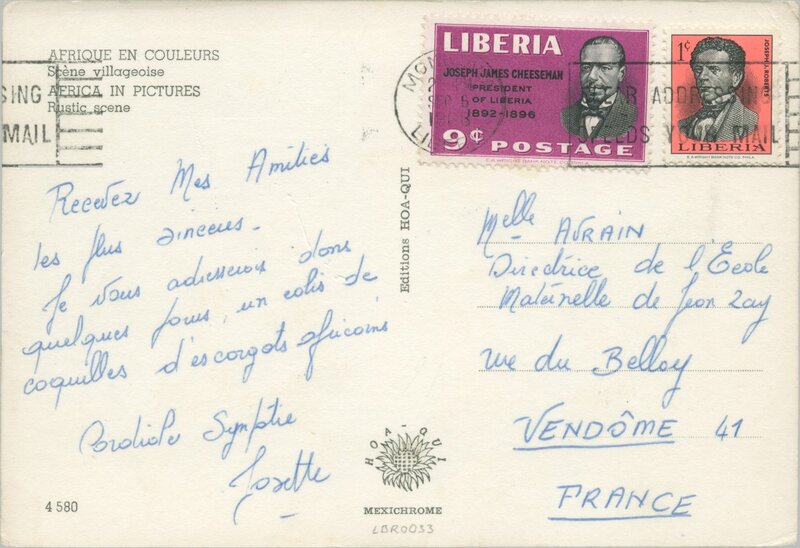 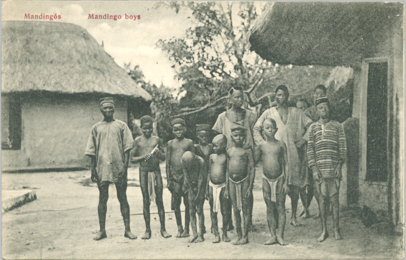 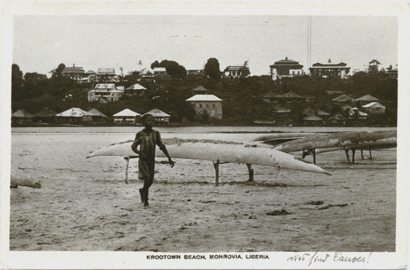 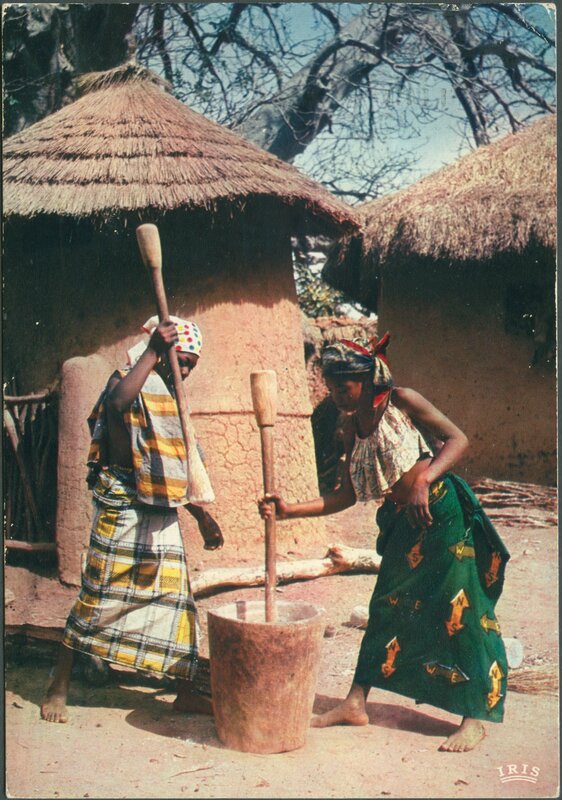 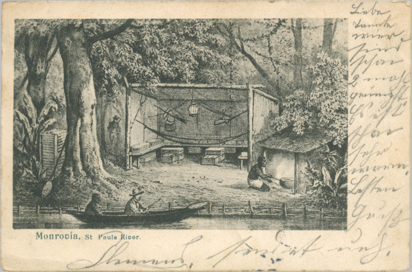 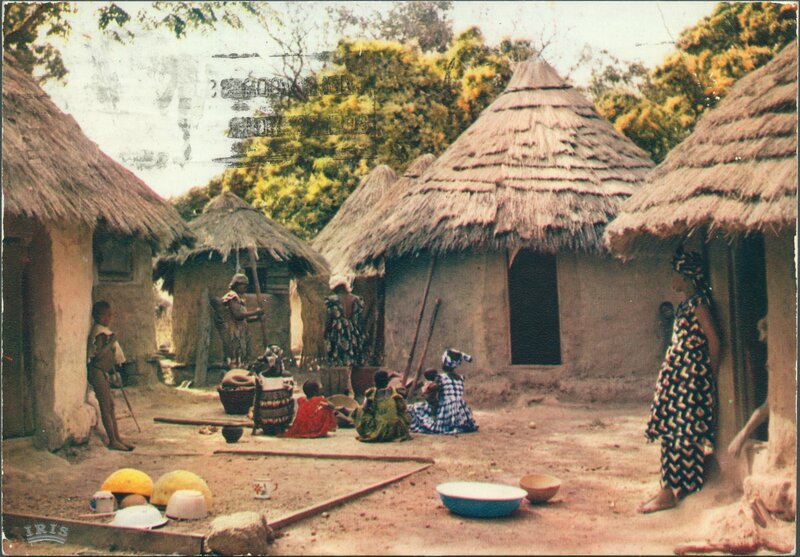 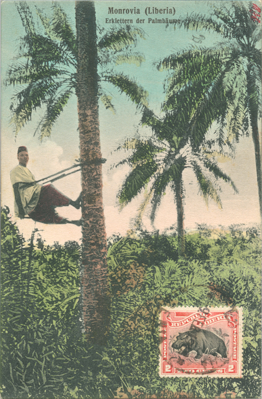 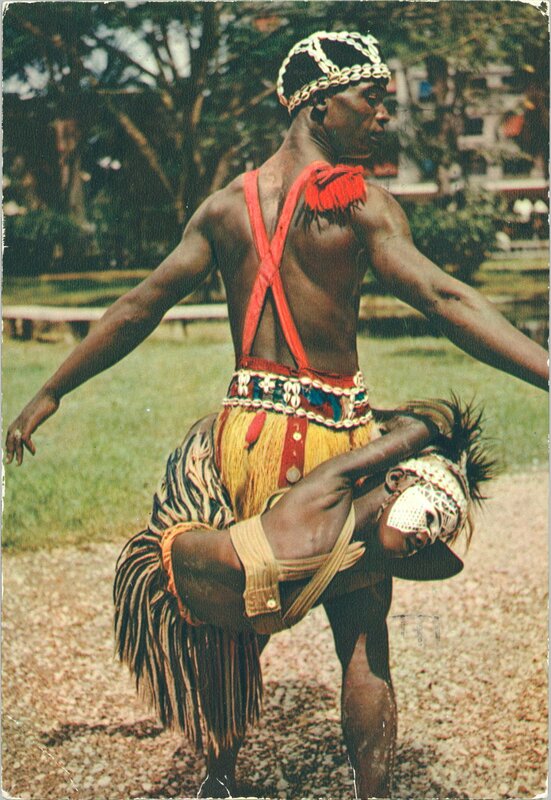 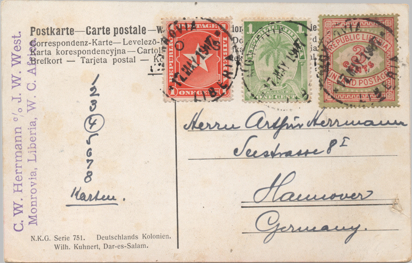 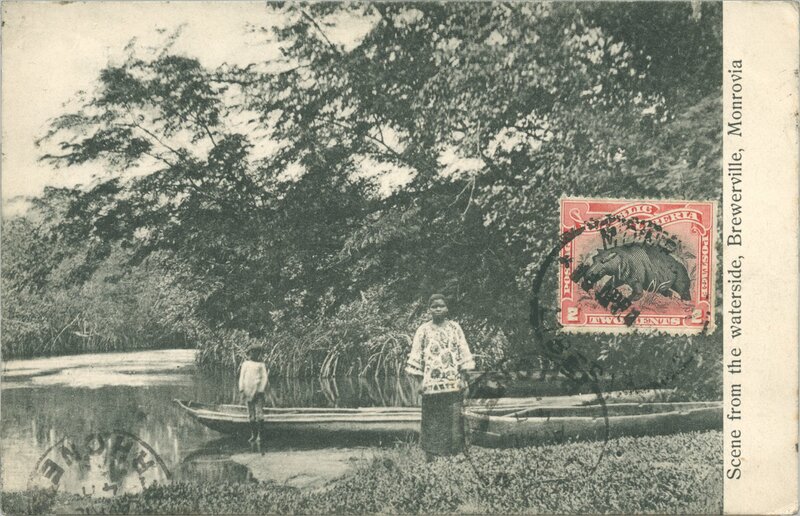 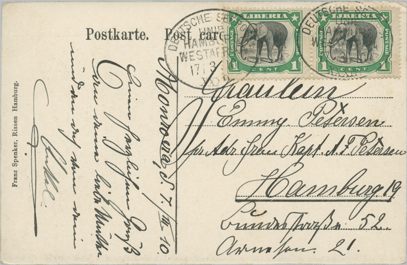 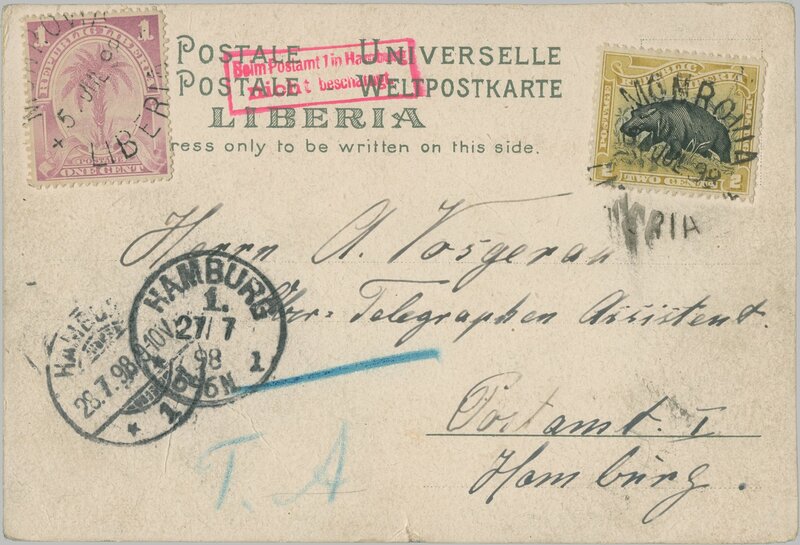 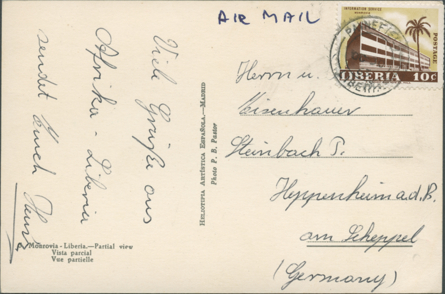 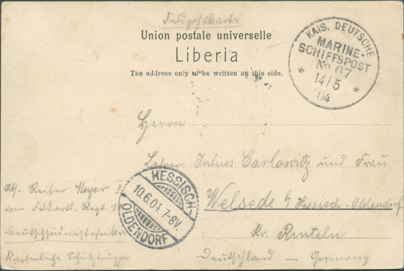 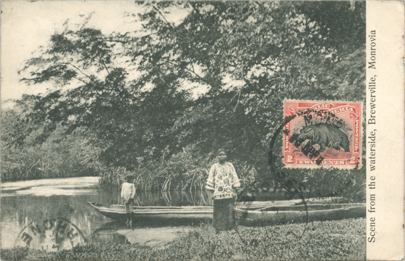 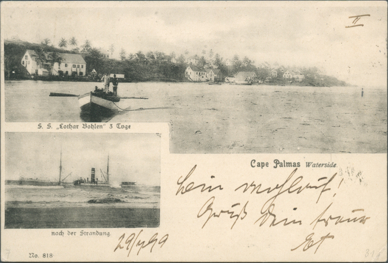 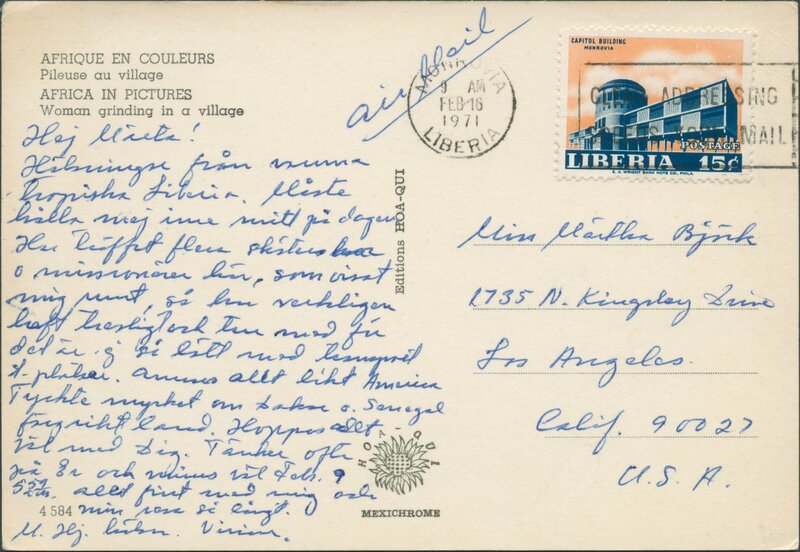 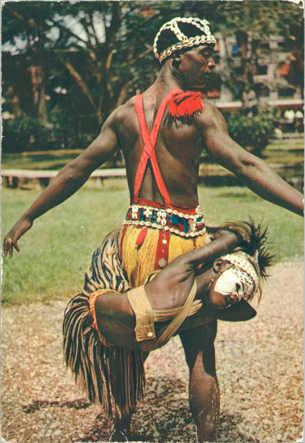 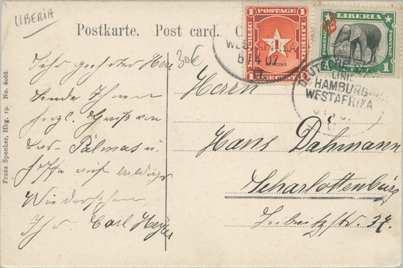 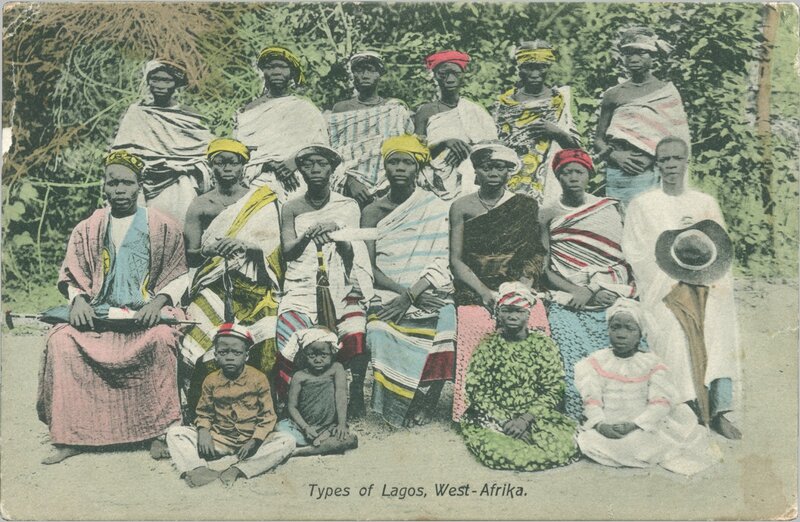 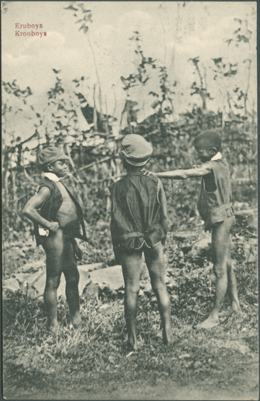 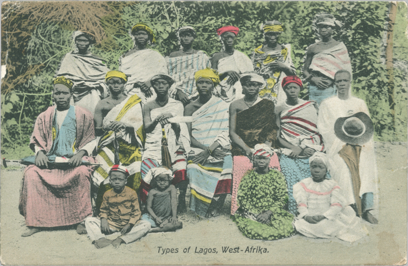 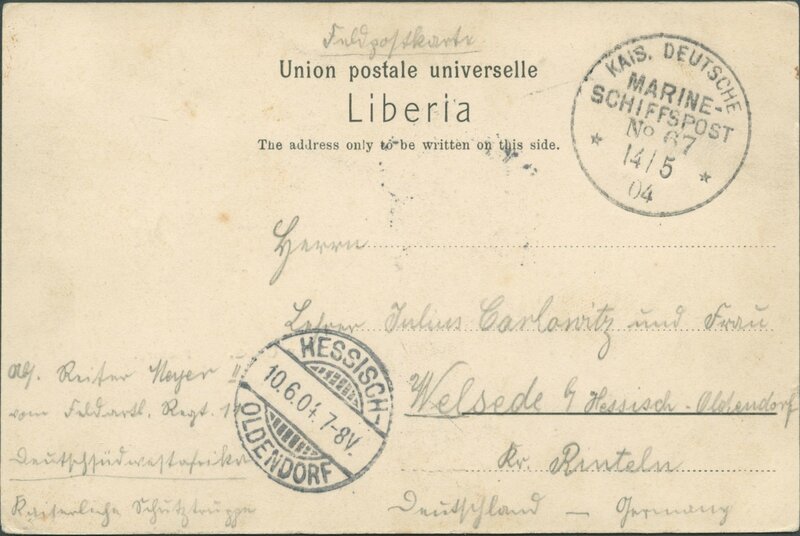 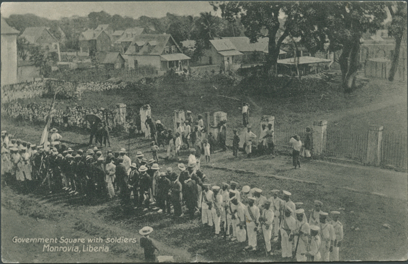 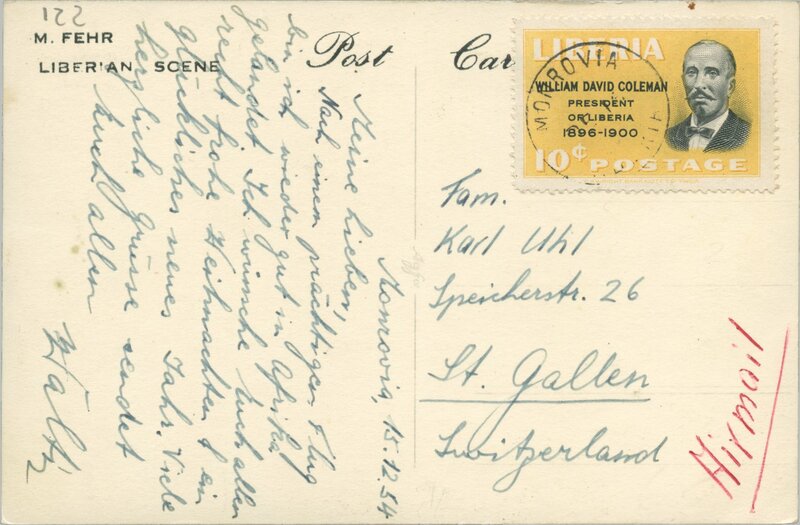 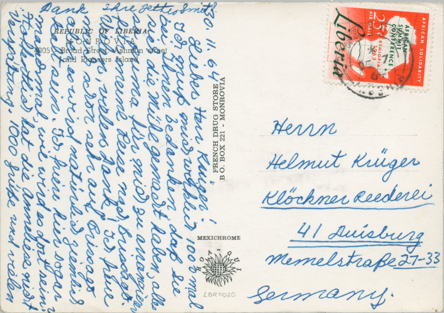 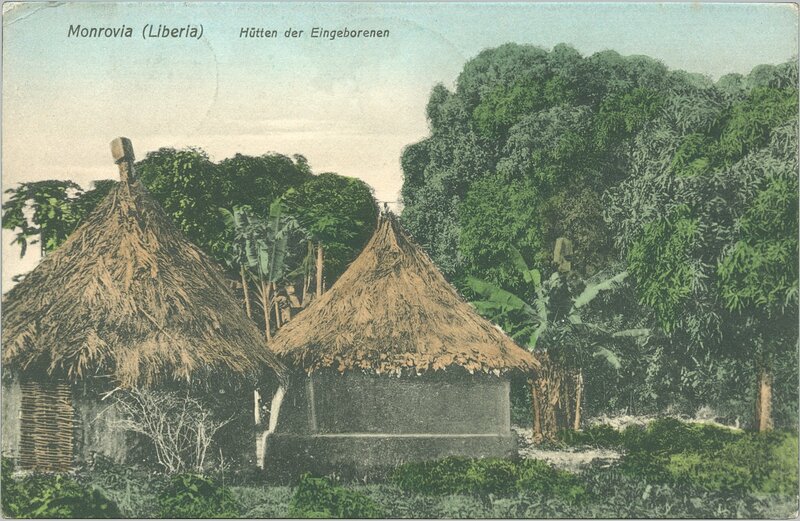 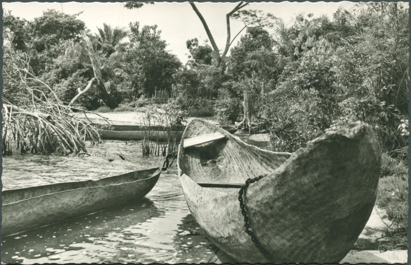 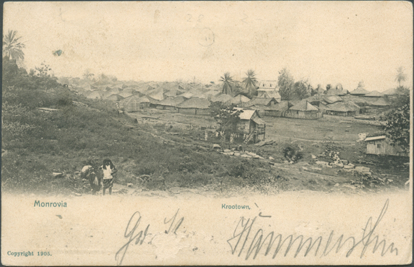 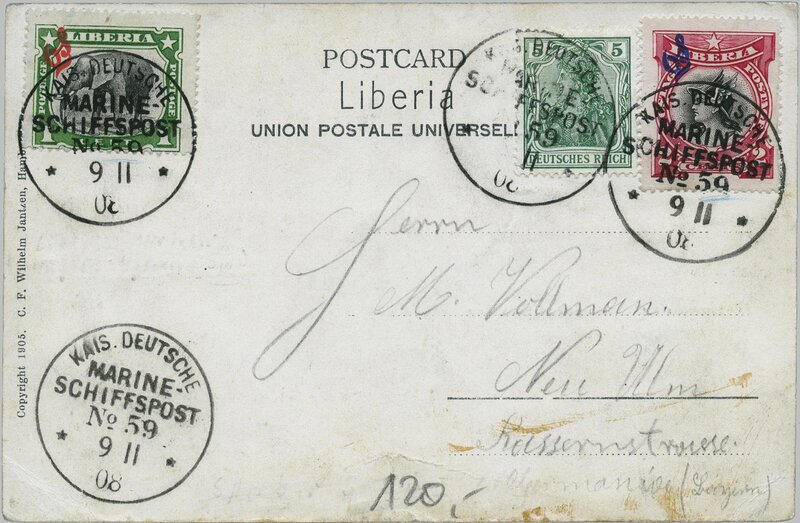 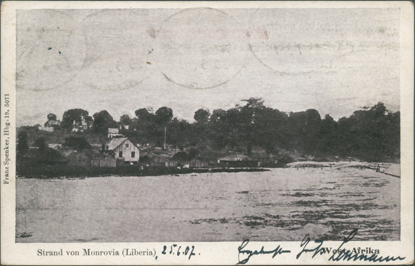 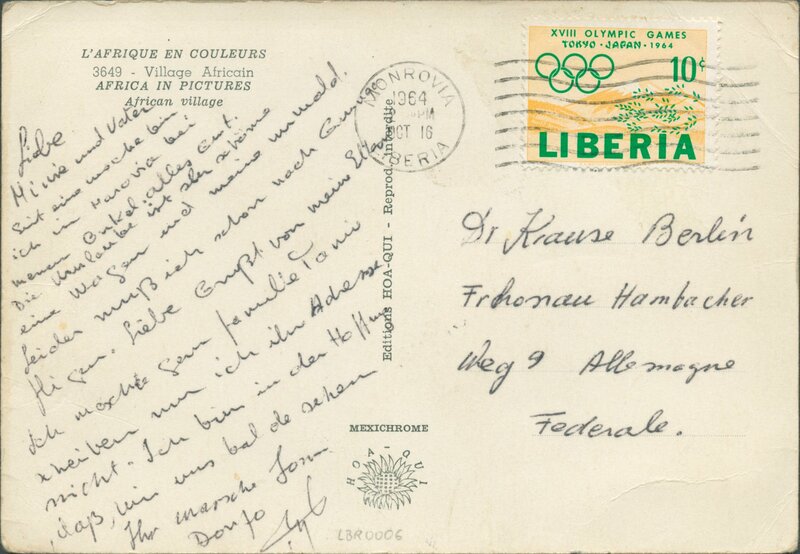 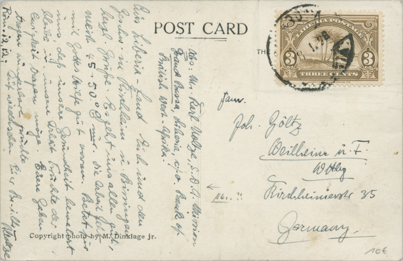 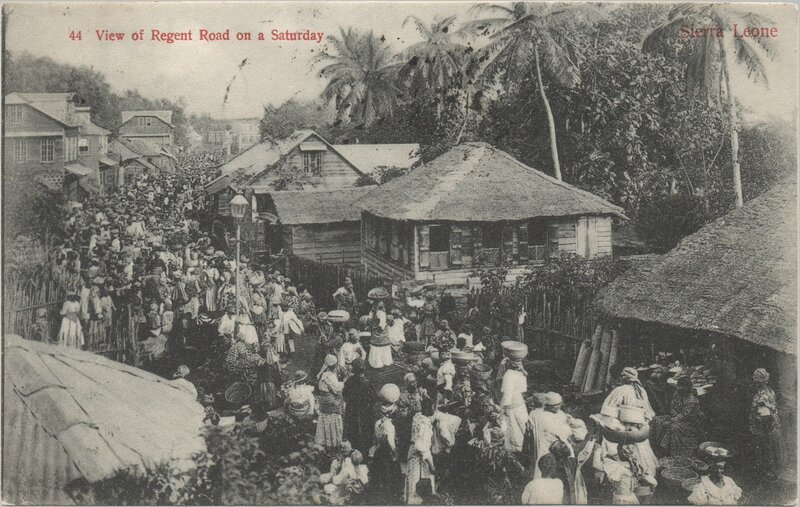 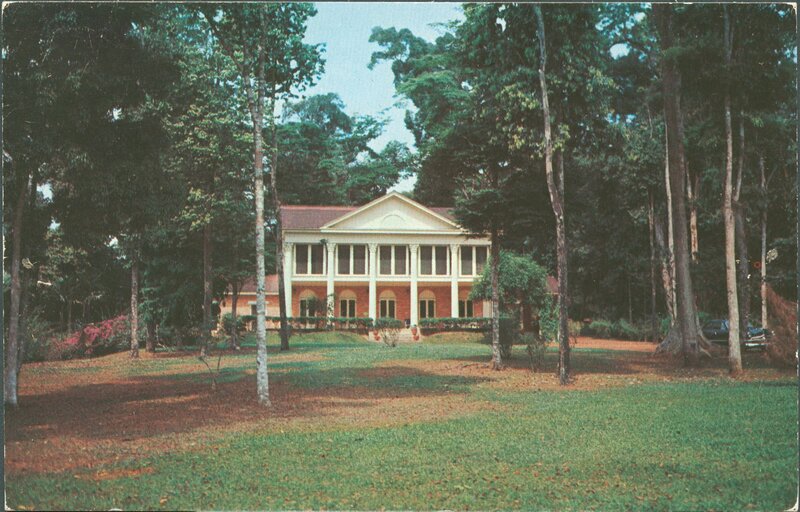 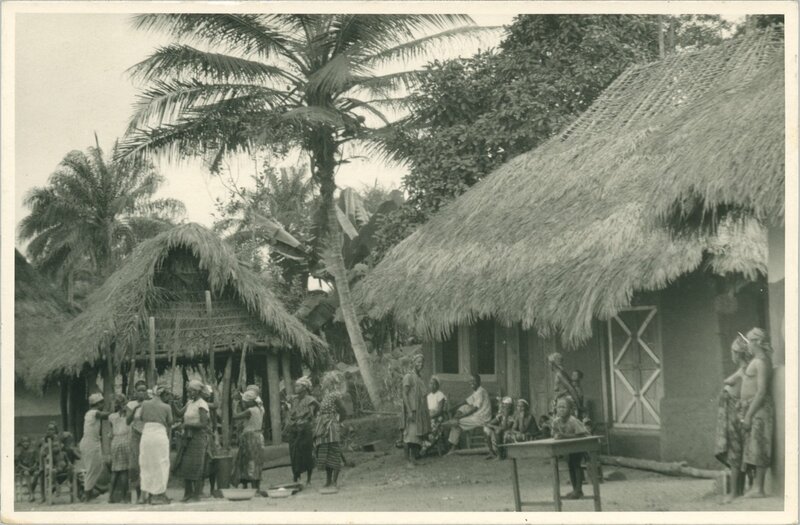 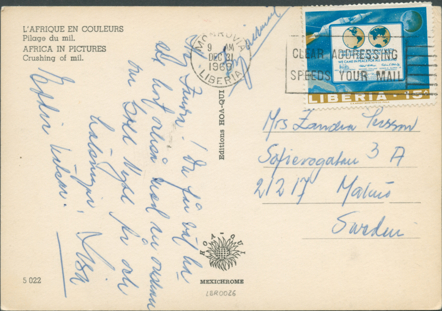 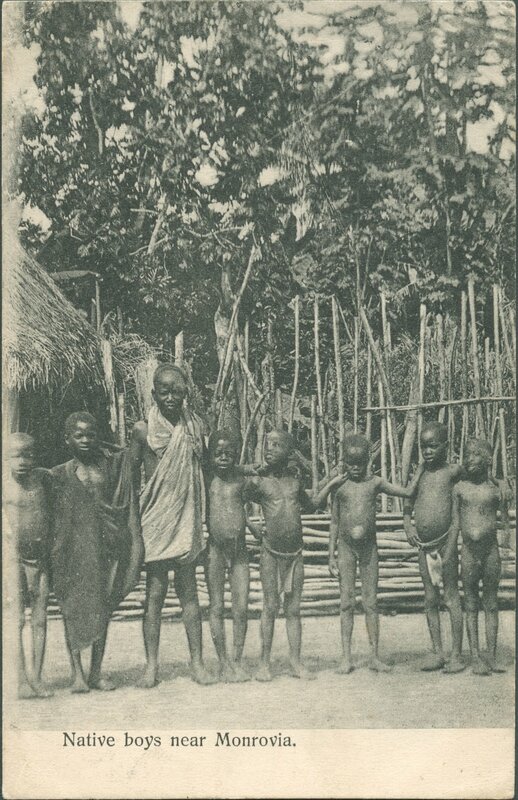 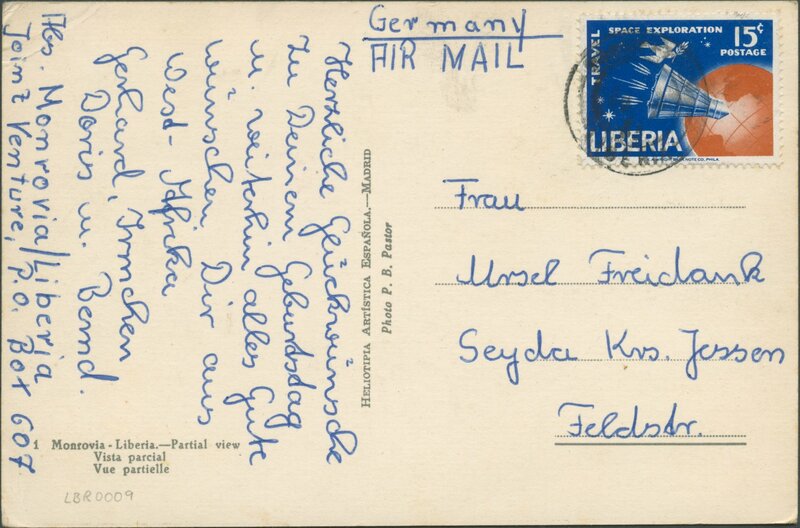 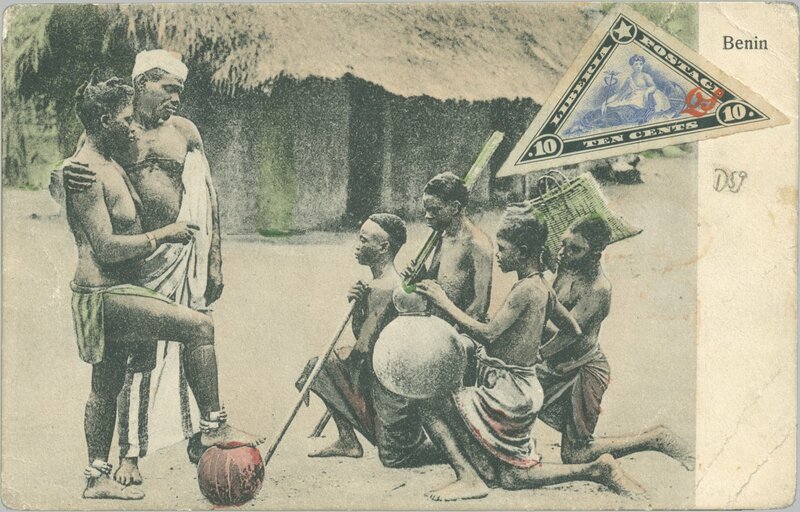 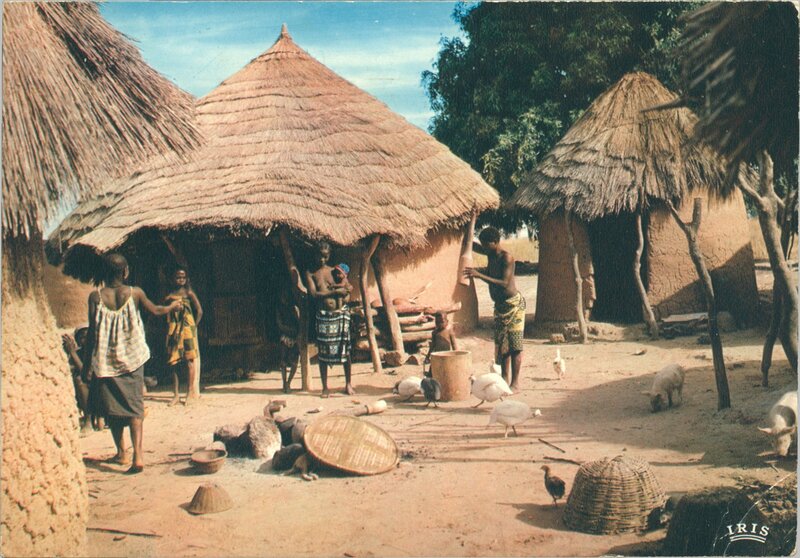 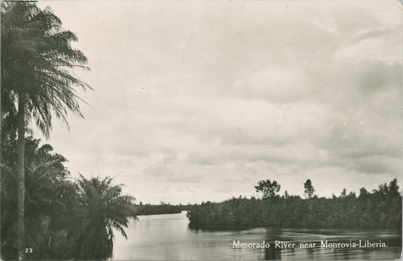 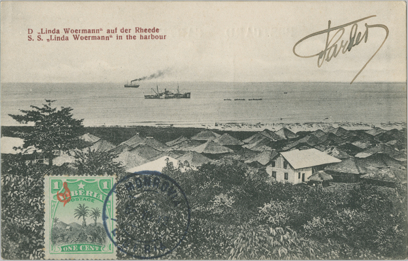 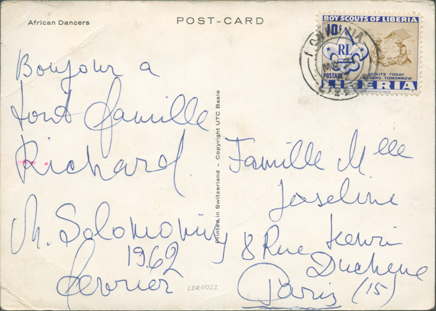 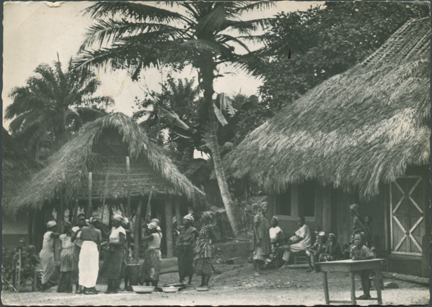 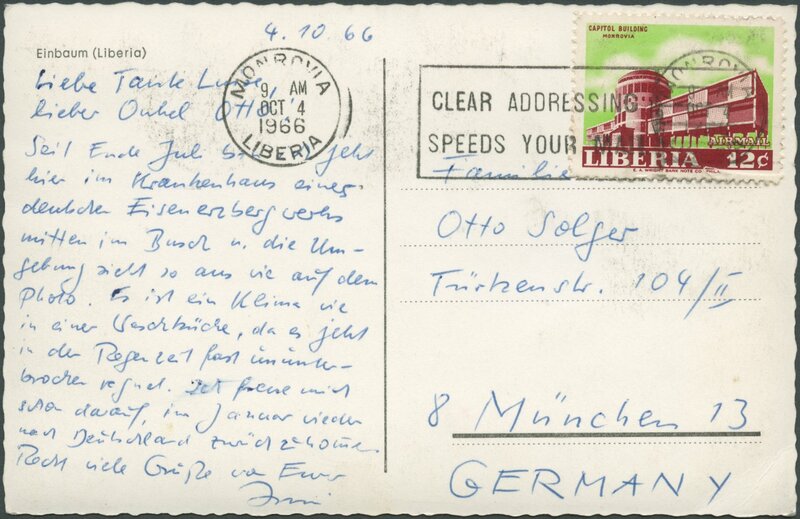 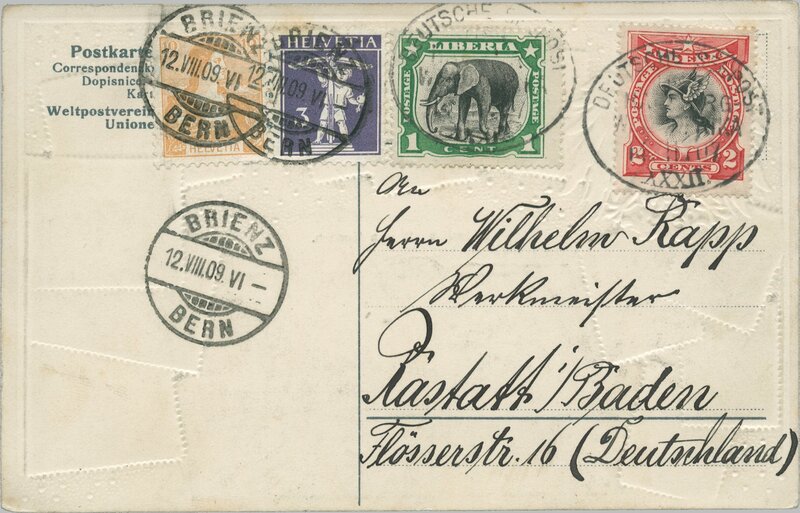 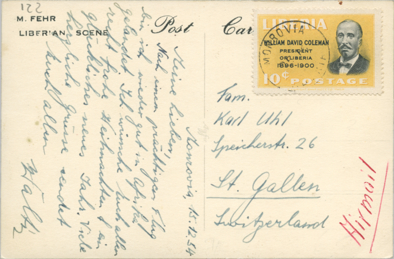 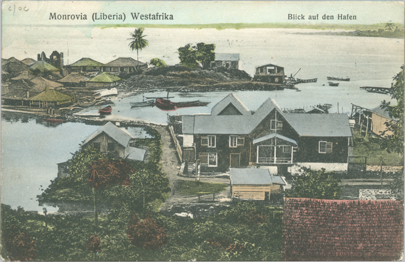 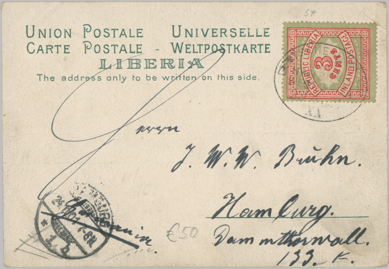 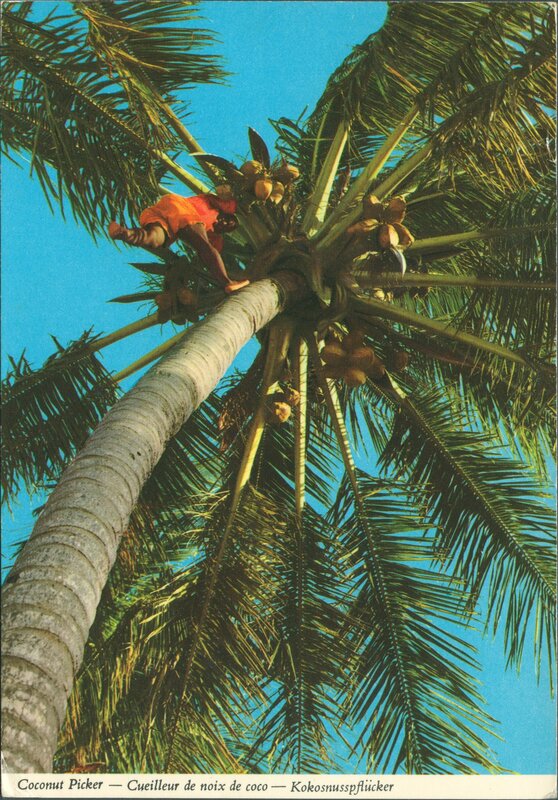 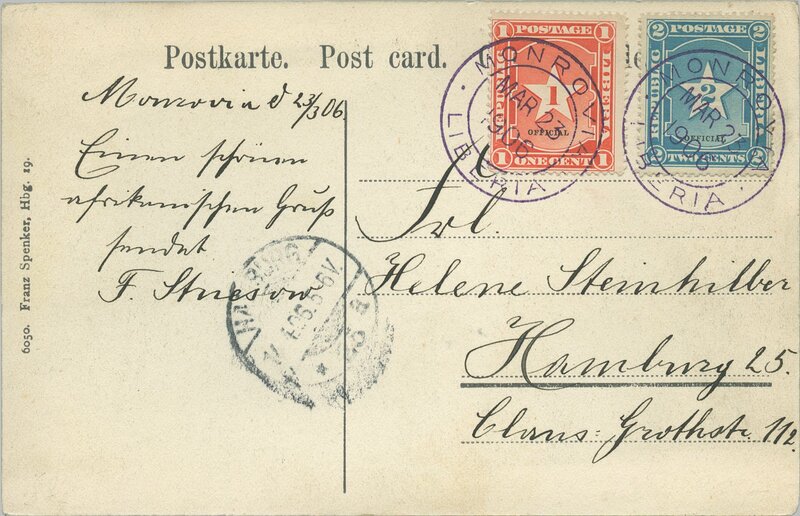 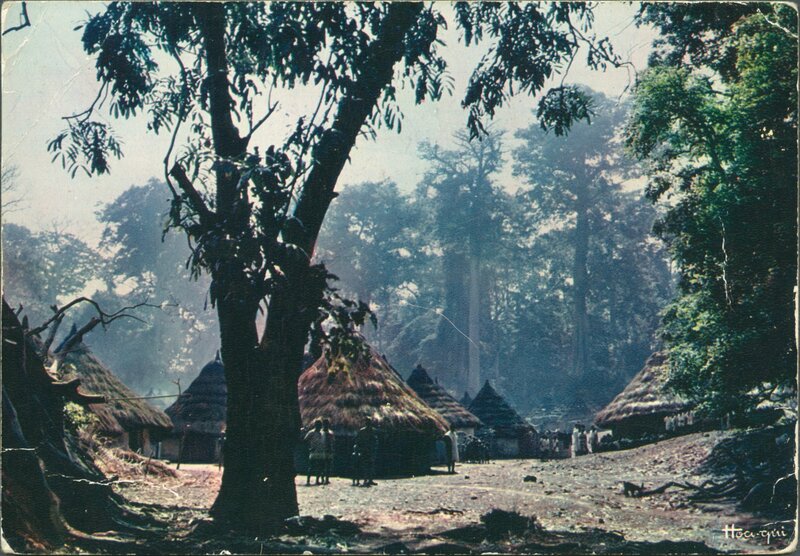 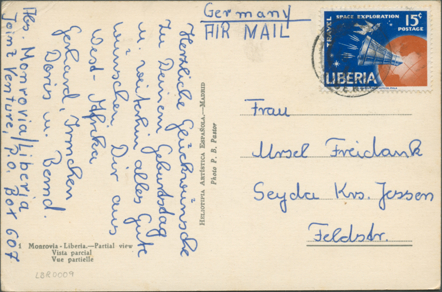 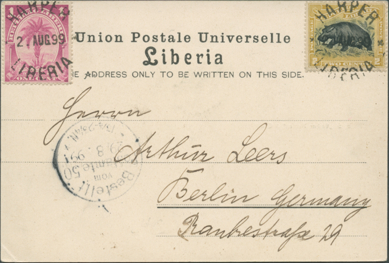 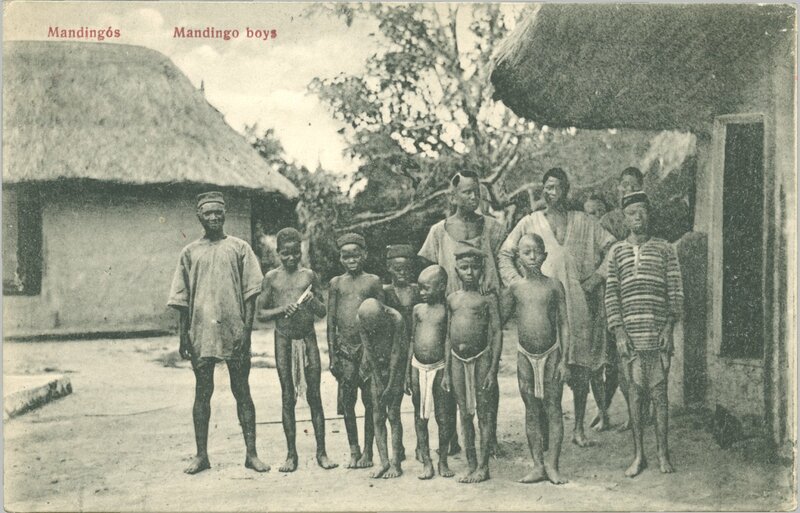 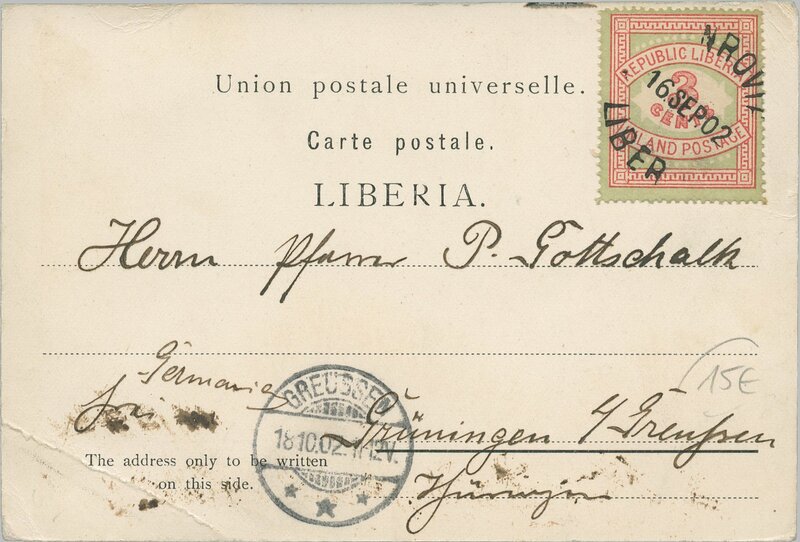 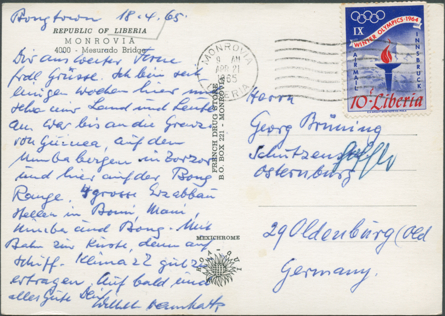 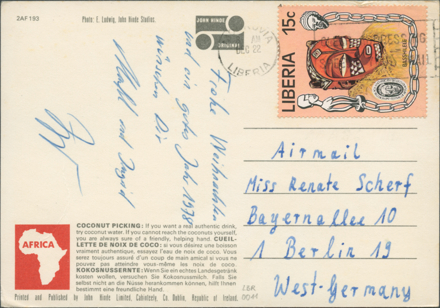 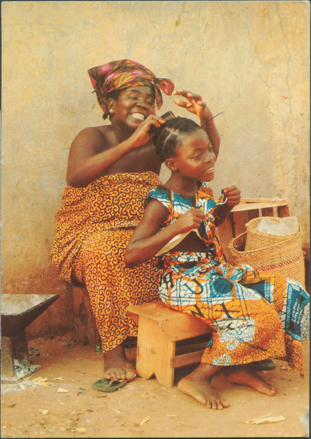 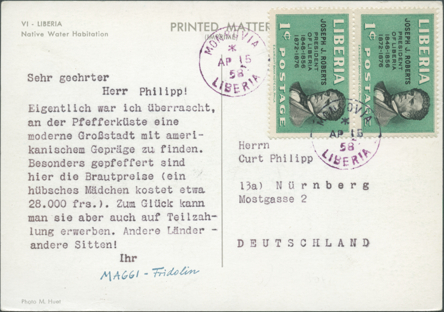 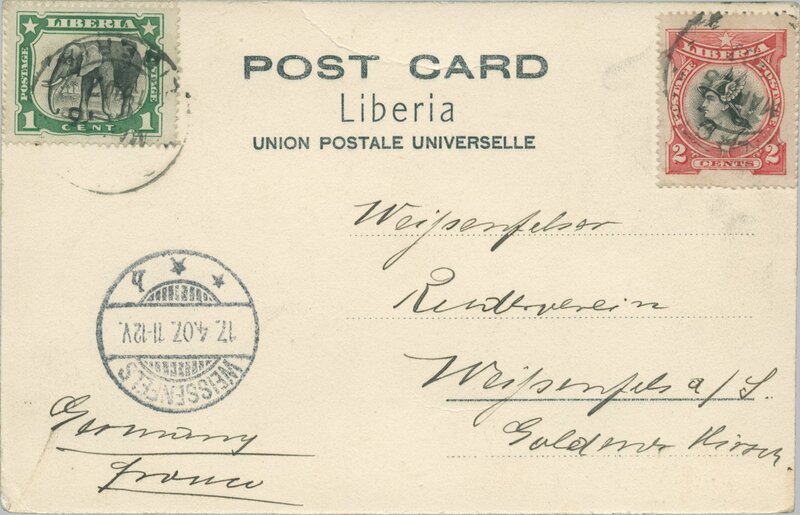 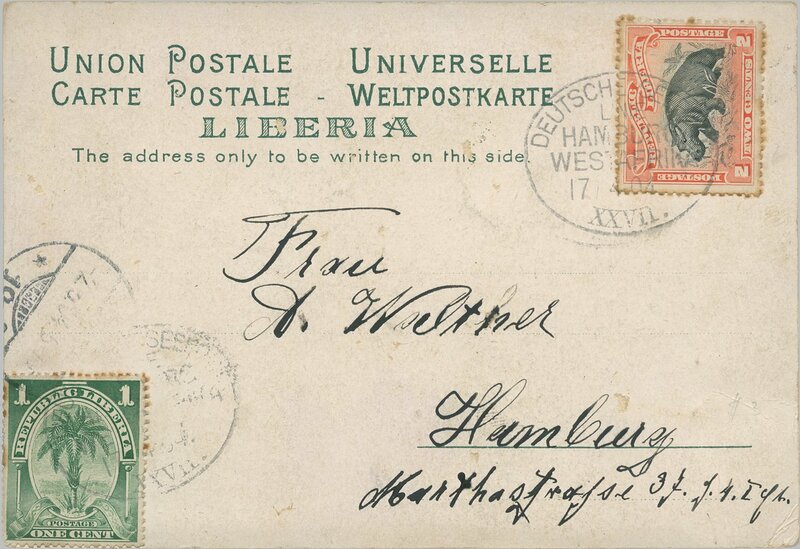 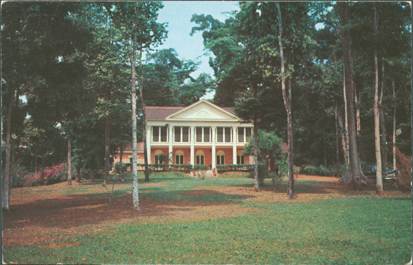 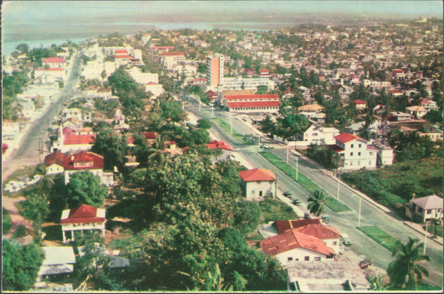 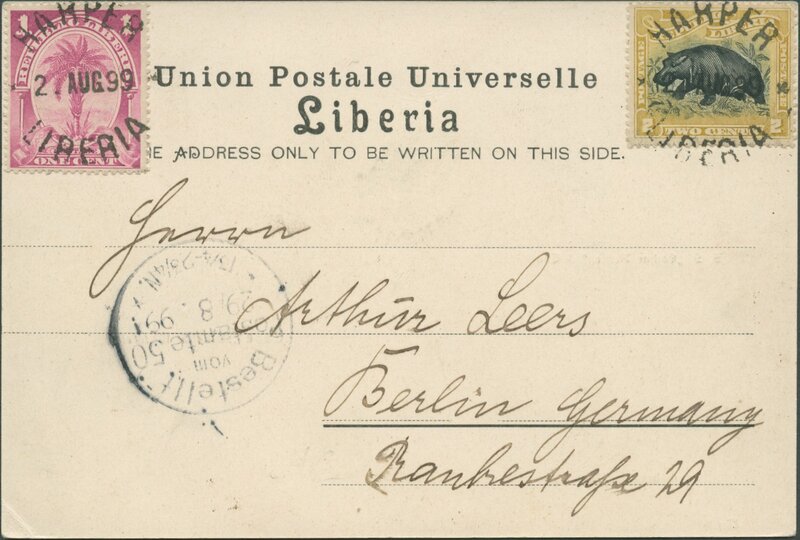 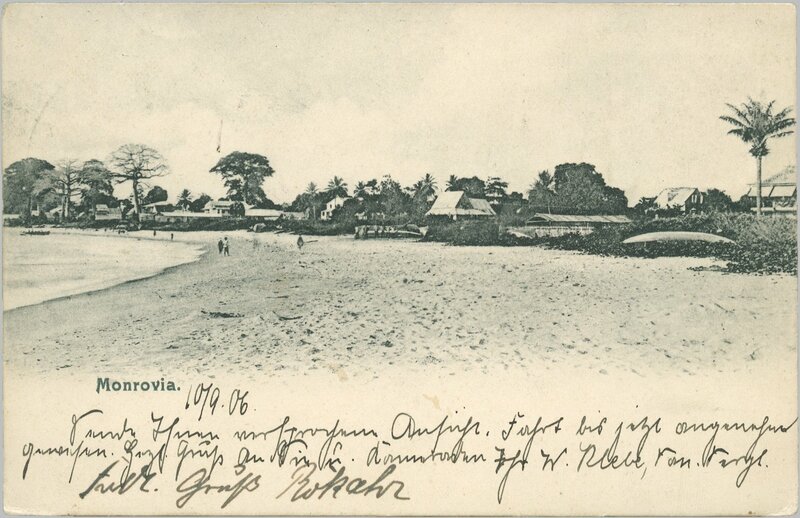 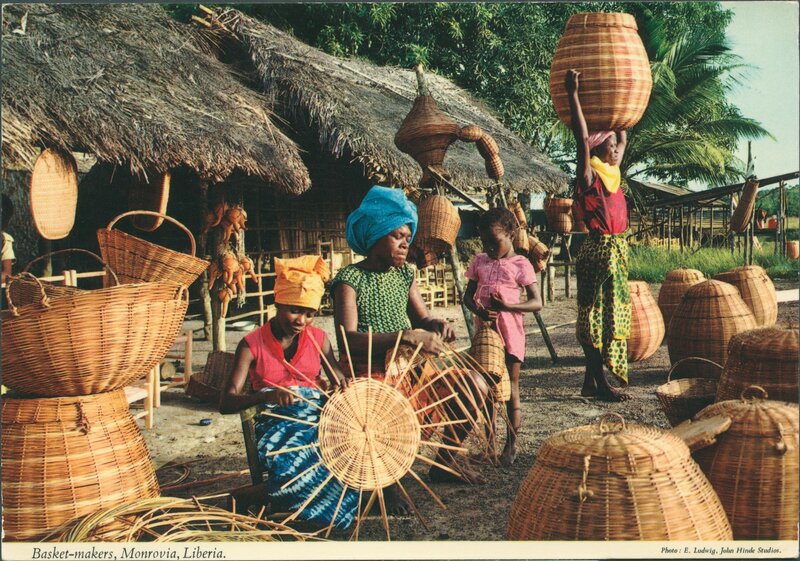 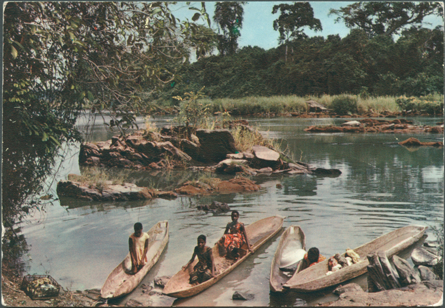 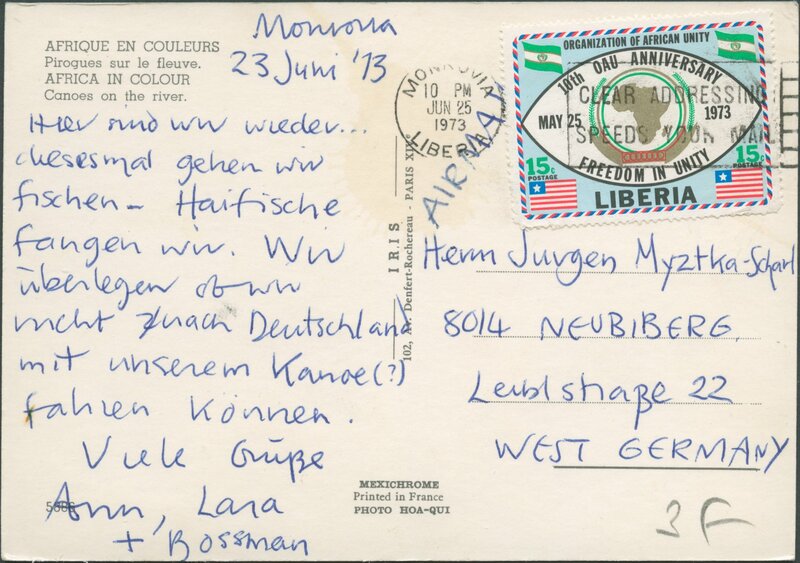 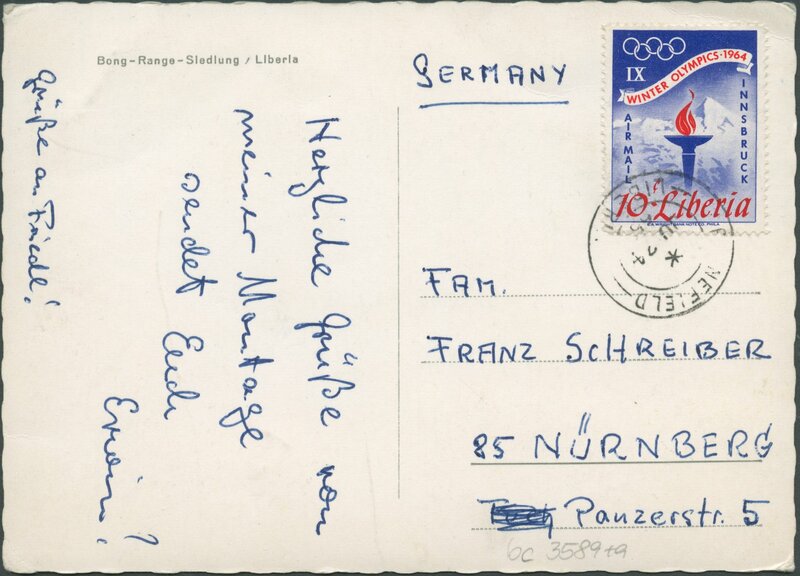 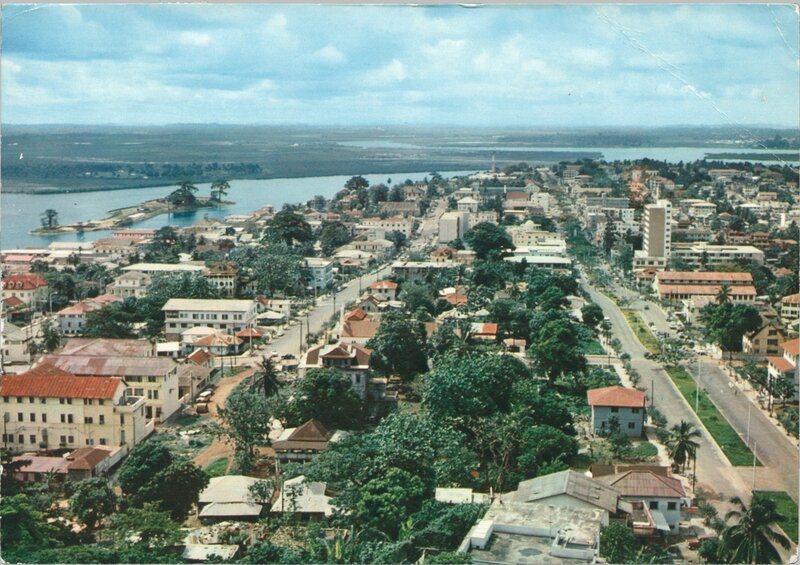 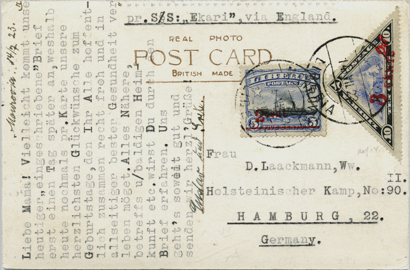 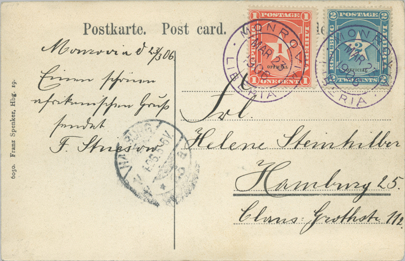 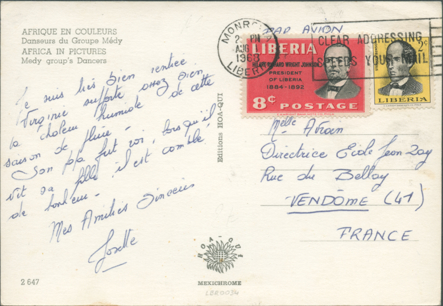 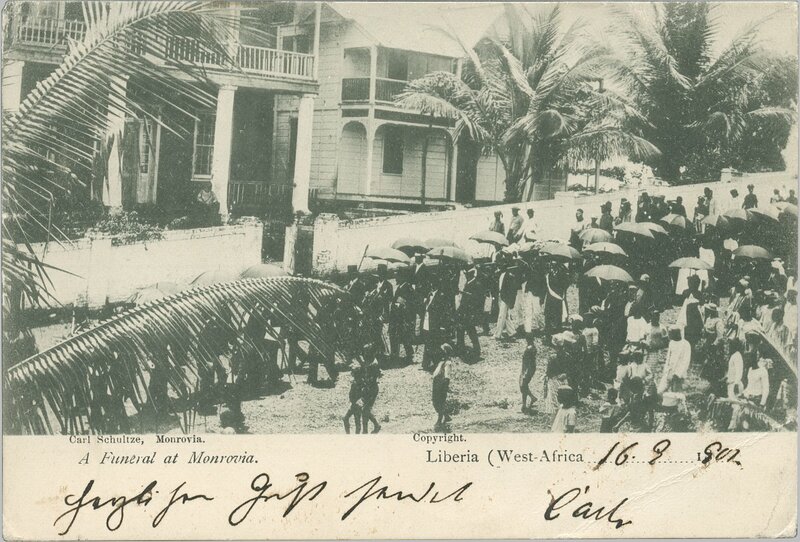 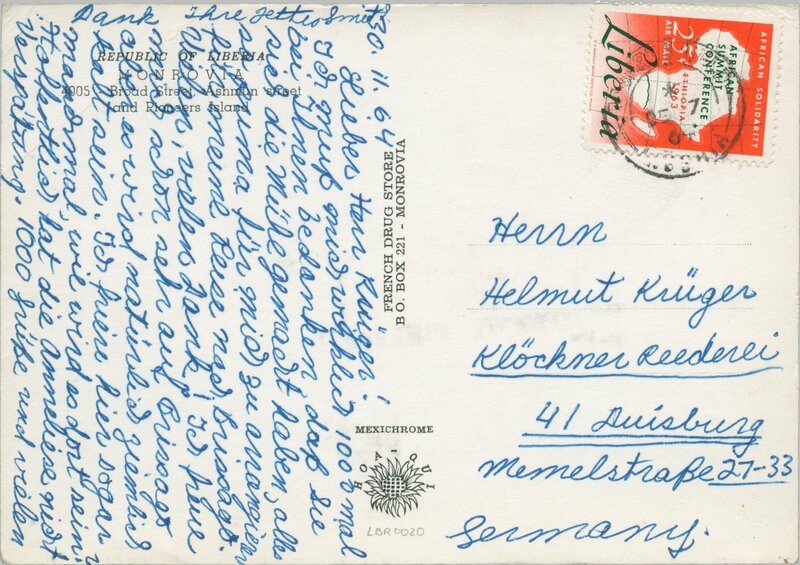 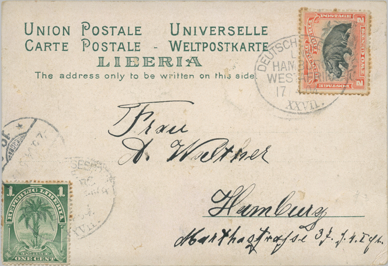 Picture postcard sent on April 5, 1907 from Liberia via German Seapost to Berlin-Charlottenburg, Germany; franking of 2 cents covering ? 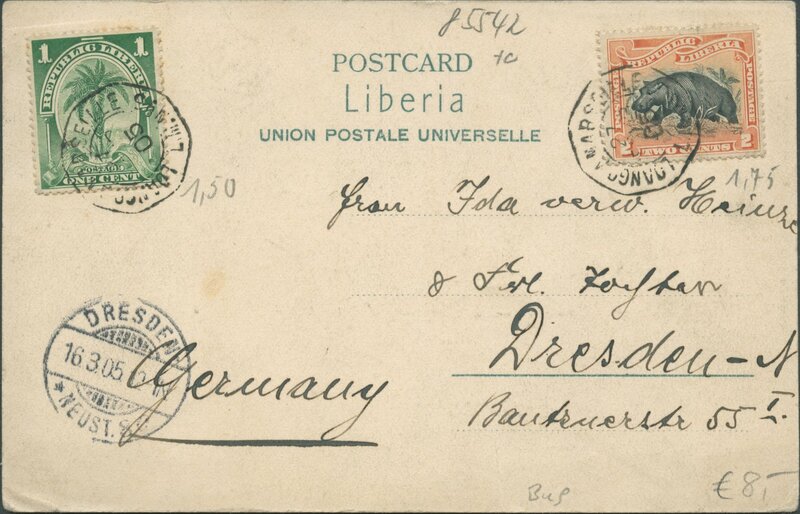 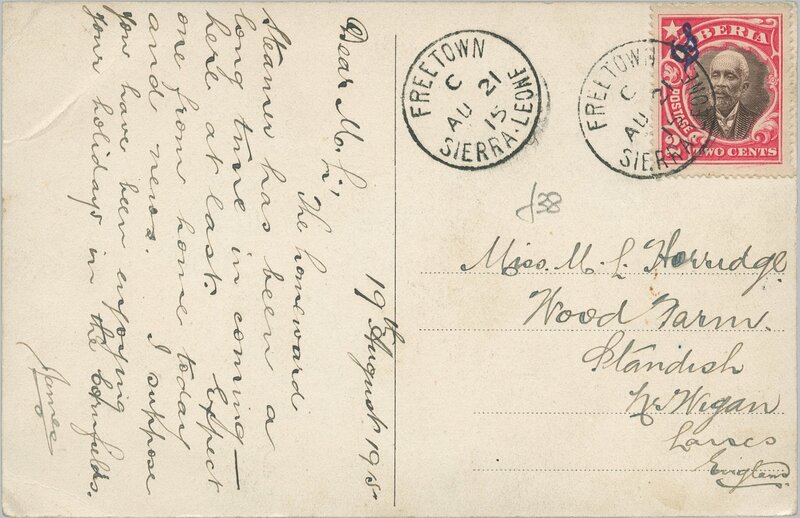 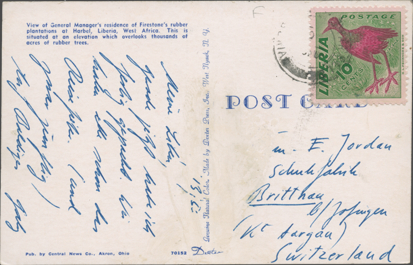 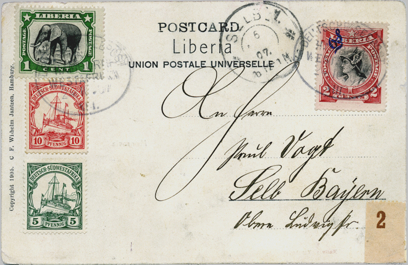 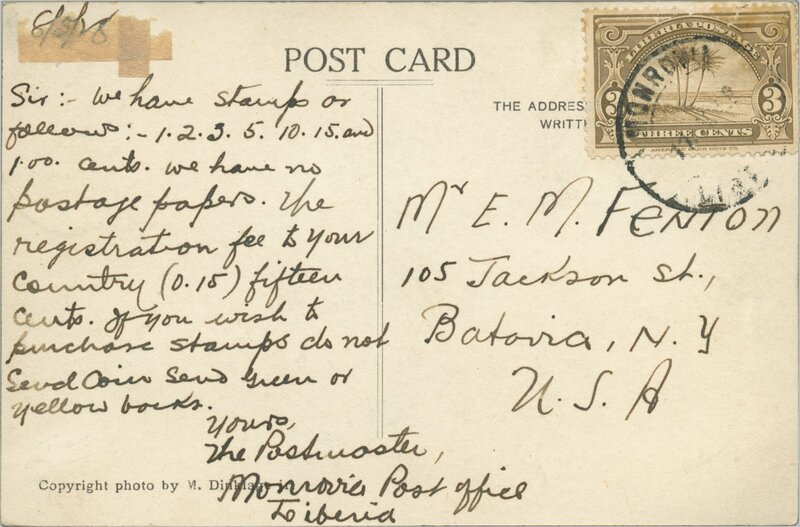 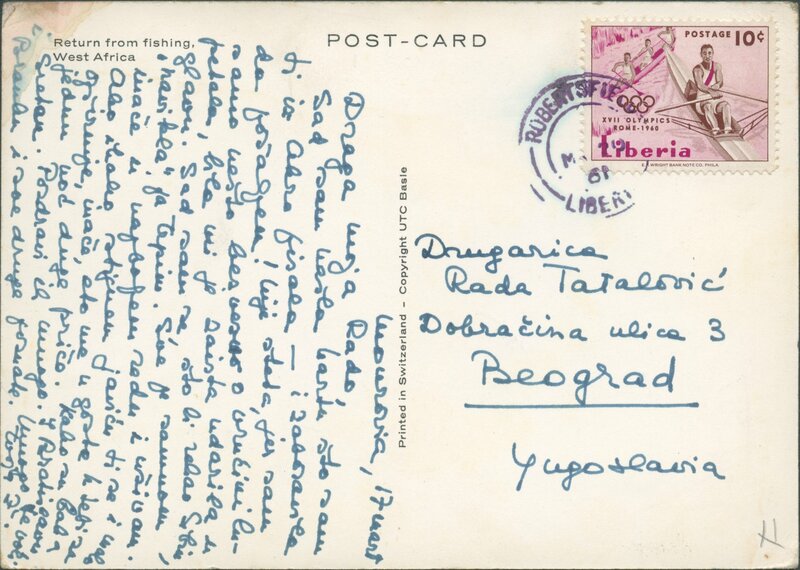 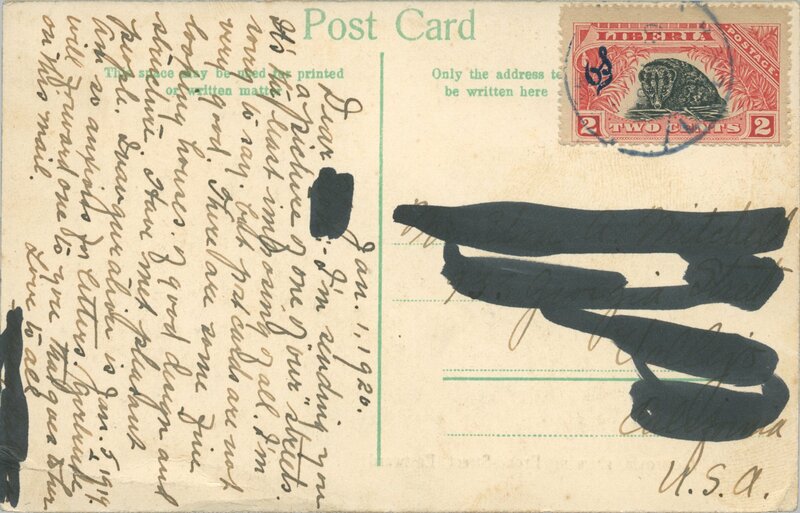 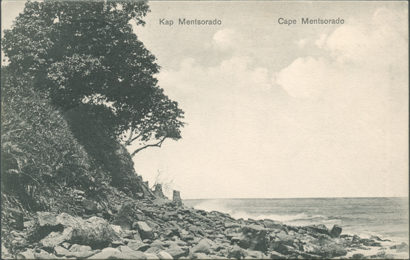 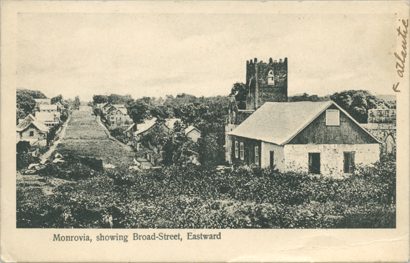 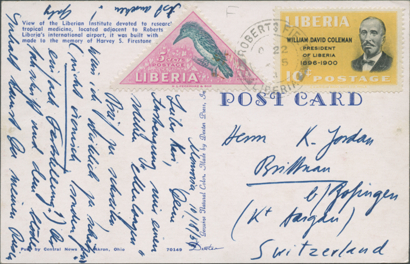 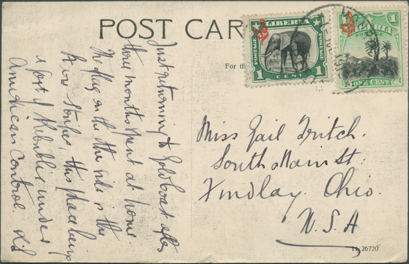 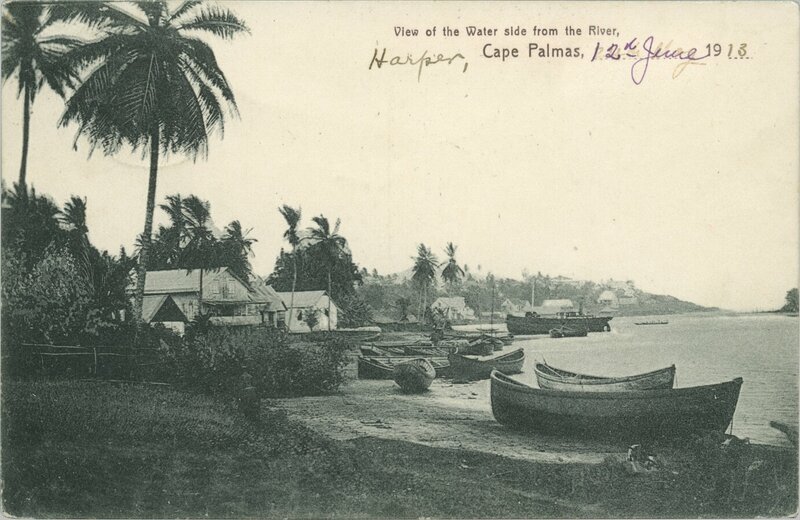 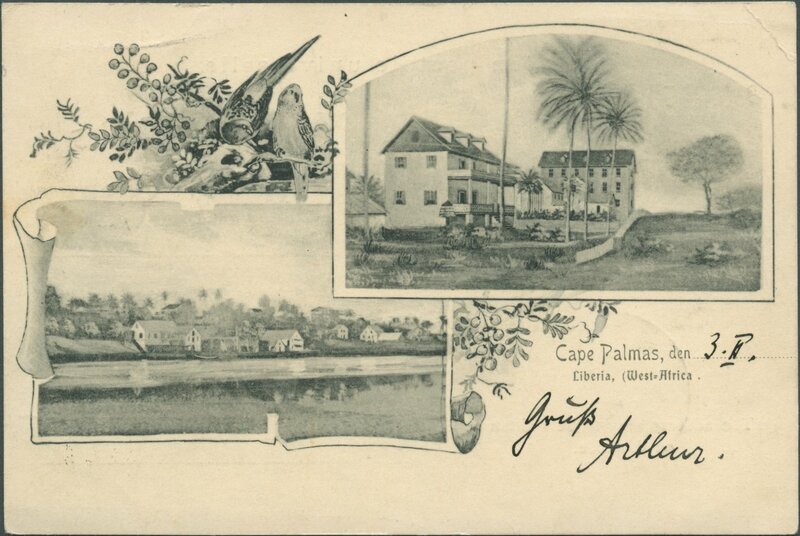 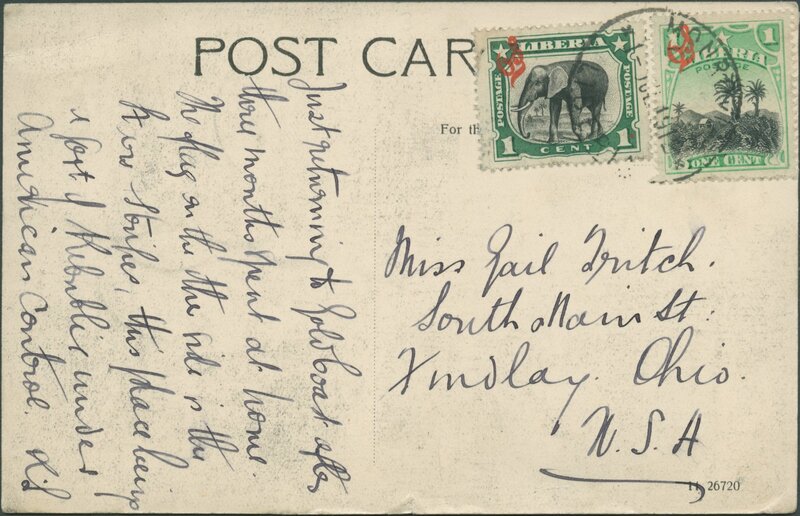 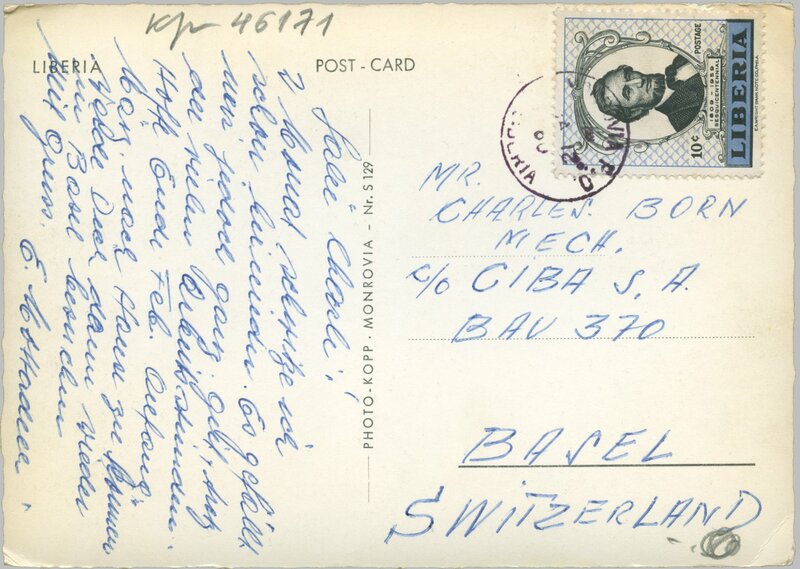 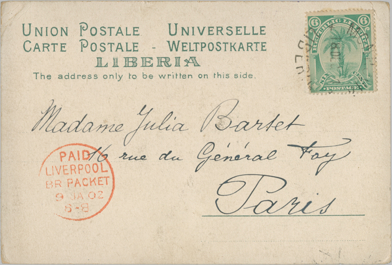 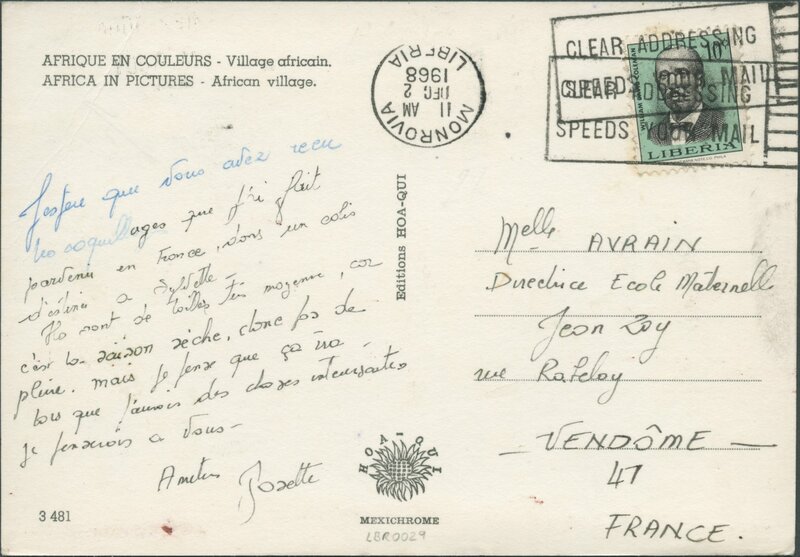 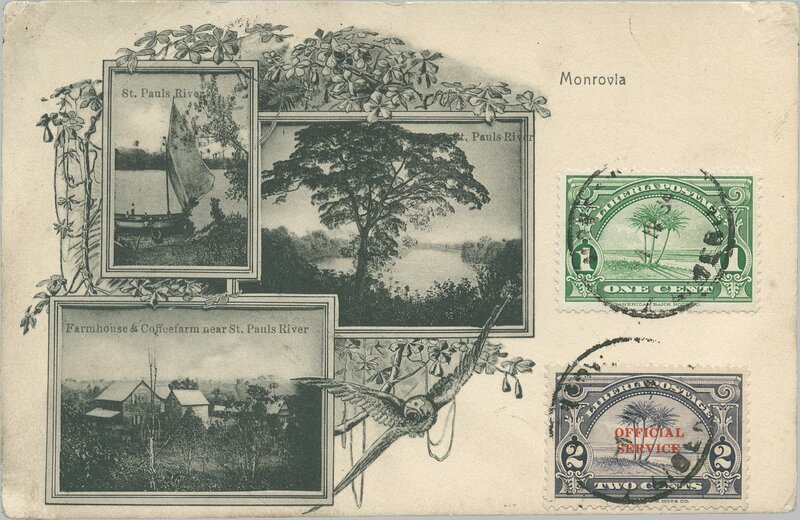 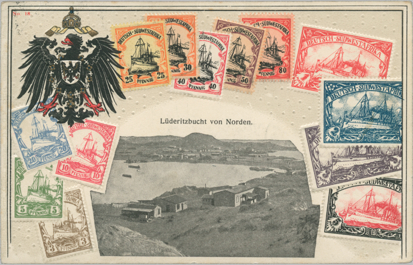 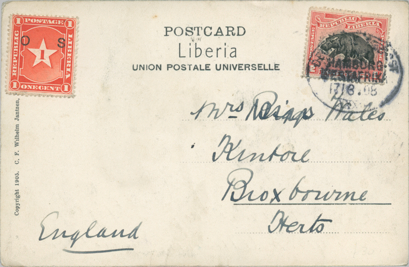 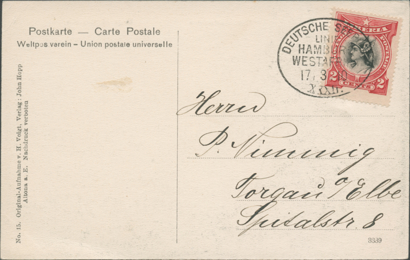 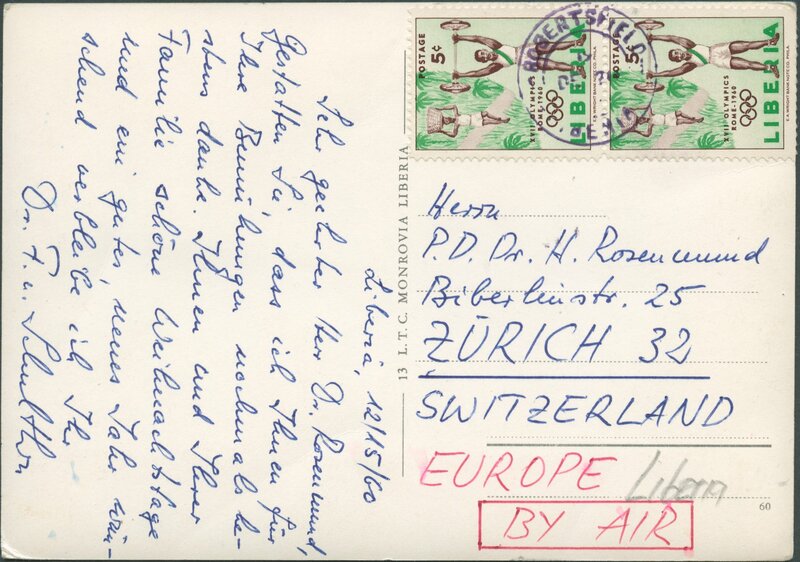 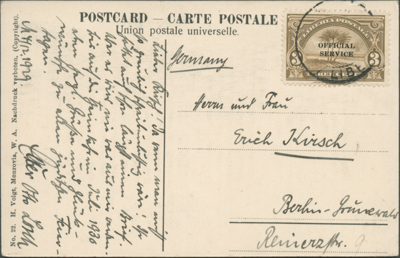 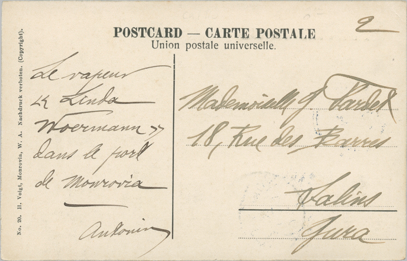 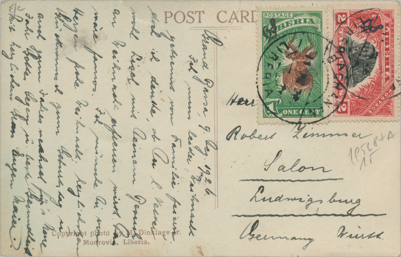 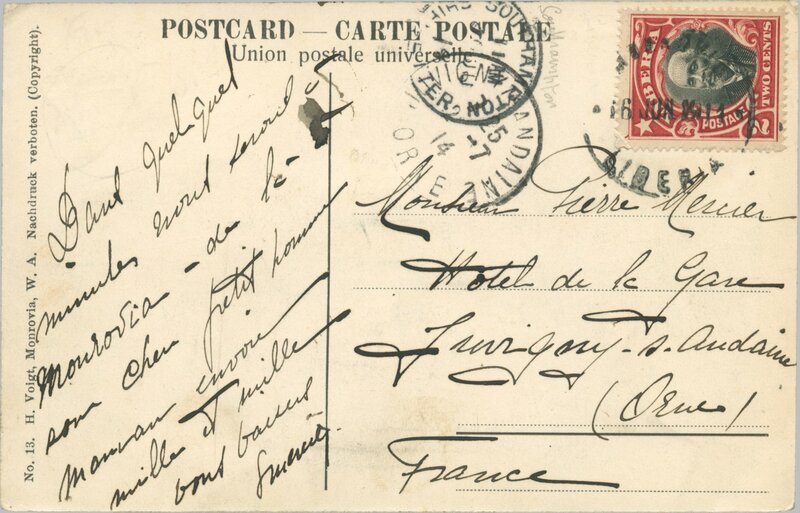 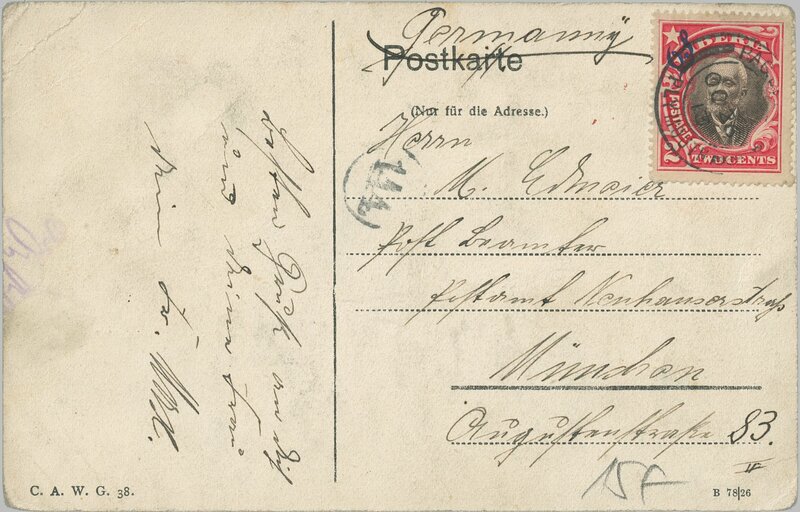 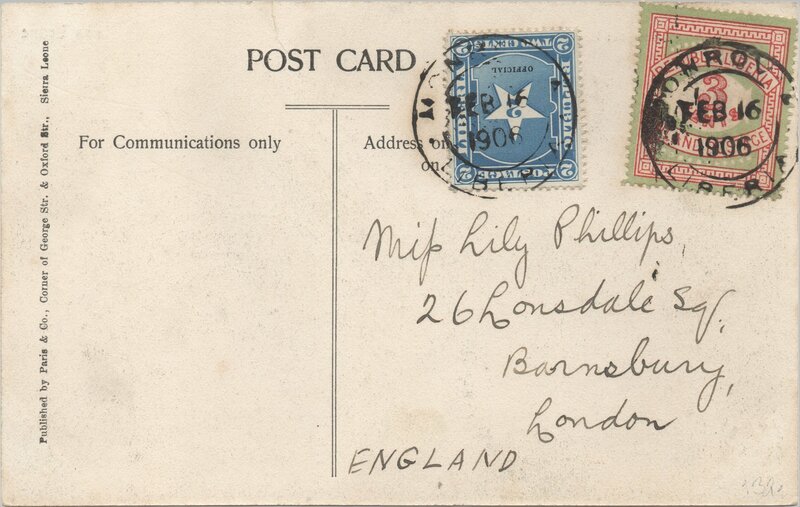 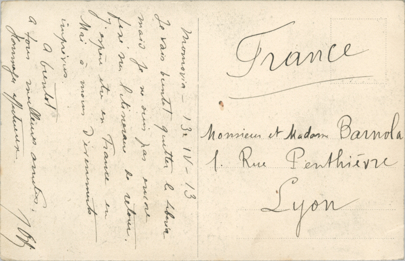 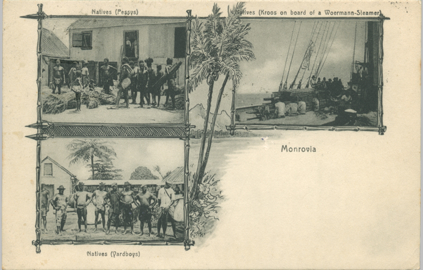 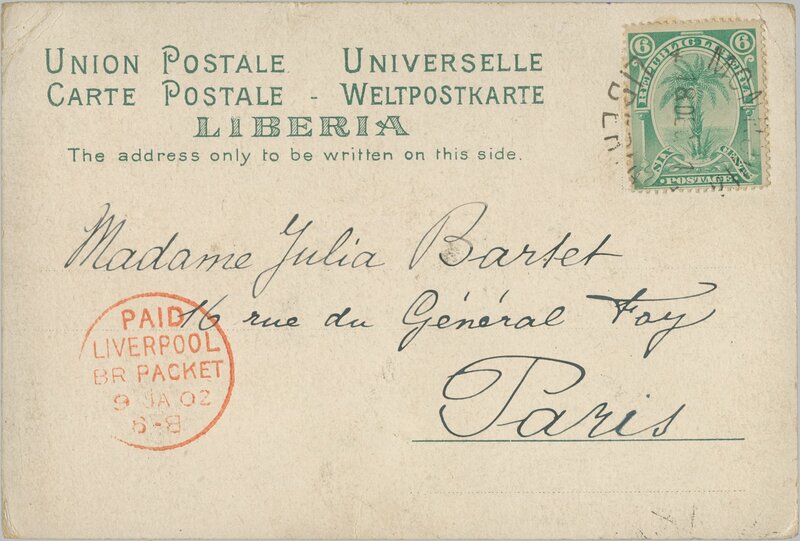 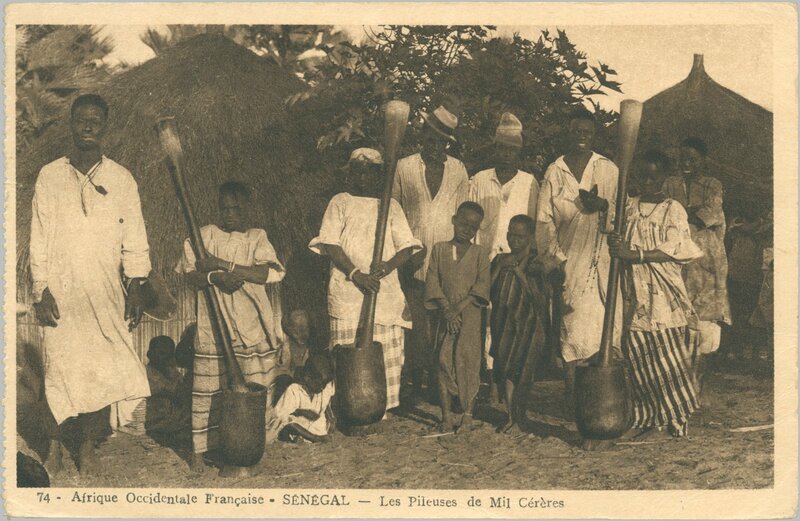 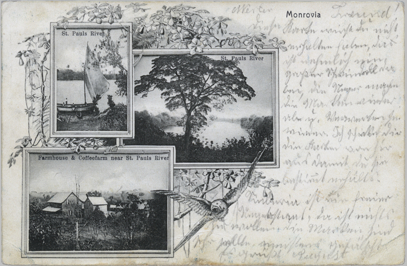 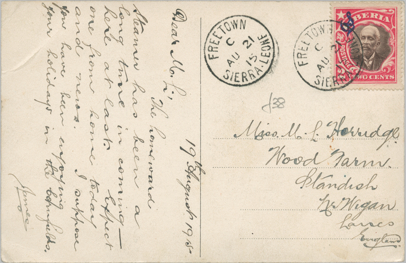 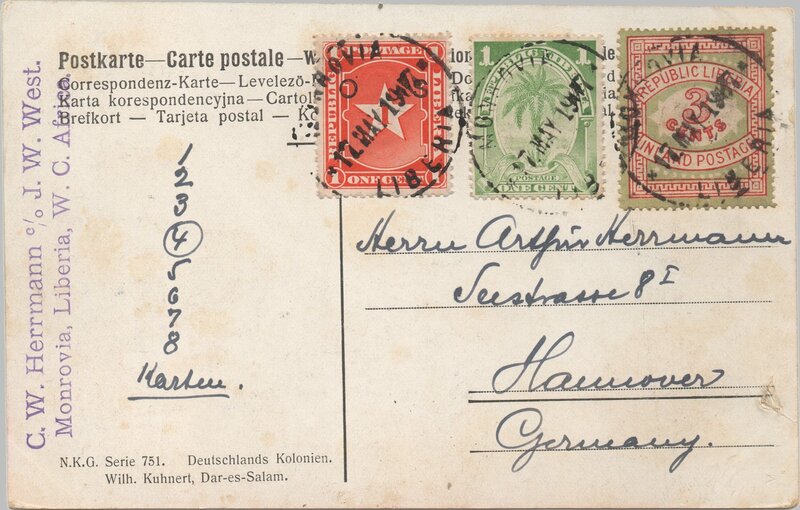 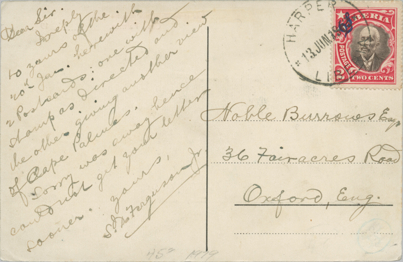 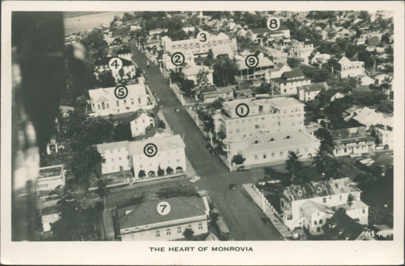 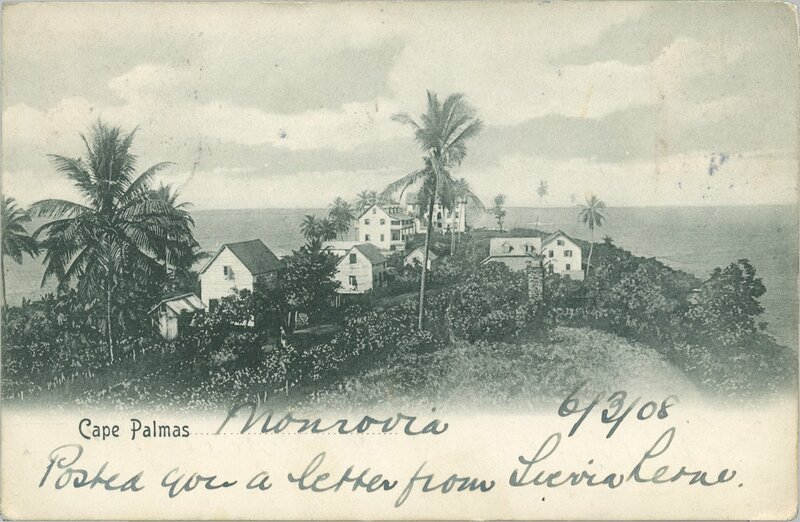 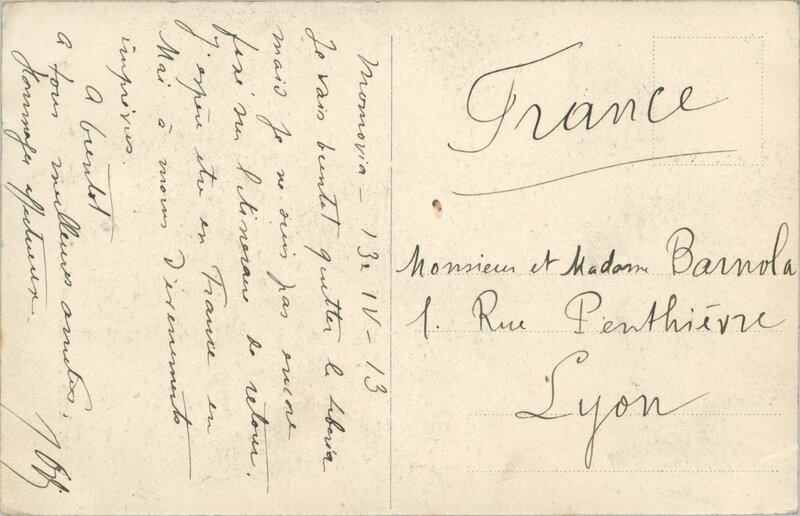 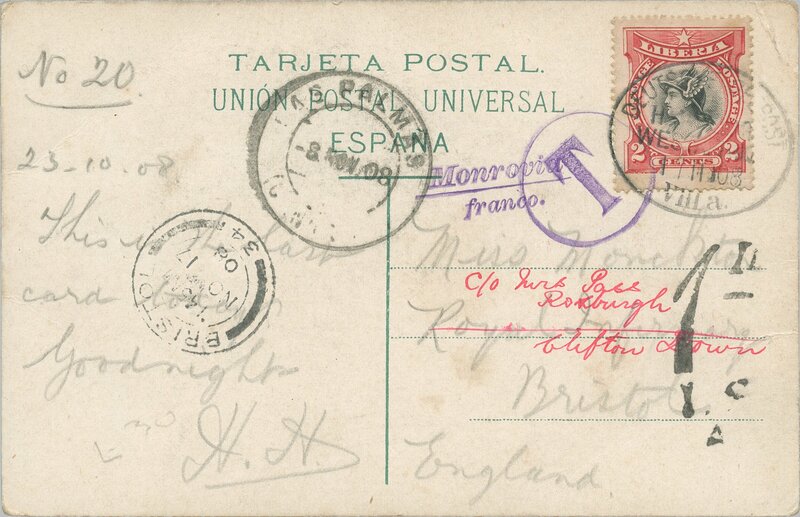 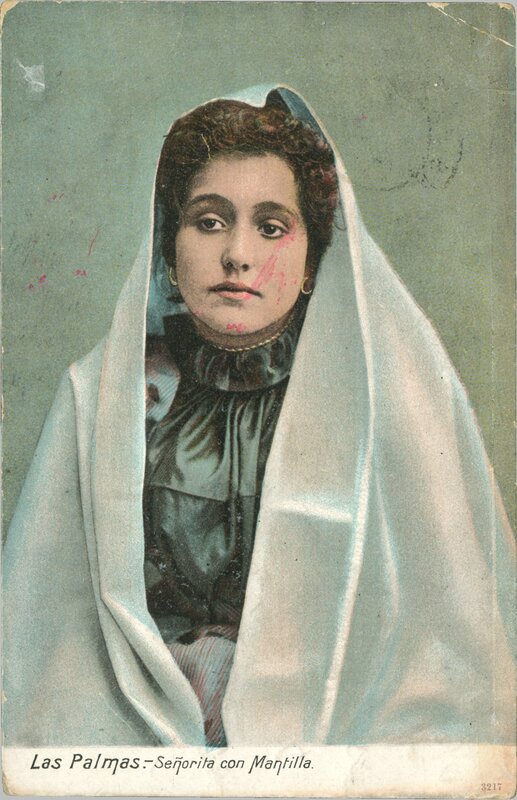 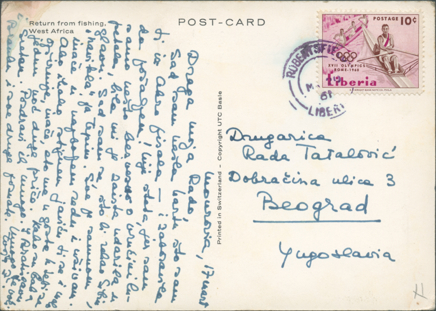 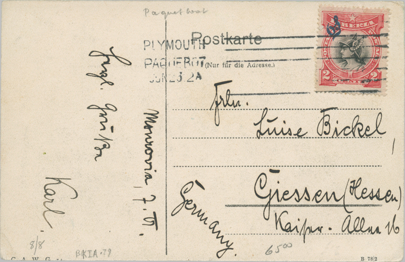 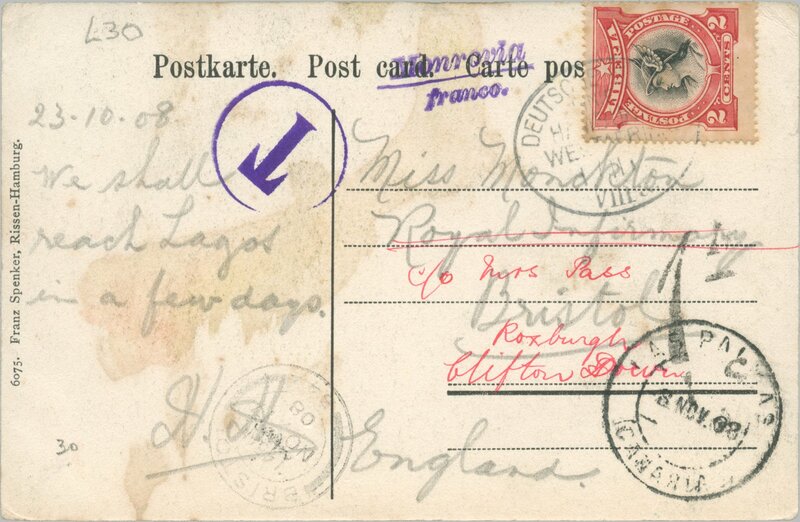 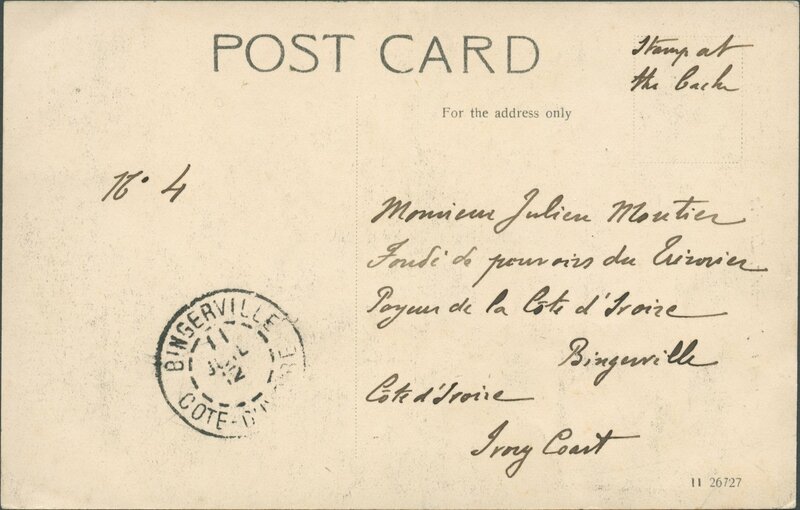 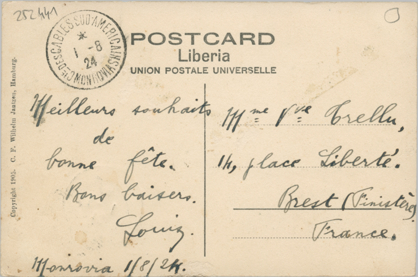 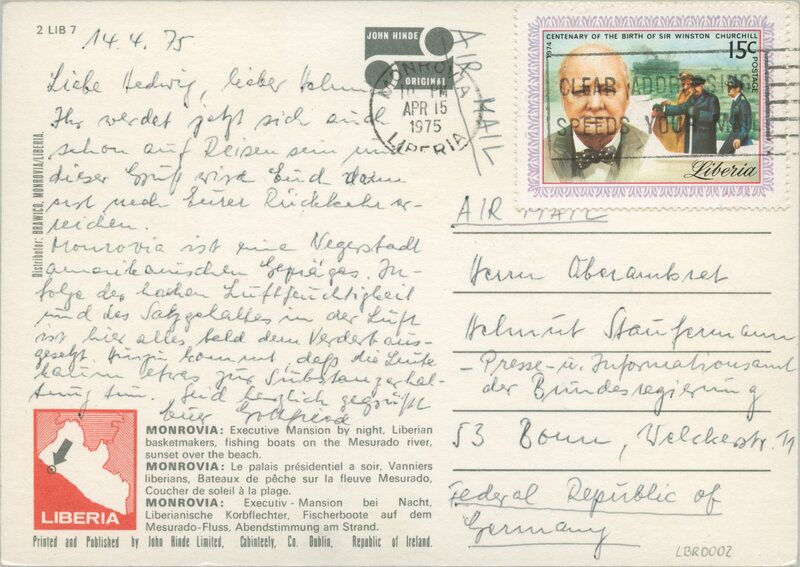 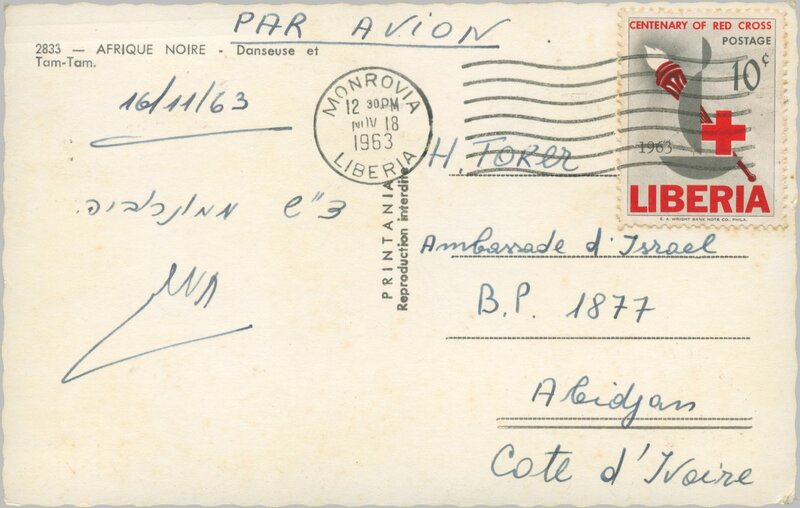 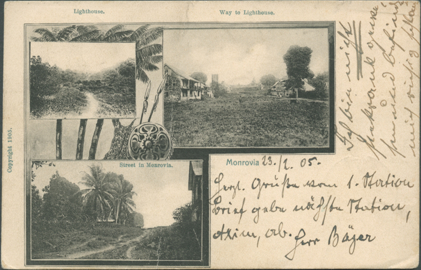 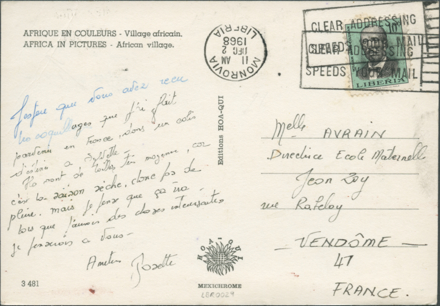 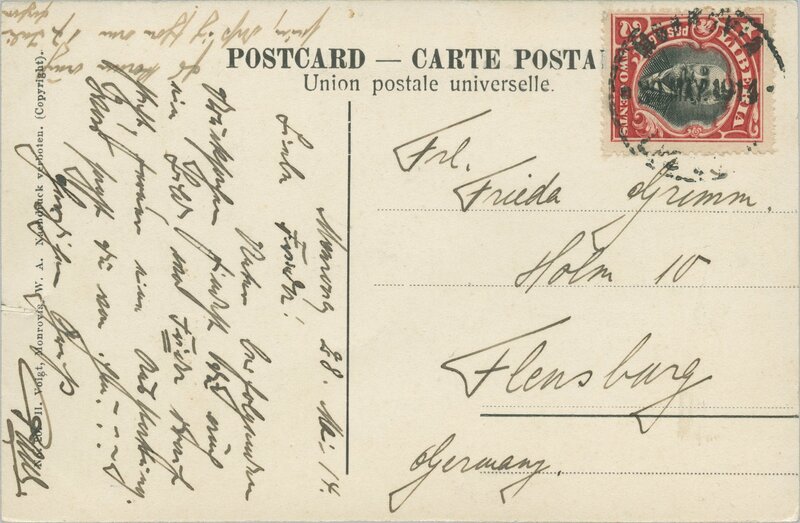 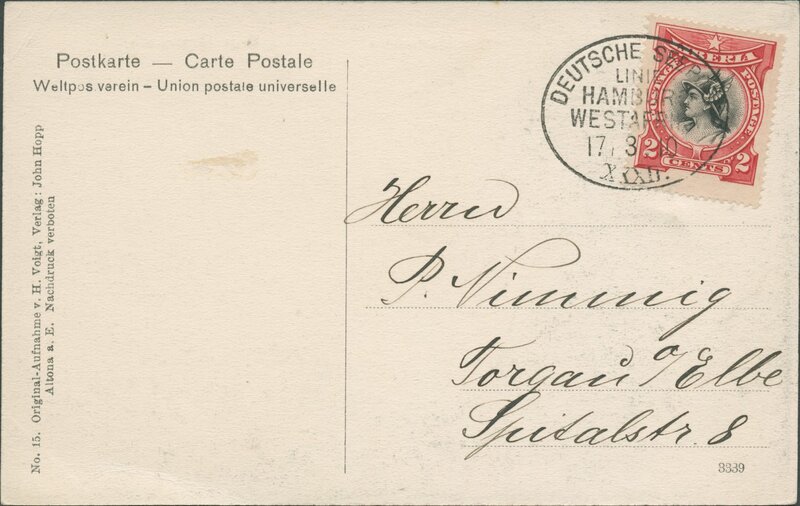 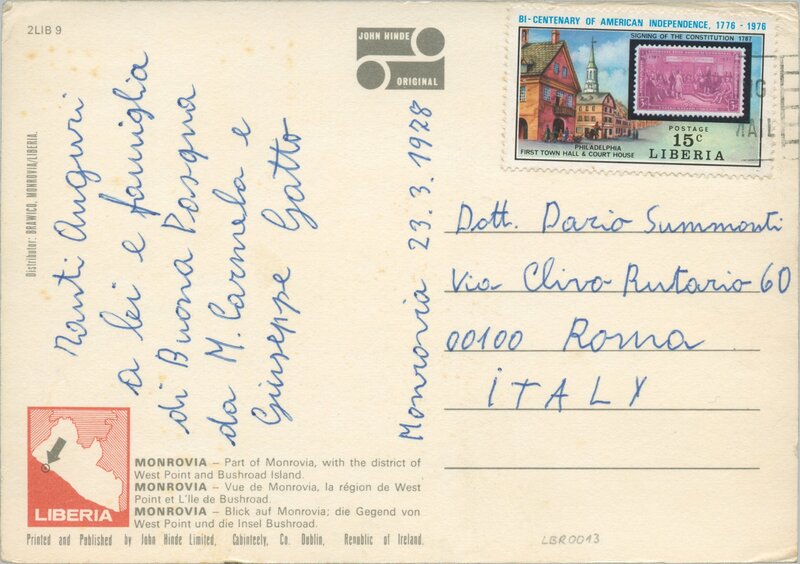 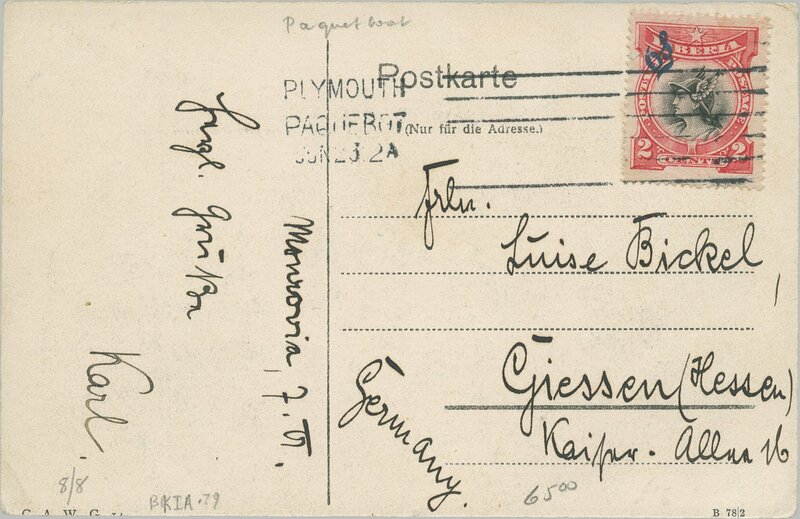 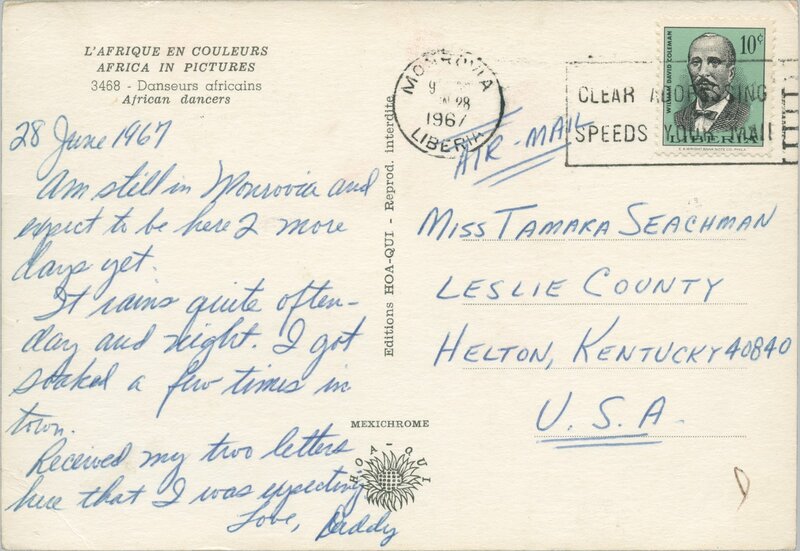 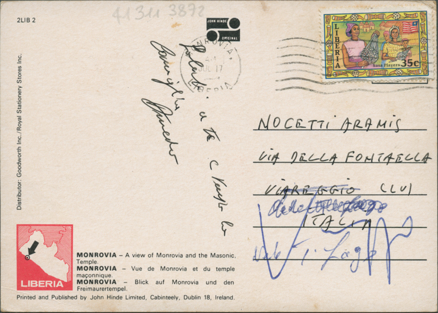 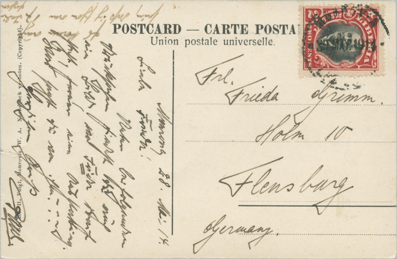 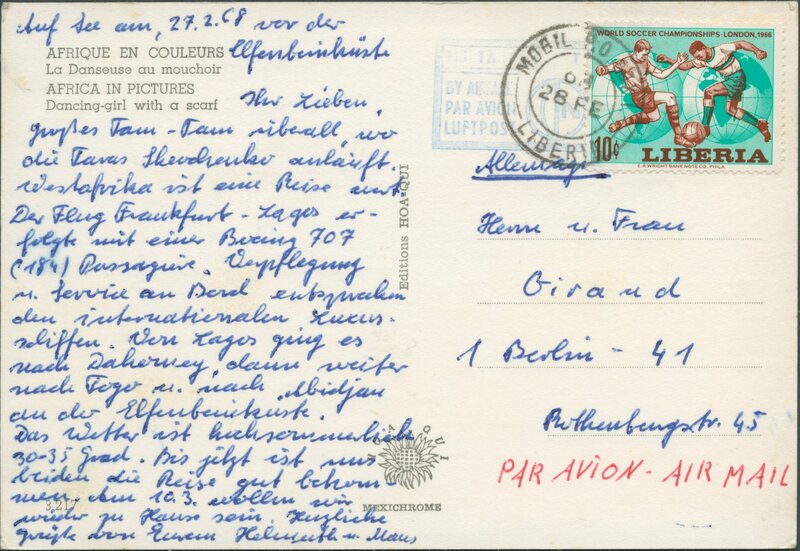 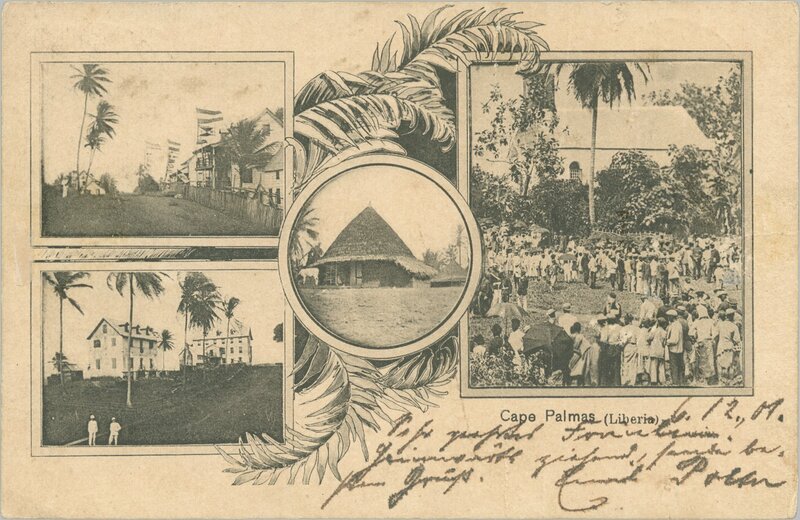 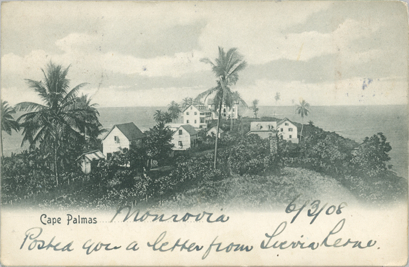 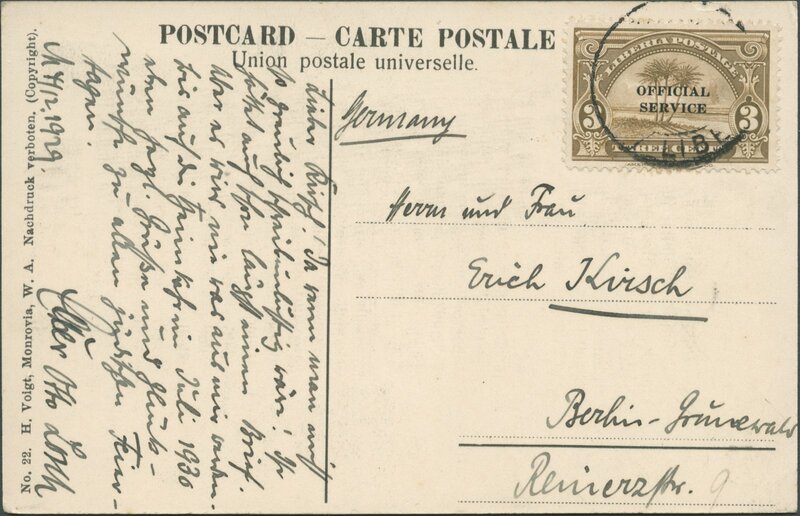 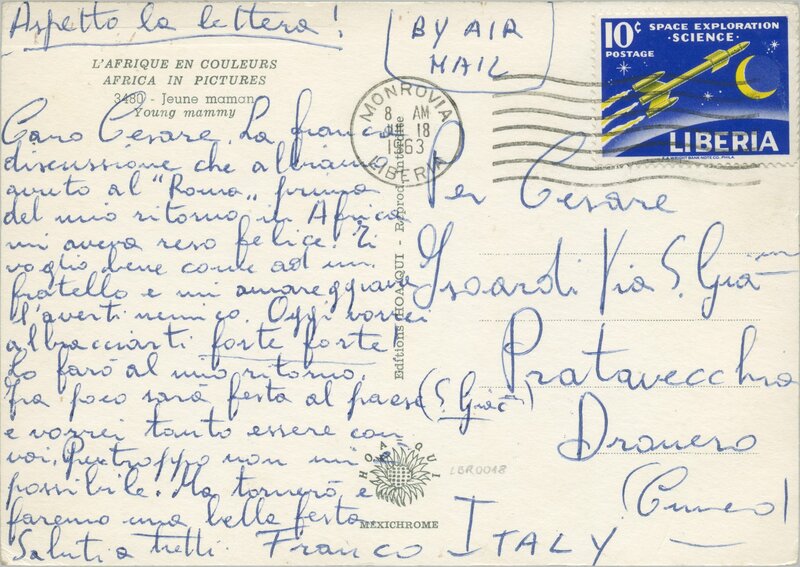 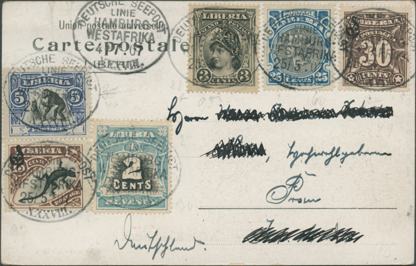 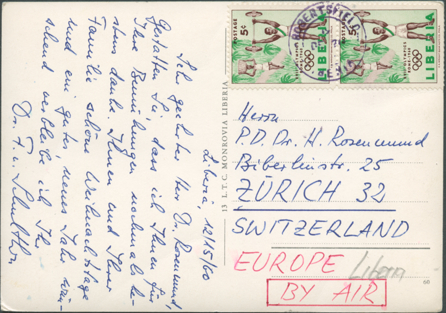 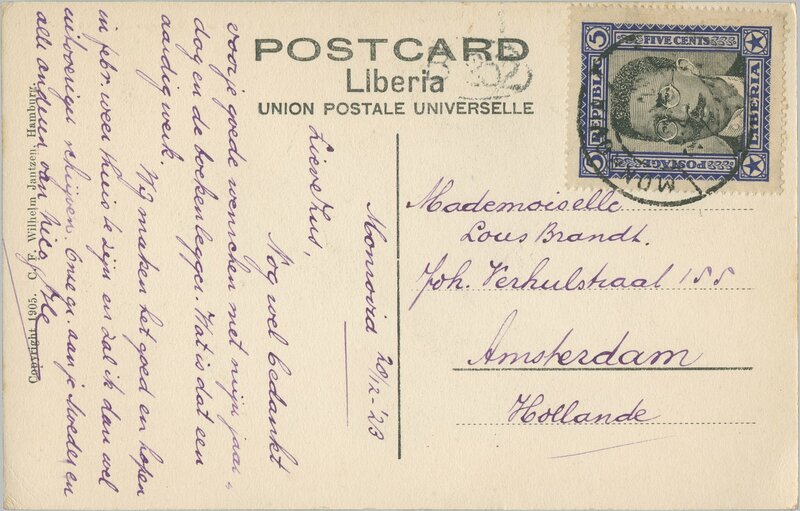 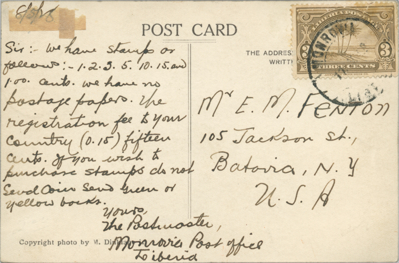 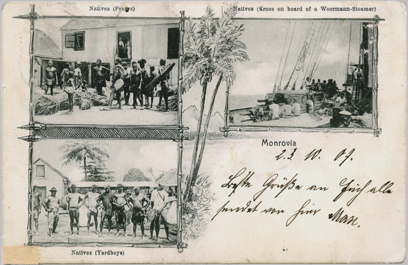 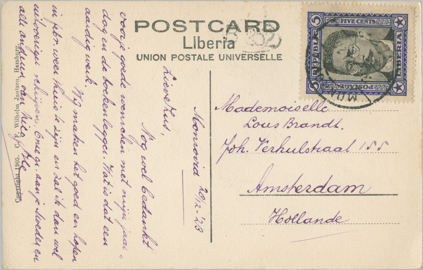 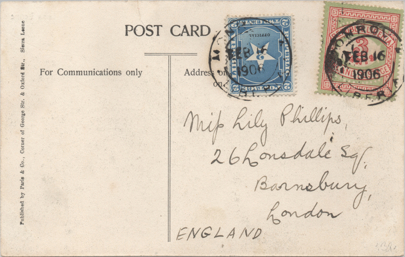 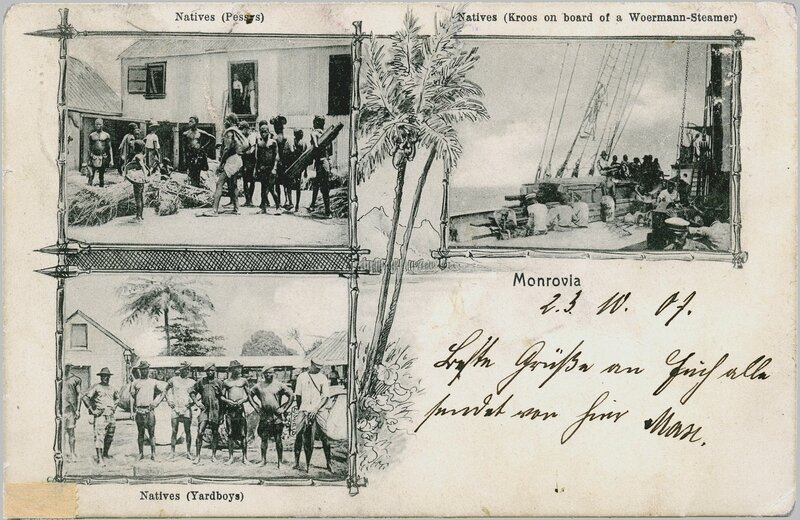 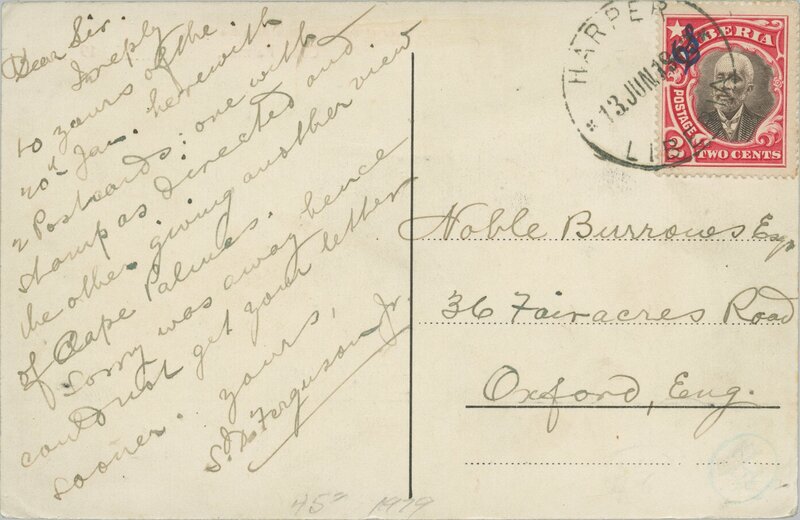 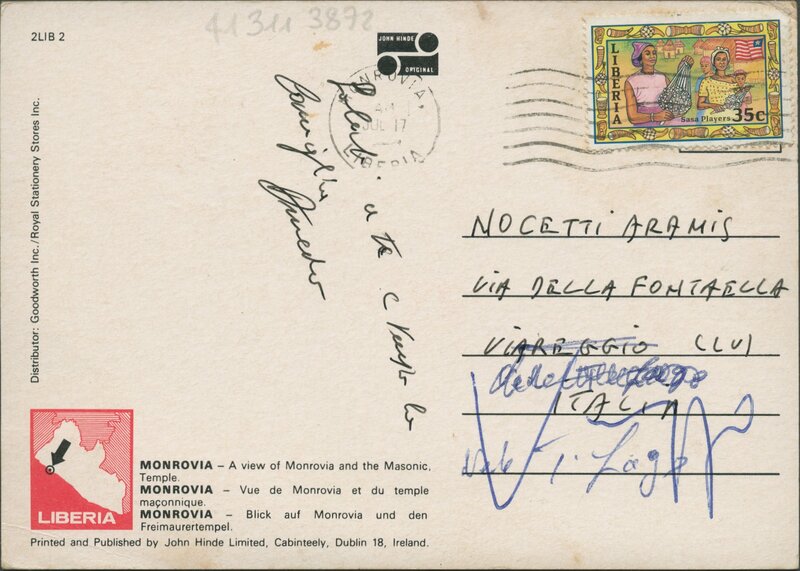 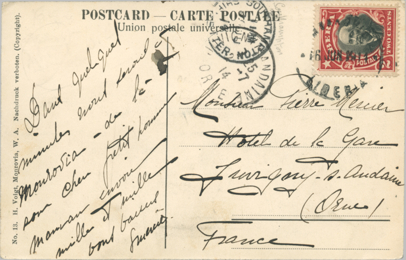 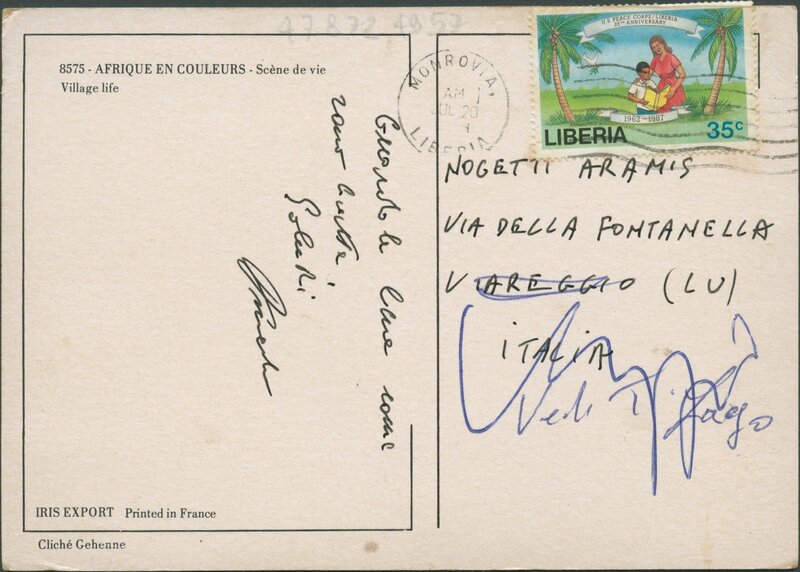 Picture postcard sent on November 1, 1908 from Monrovia via German Seapost and Las Palmas to Bristol, England; franking of 2 cents covering new postcard rate (2 cents)? 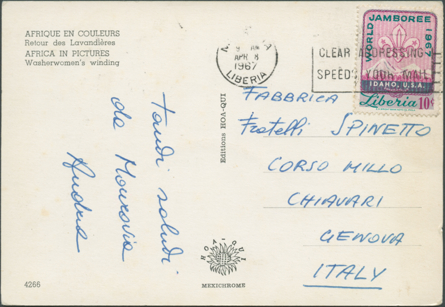 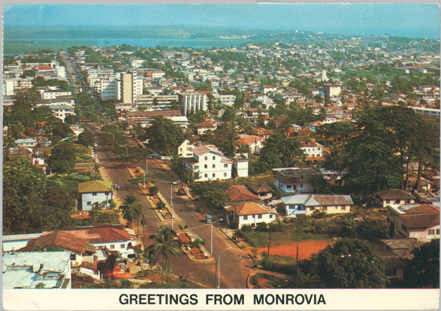 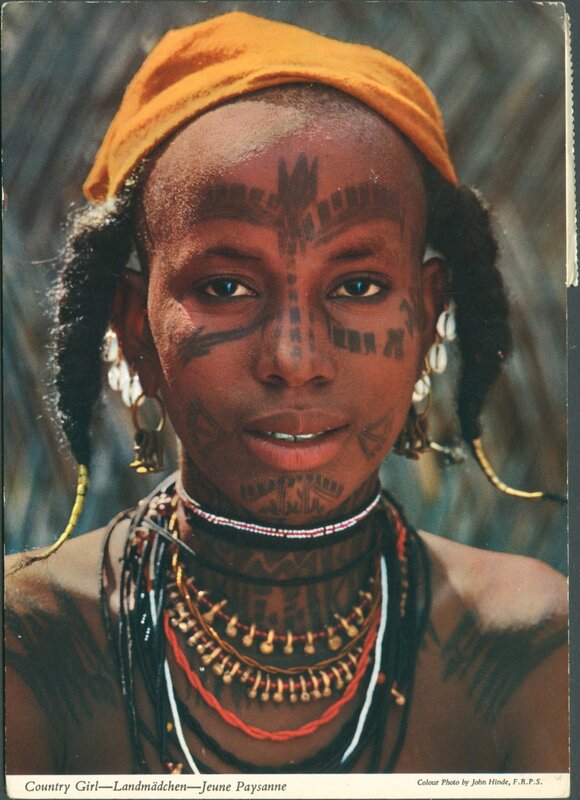 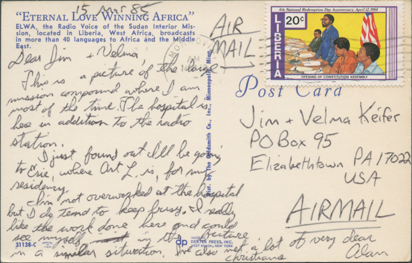 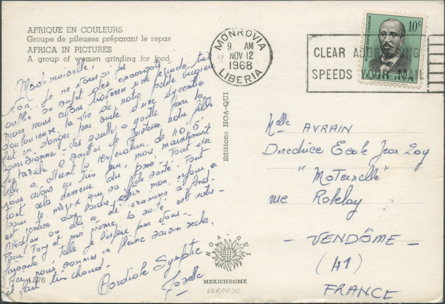 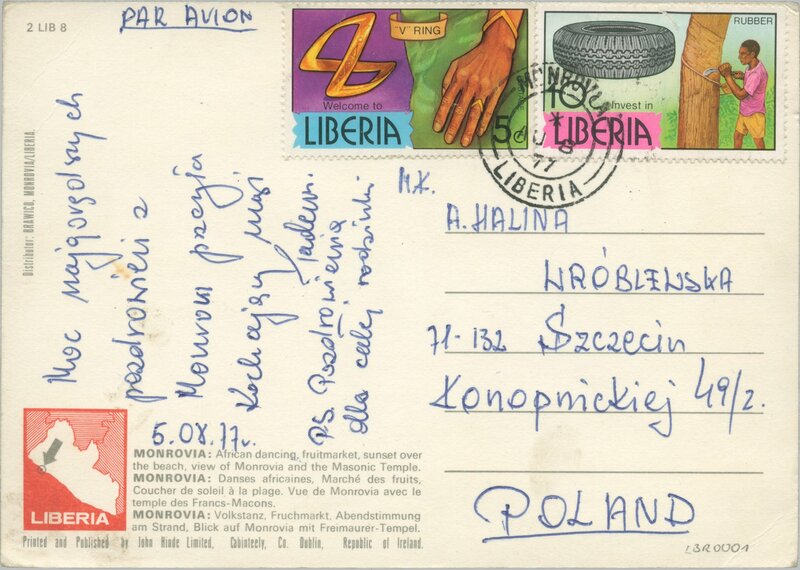 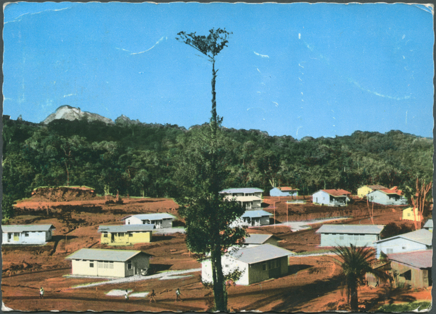 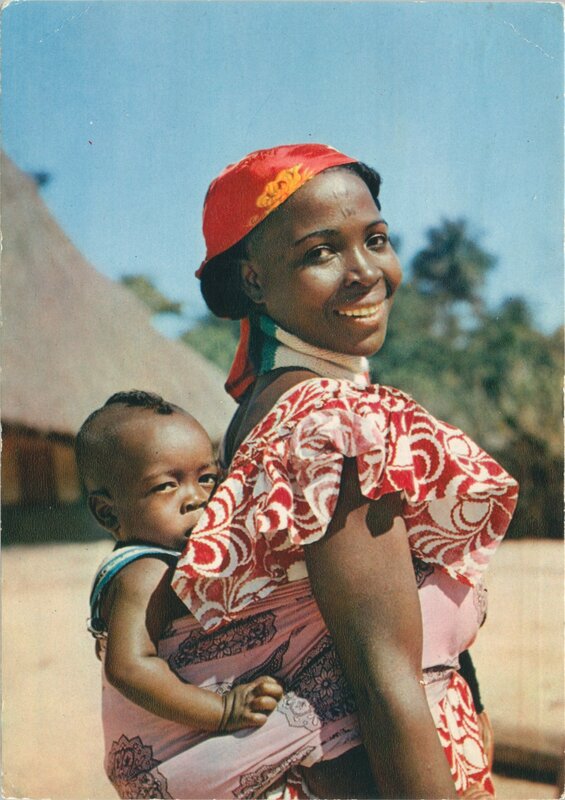 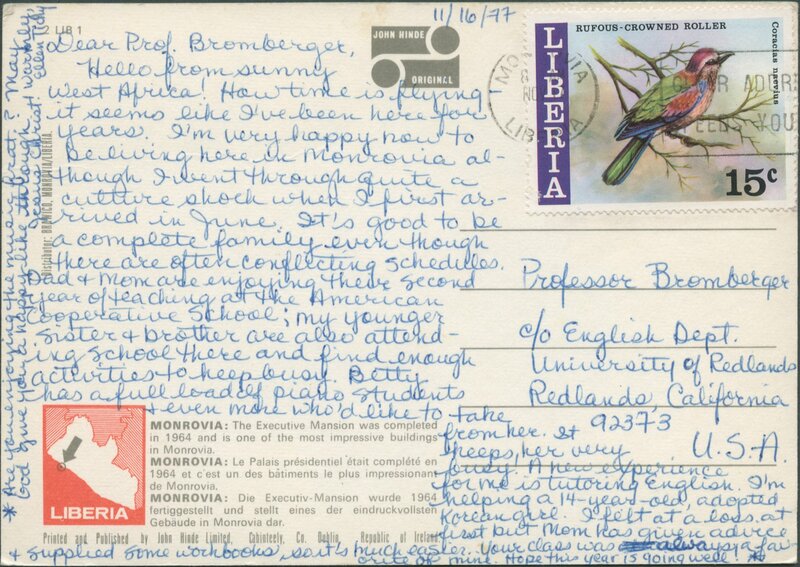 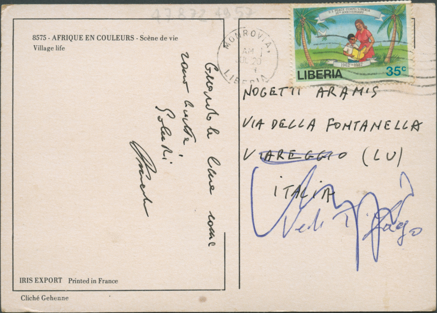 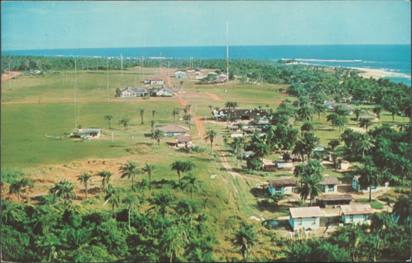 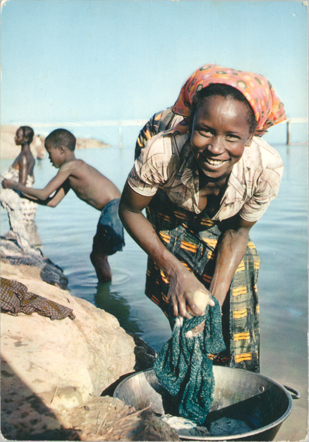 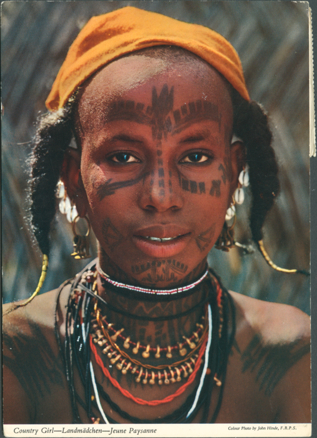 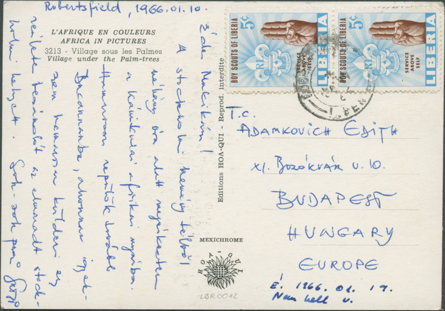 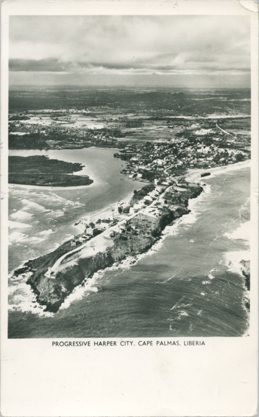 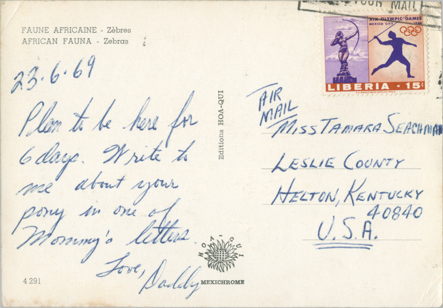 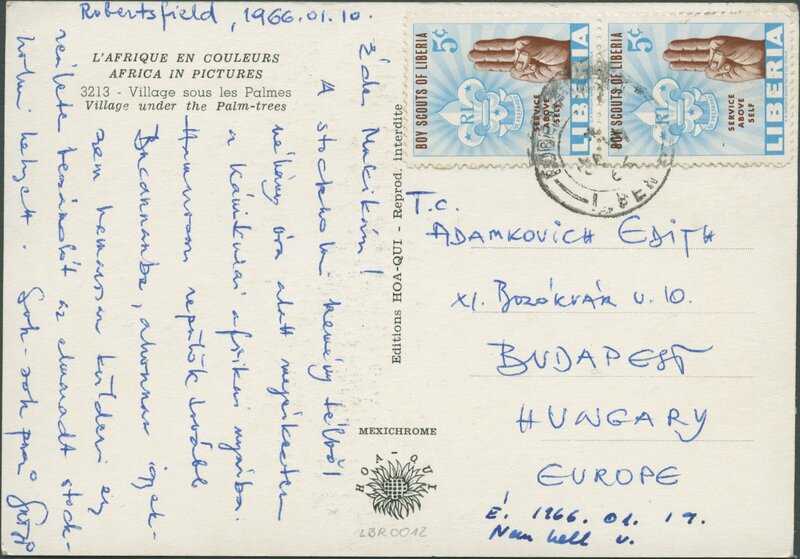 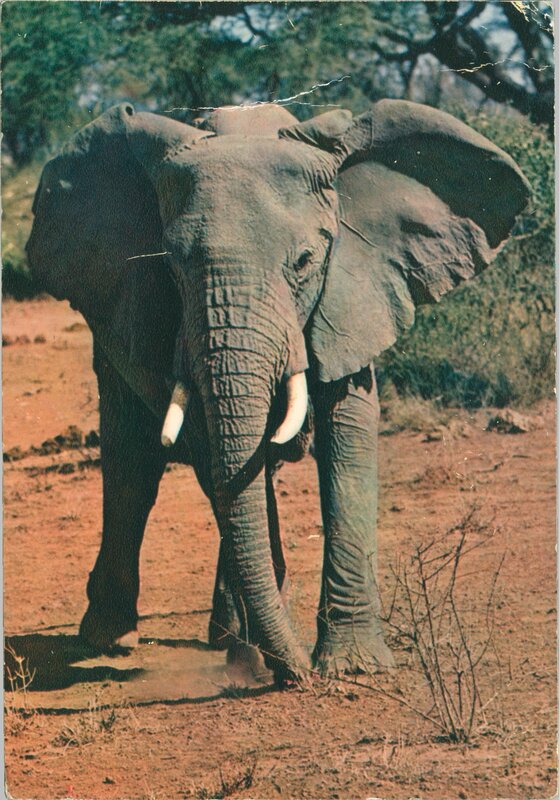 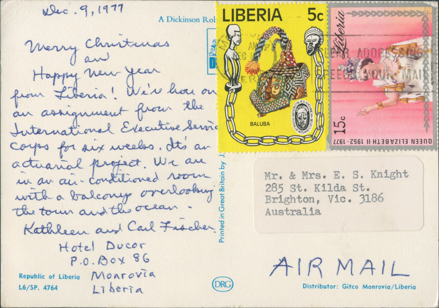 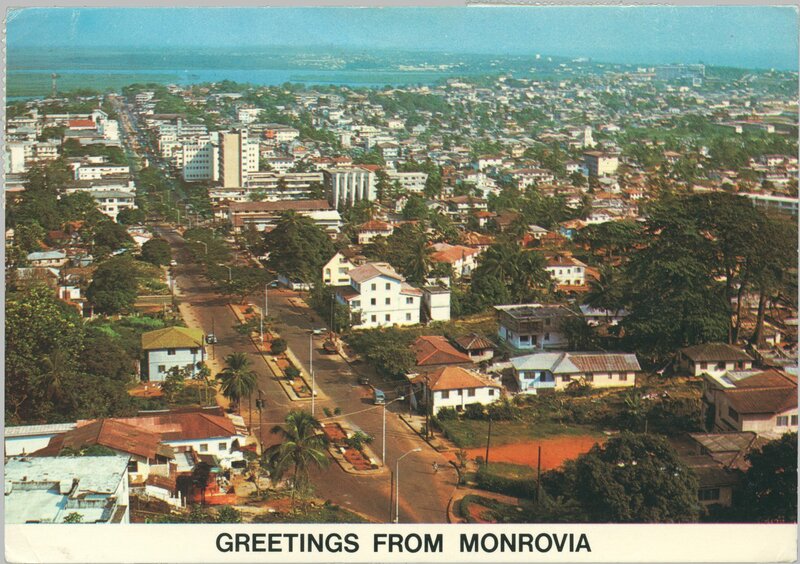 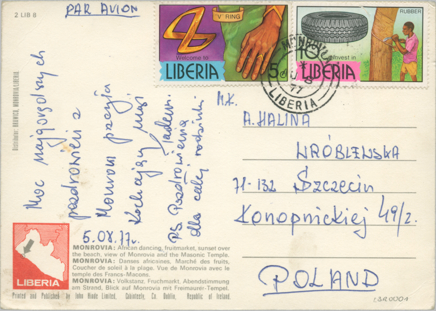 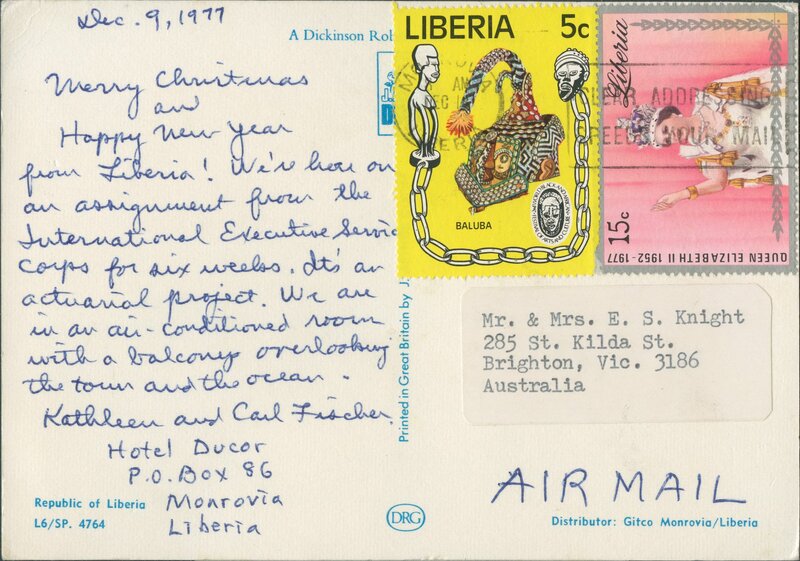 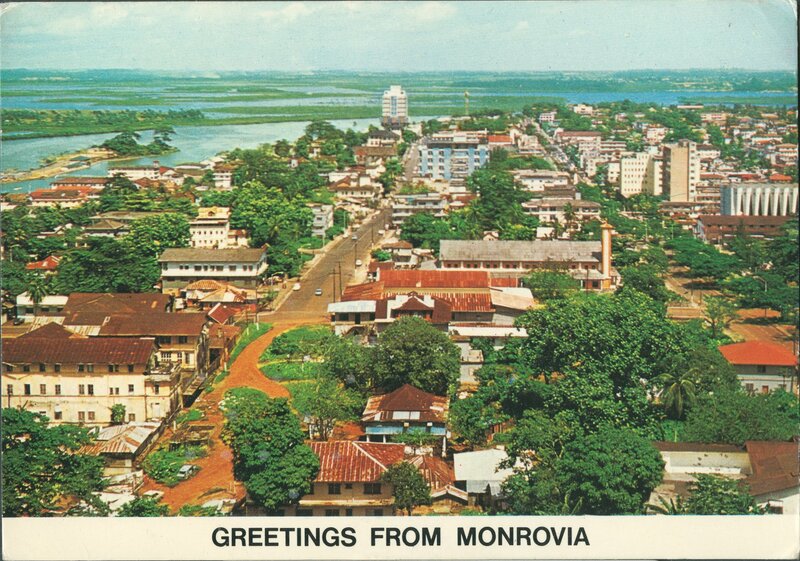 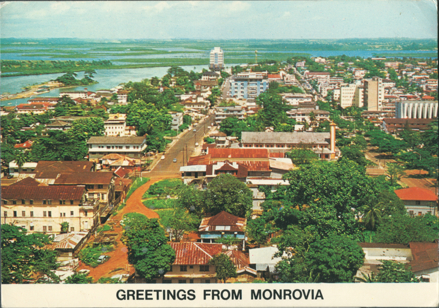 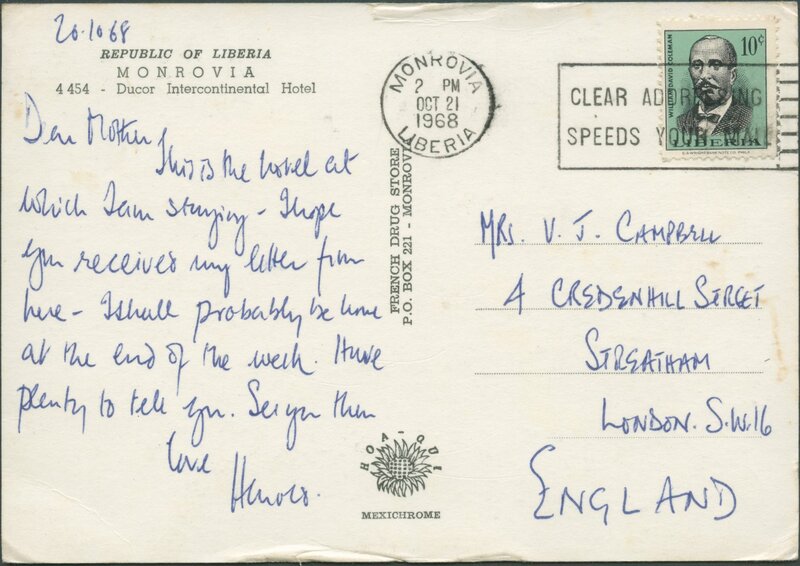 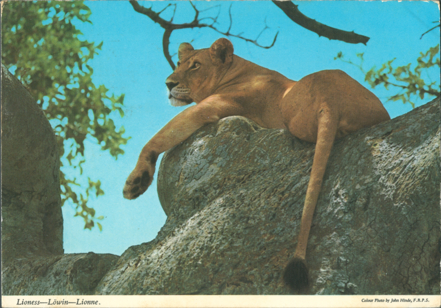 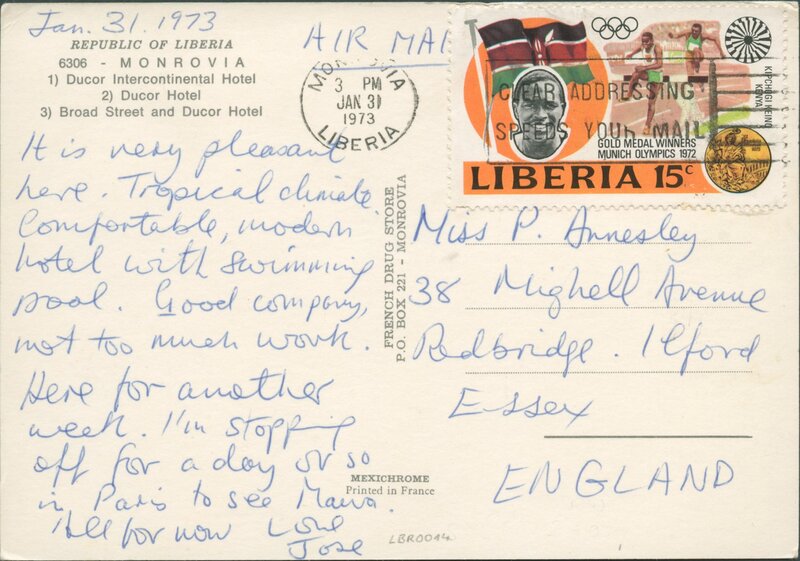 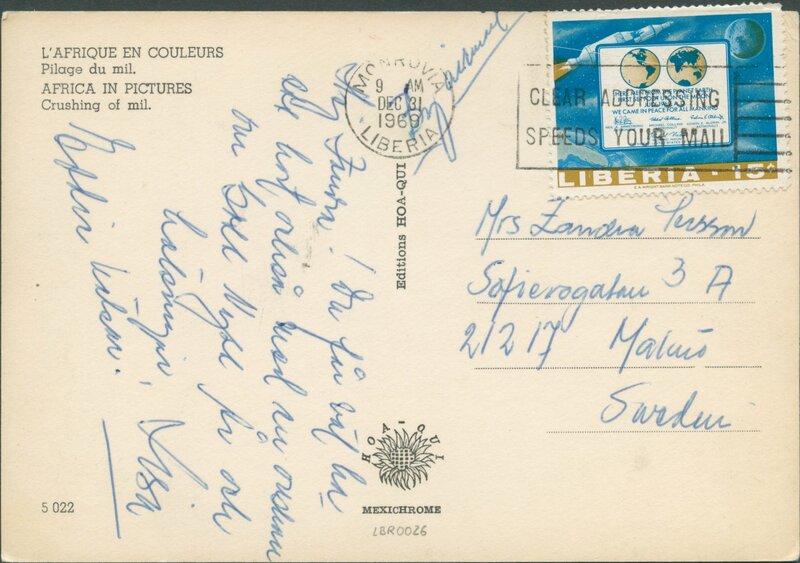 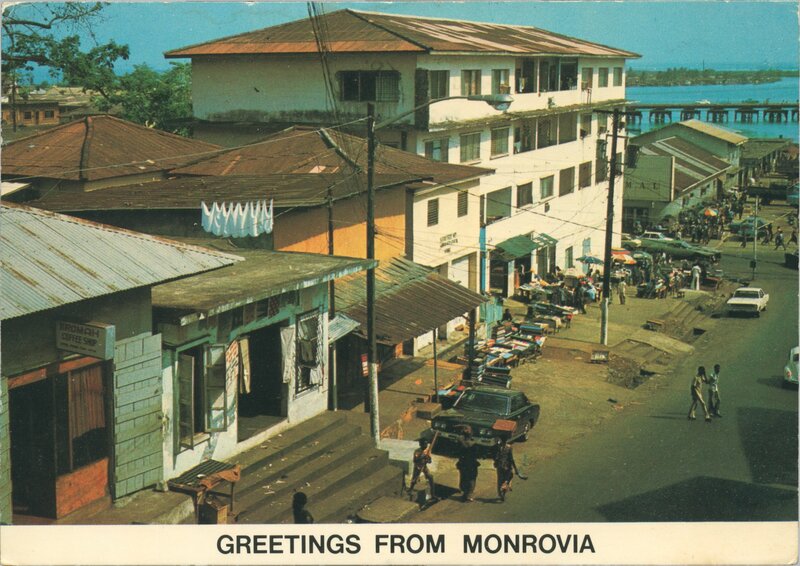 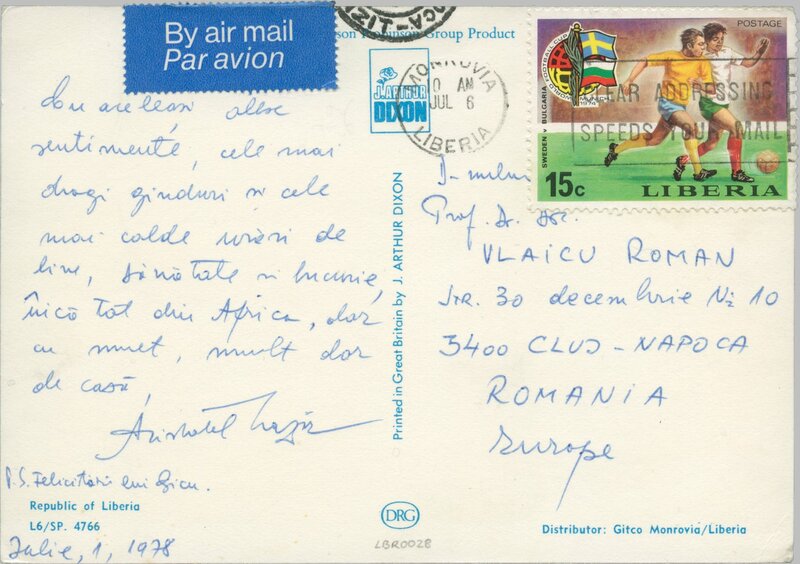 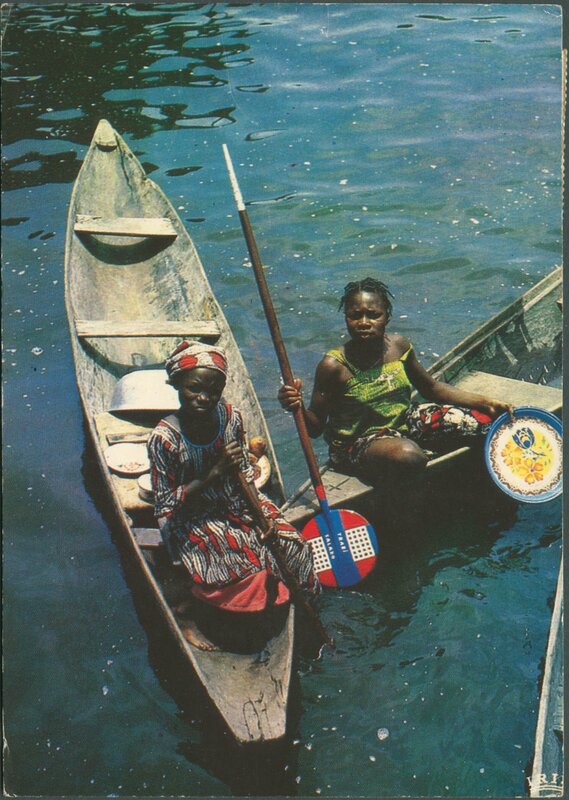 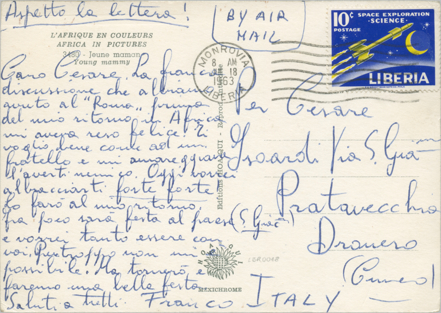 Picture postcard sent on December 10, 1977 from Monrovia to Brighton (Melbourne), Victoria, Australia; franking of 20 cents covering zone III postcard rate (20 cents) ? 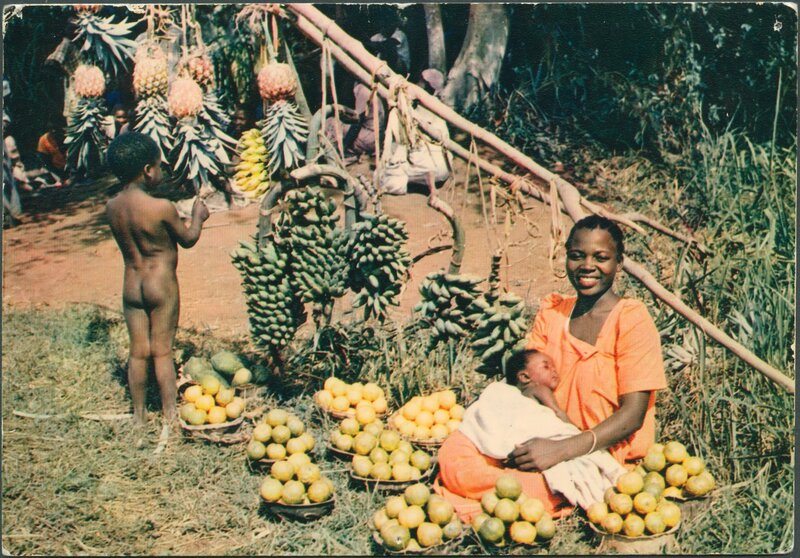 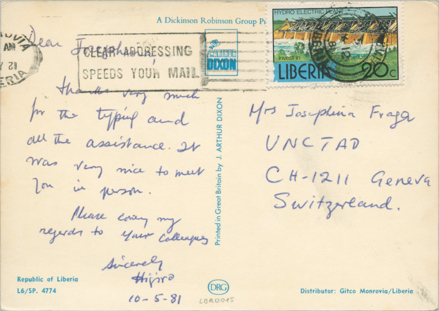 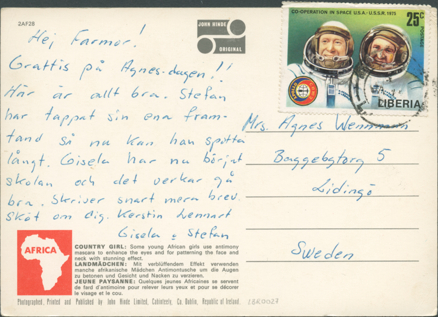 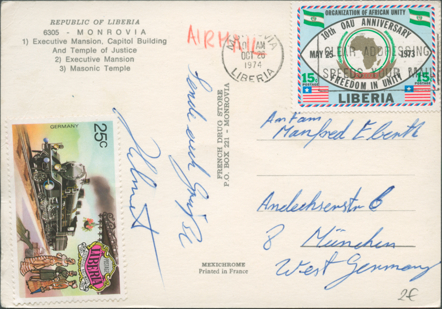 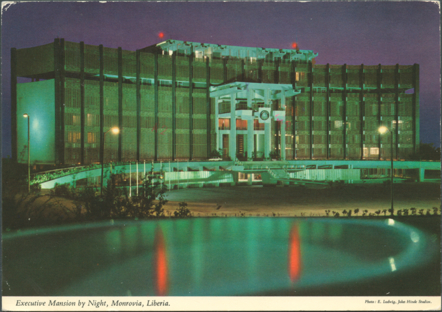 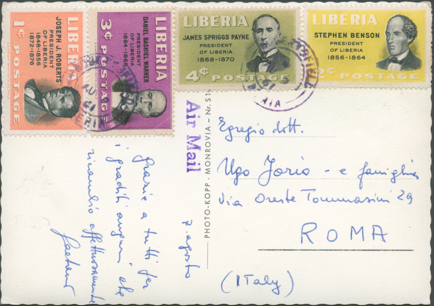 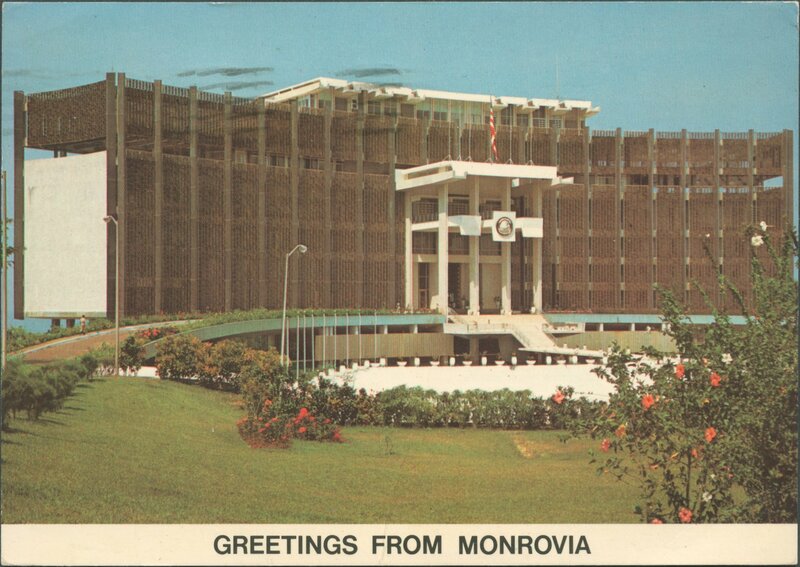 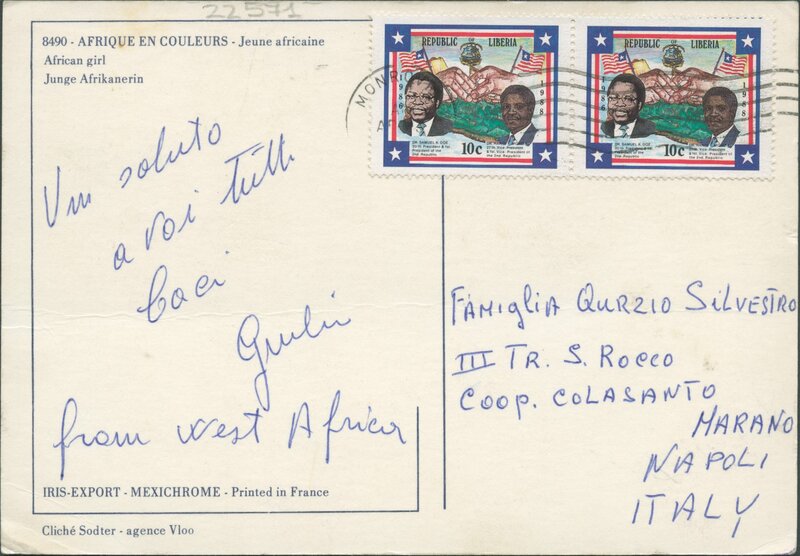 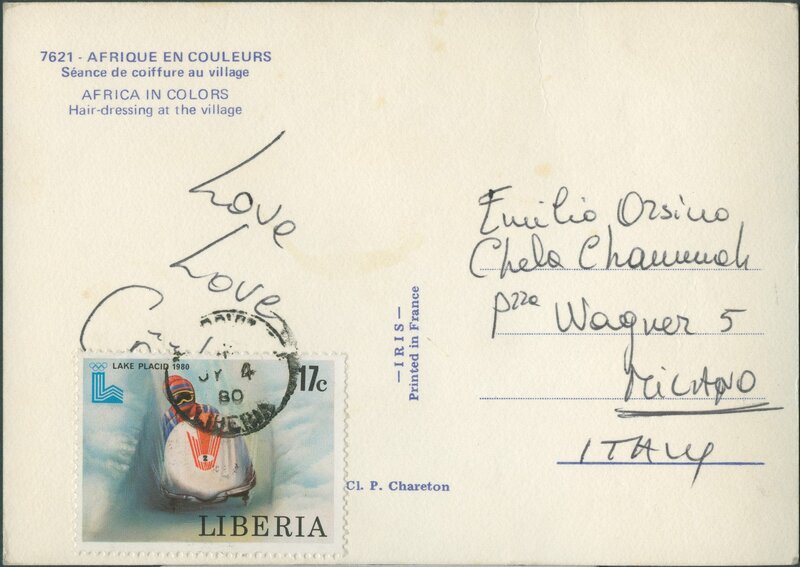 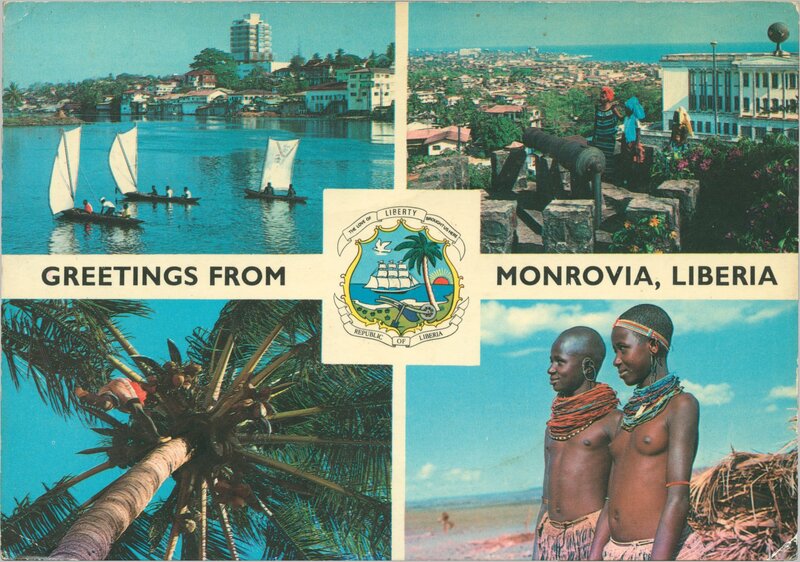 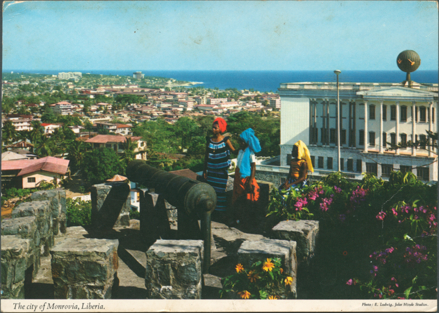 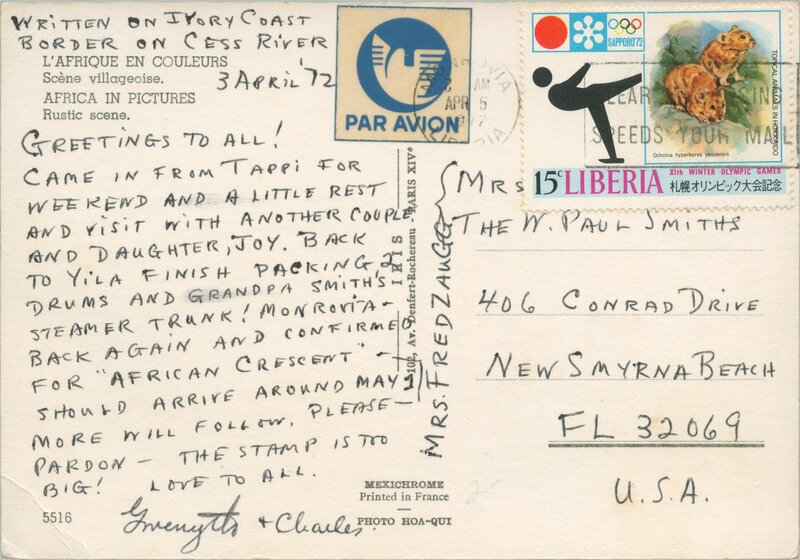 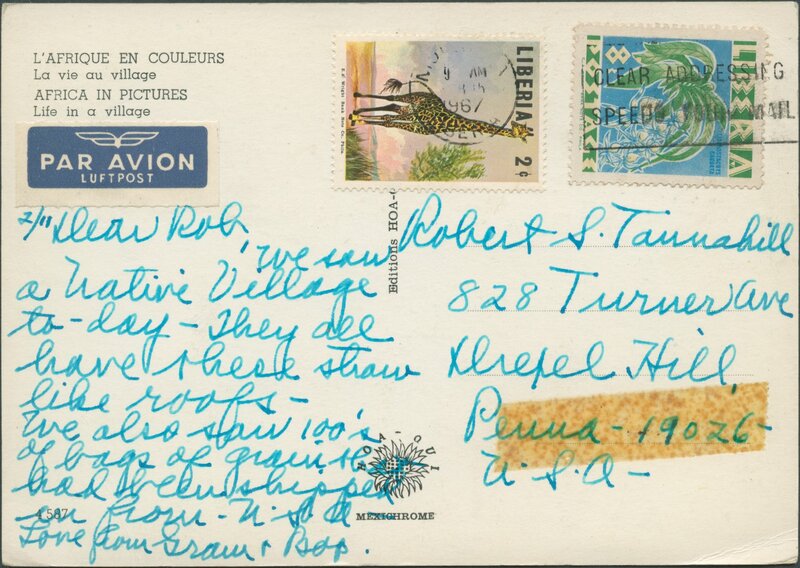 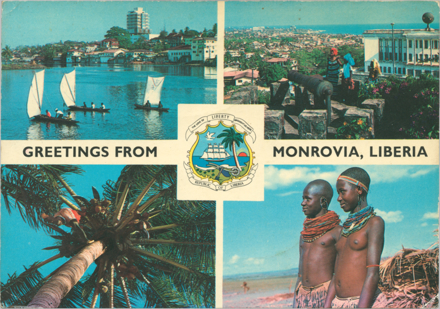 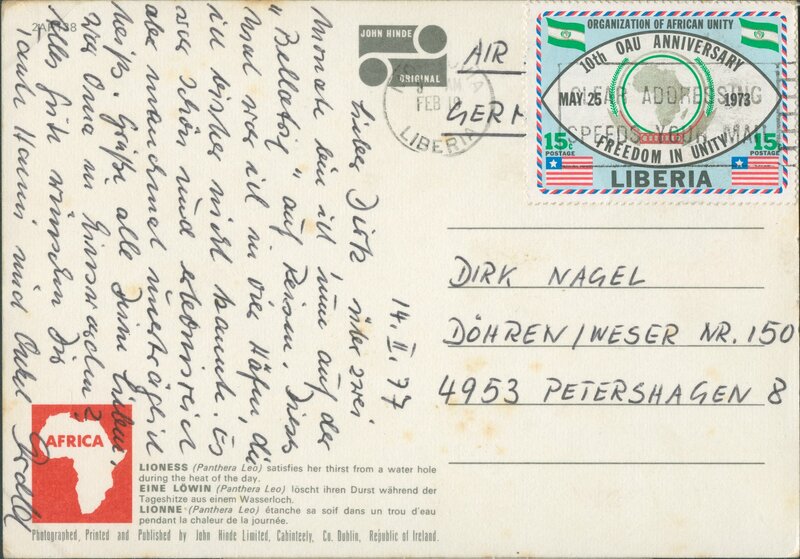 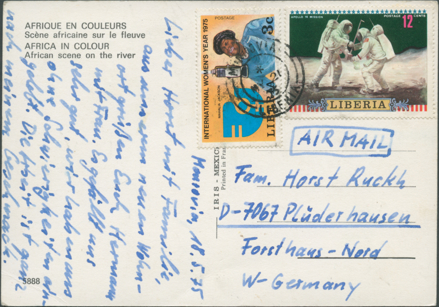 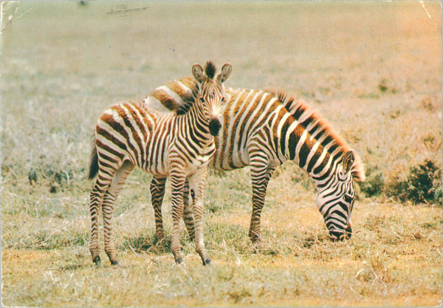 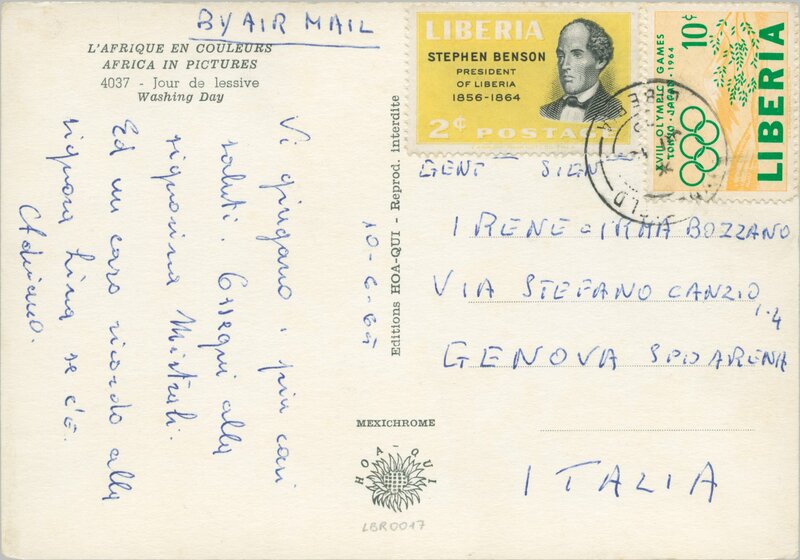 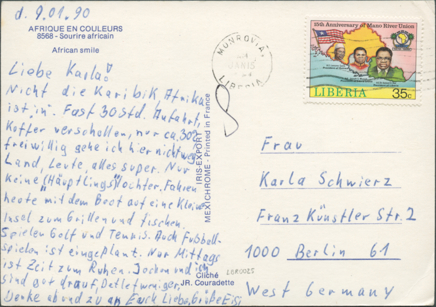 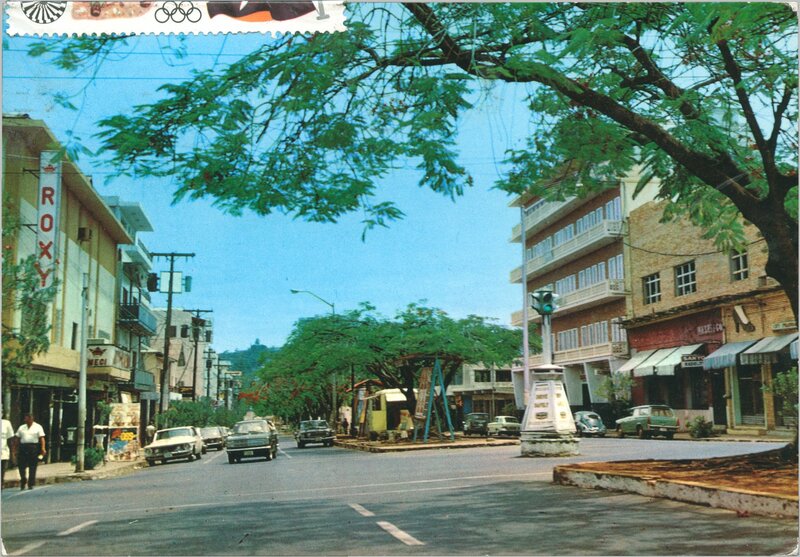 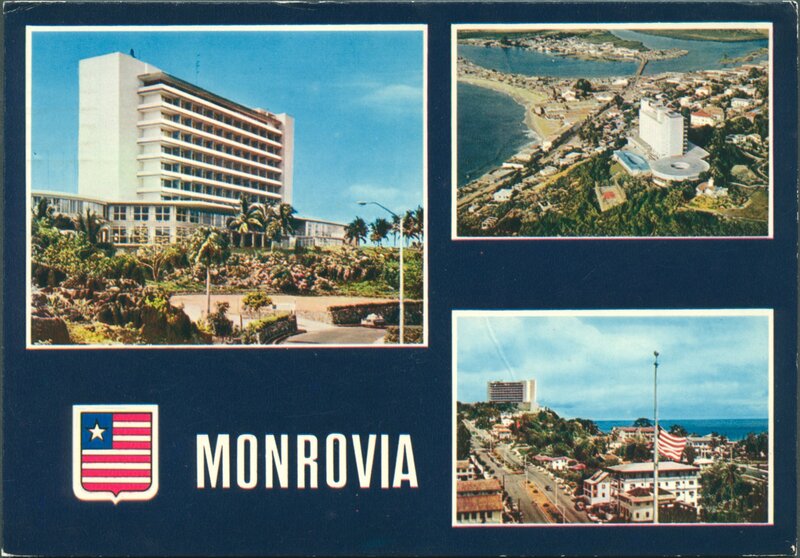 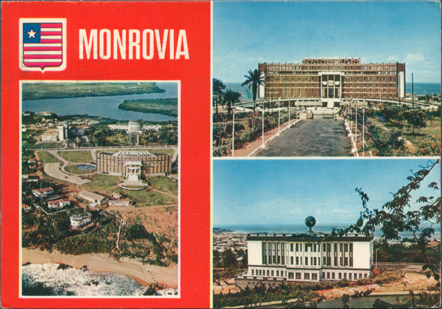 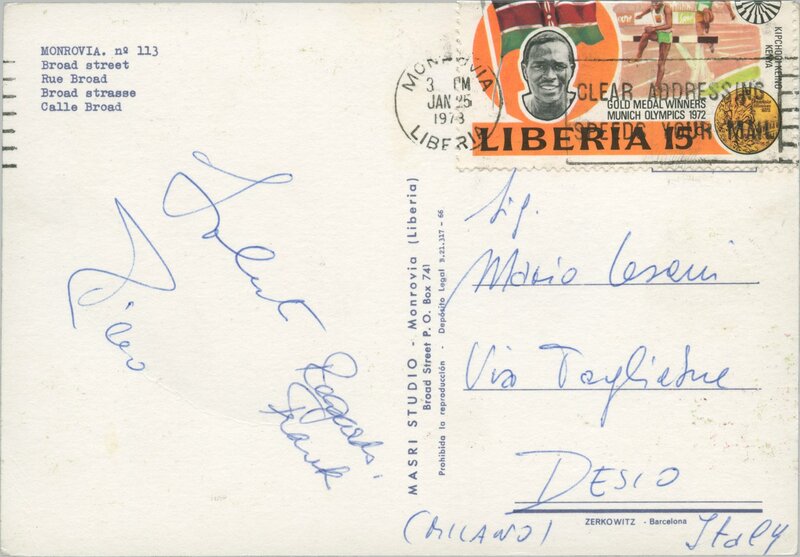 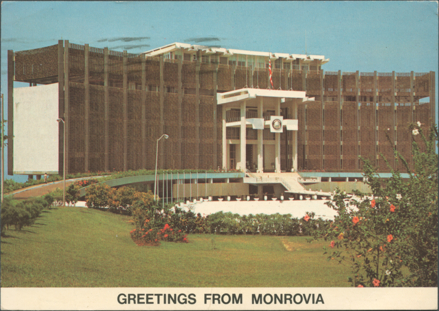 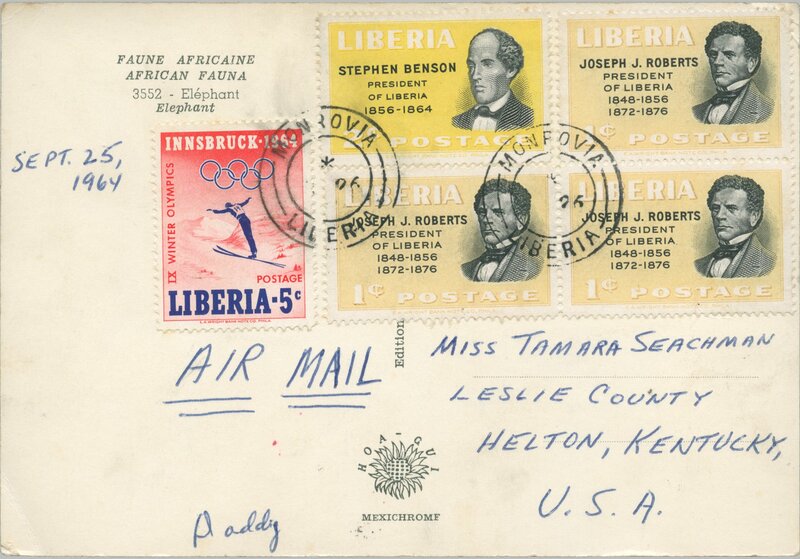 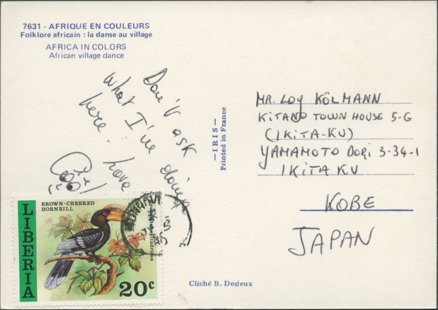 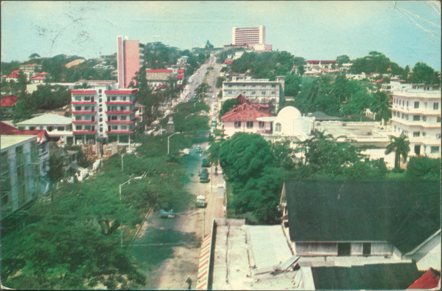 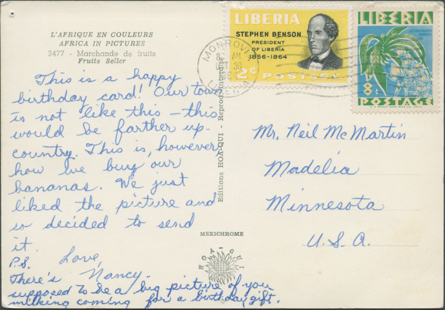 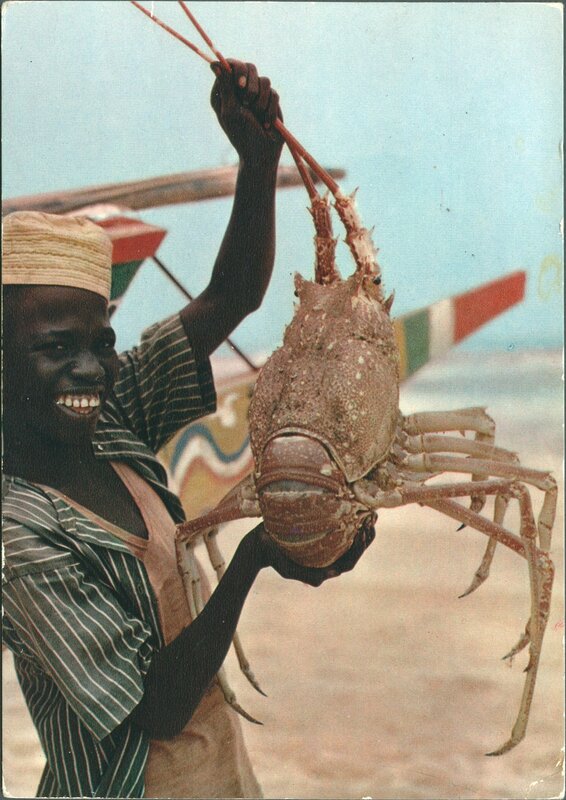 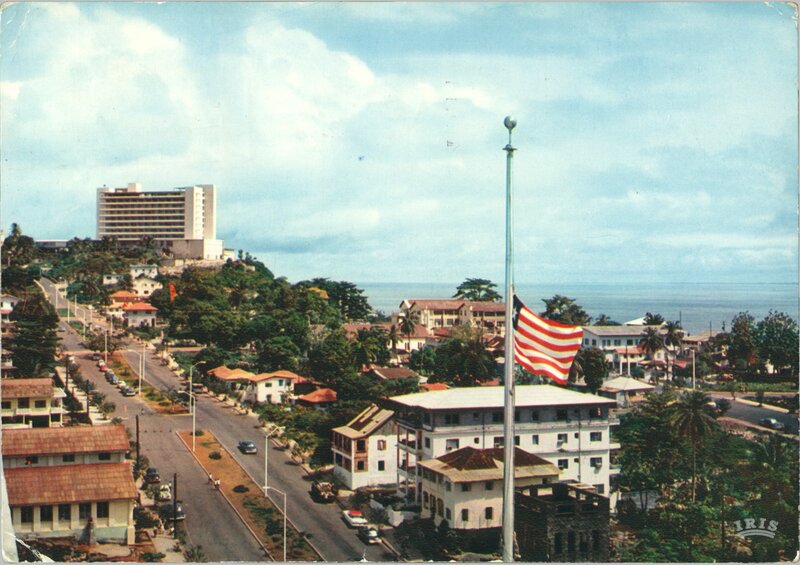 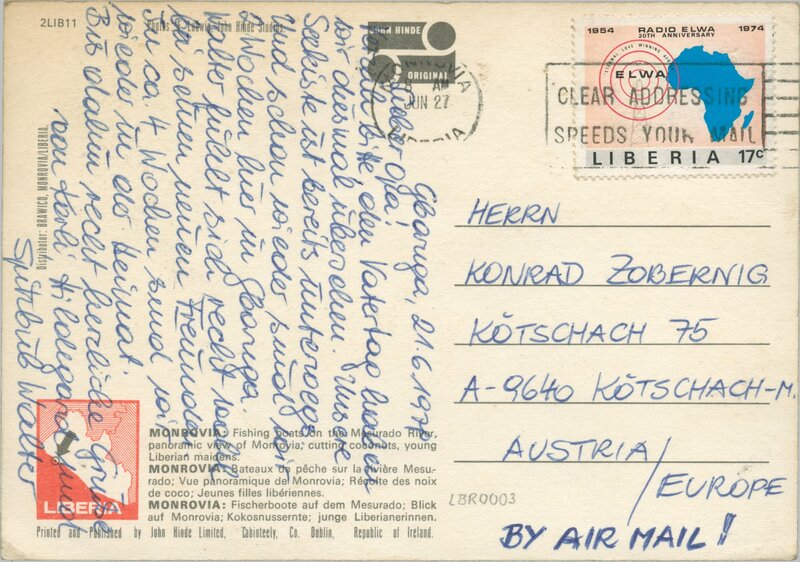 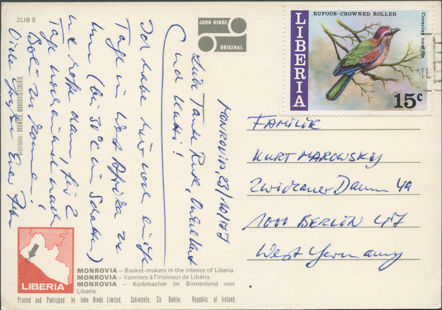 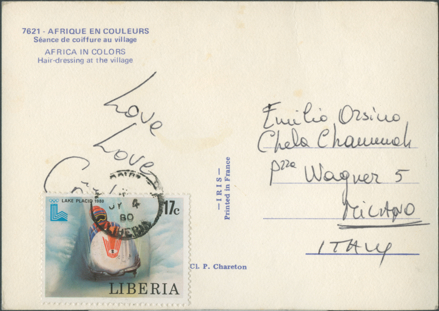 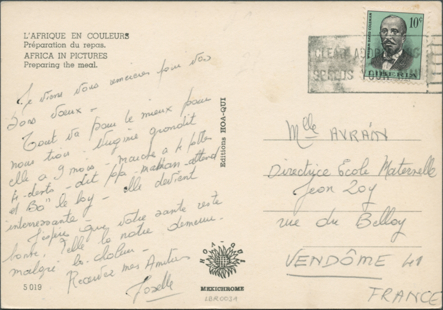 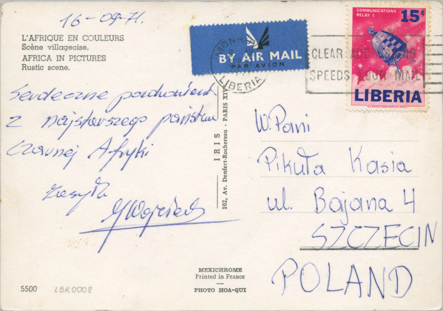 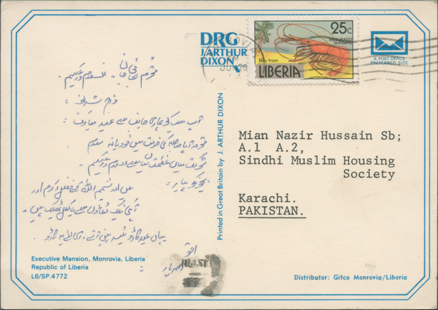 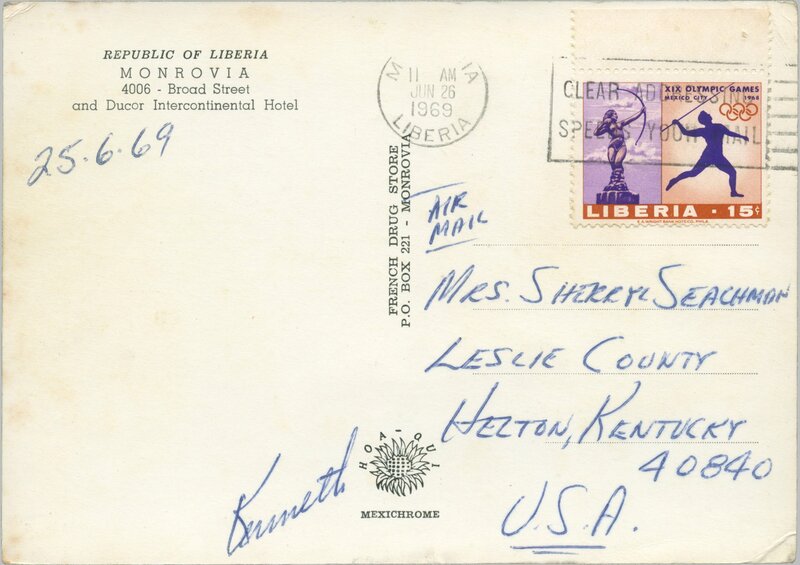 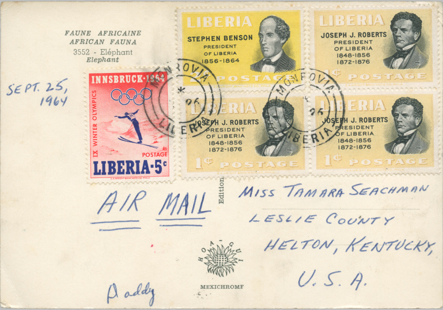 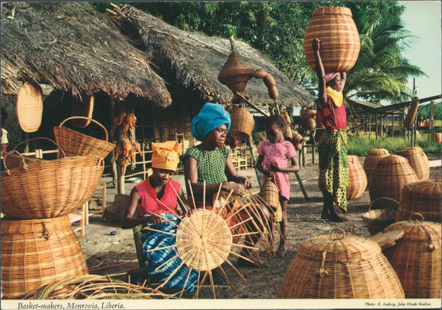 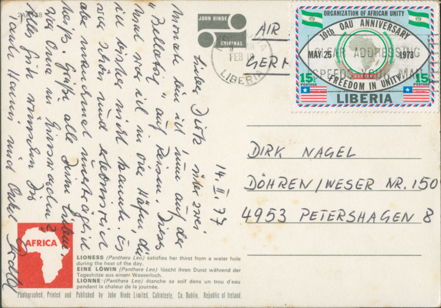 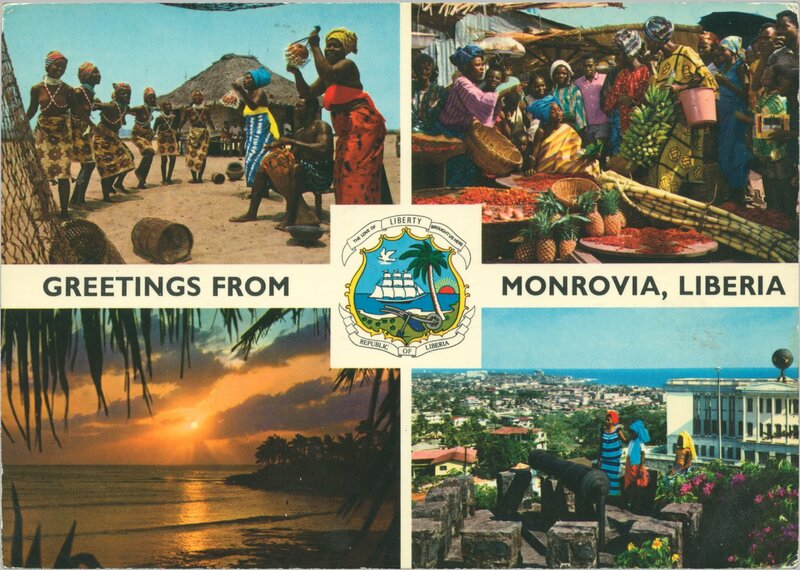 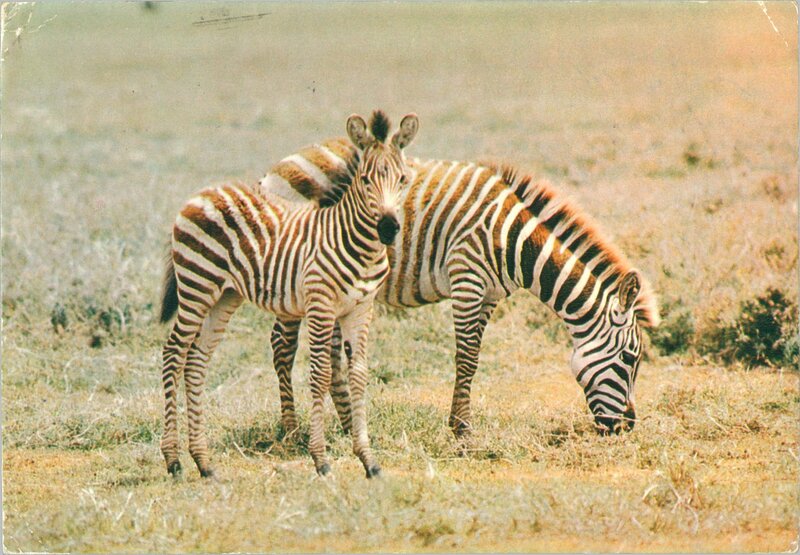 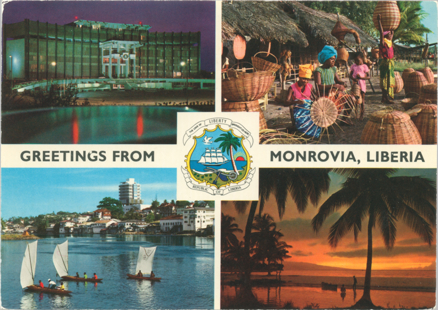 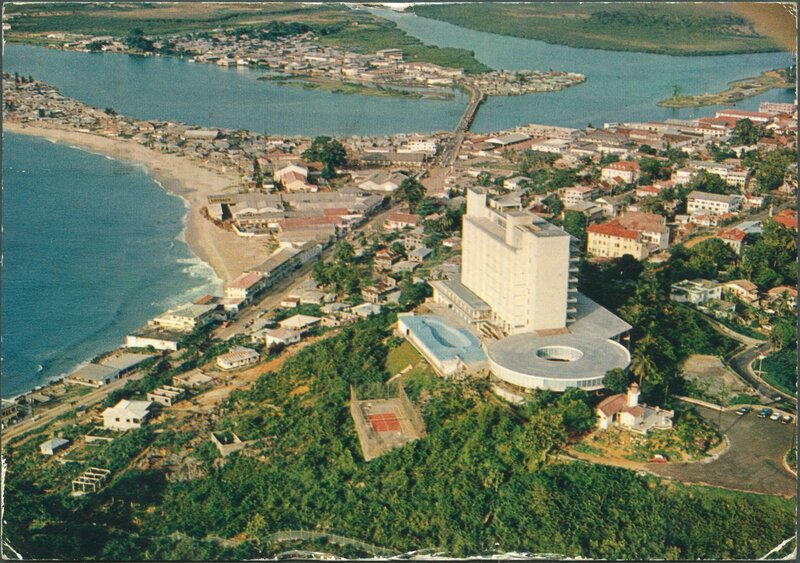 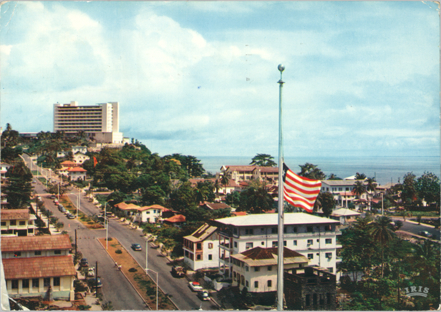 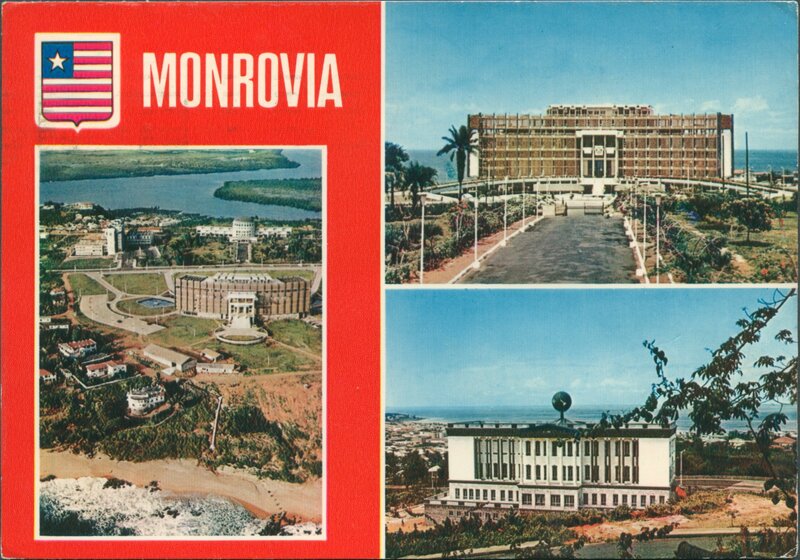 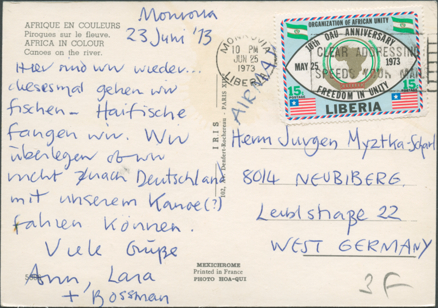 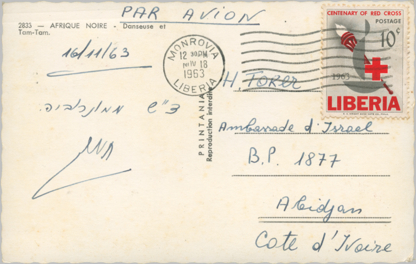 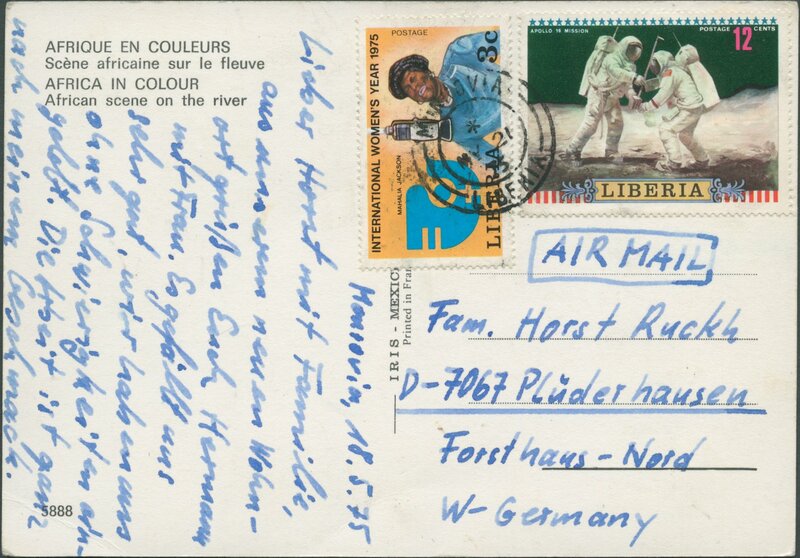 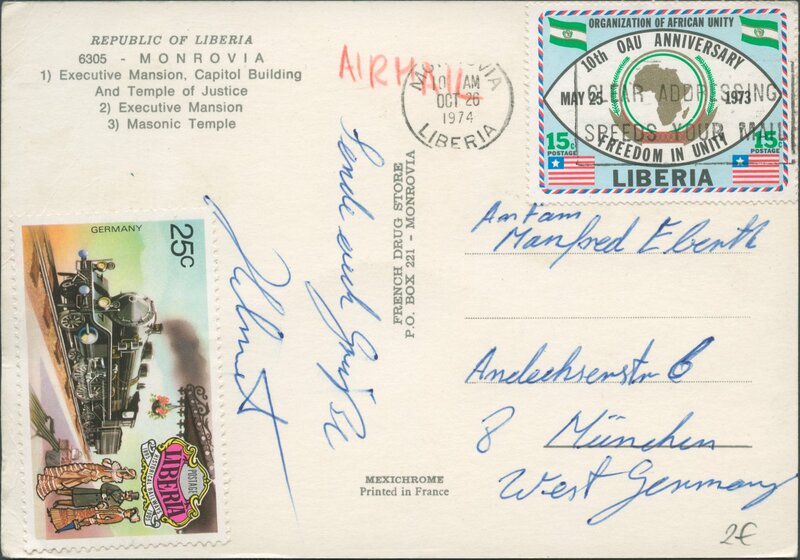 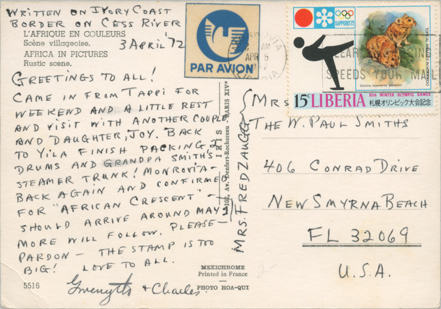 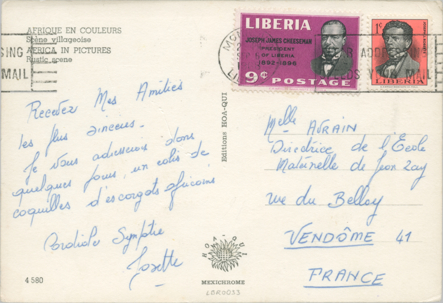 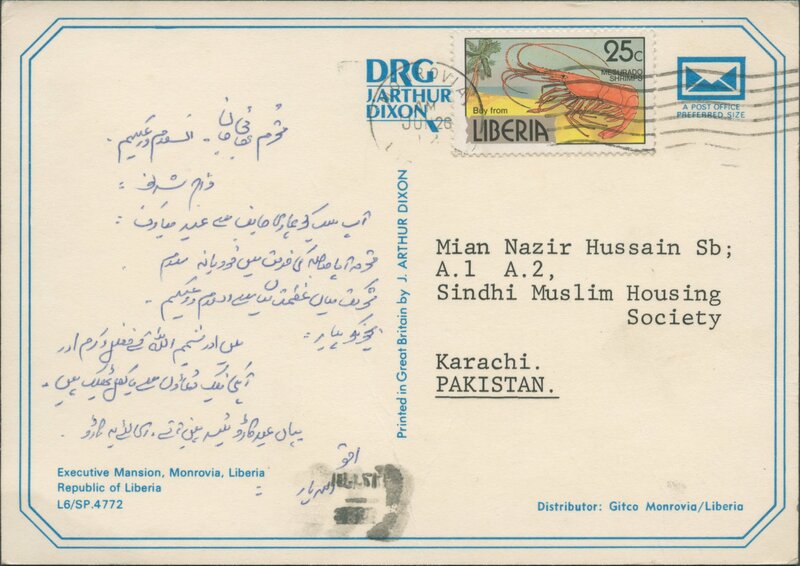 Picture postcard sent on July 5, 1980 from Monrovia to Kobe, Japan; franking of 20 cents covering zone III postcard rate (20 cents) ?